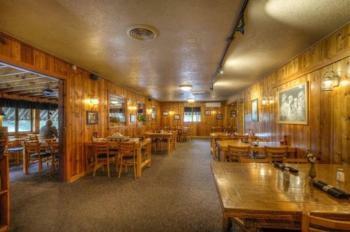 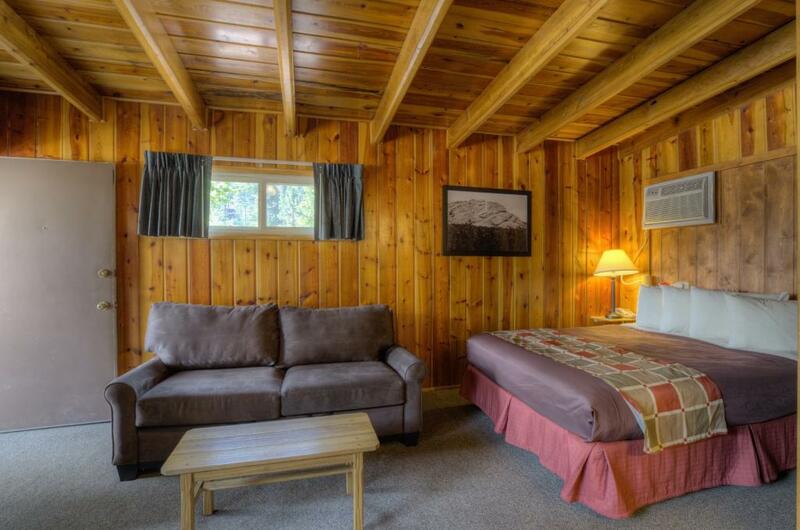 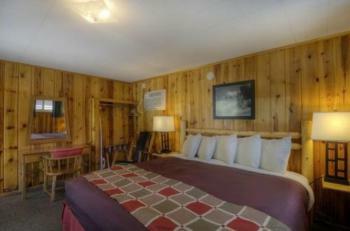 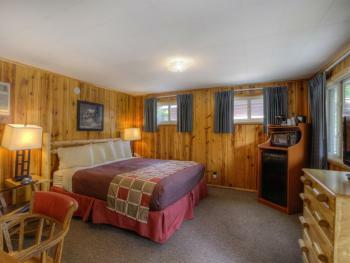 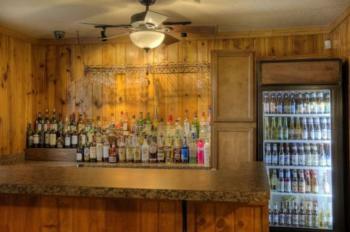 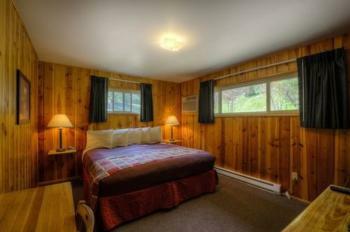 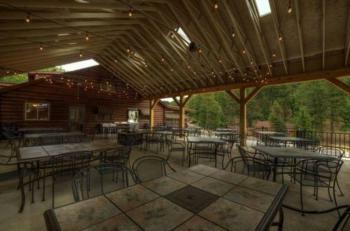 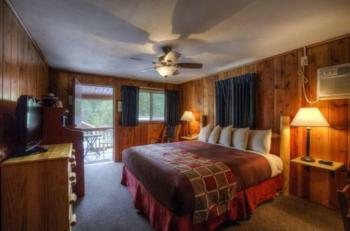 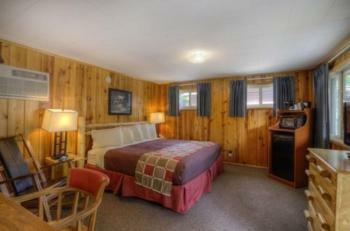 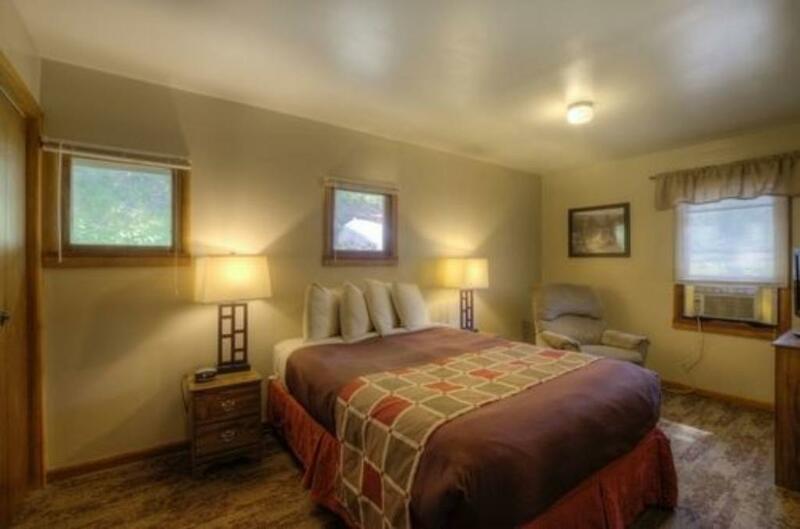 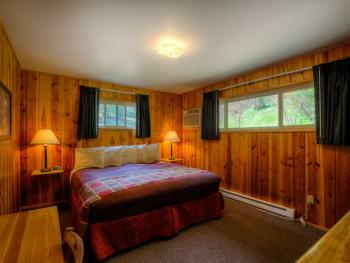 1 Queen Bed (4-Plex) - Located just off the back patio of the restaurant at the base of the Hill. 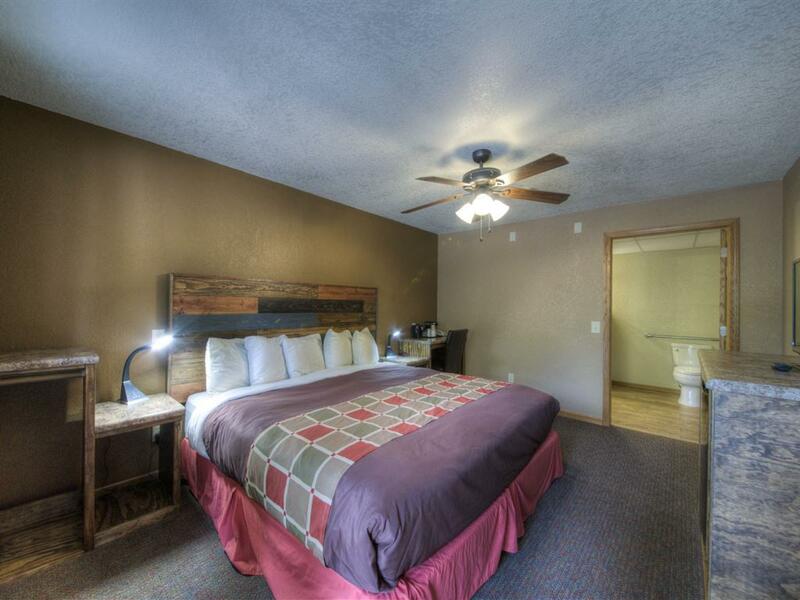 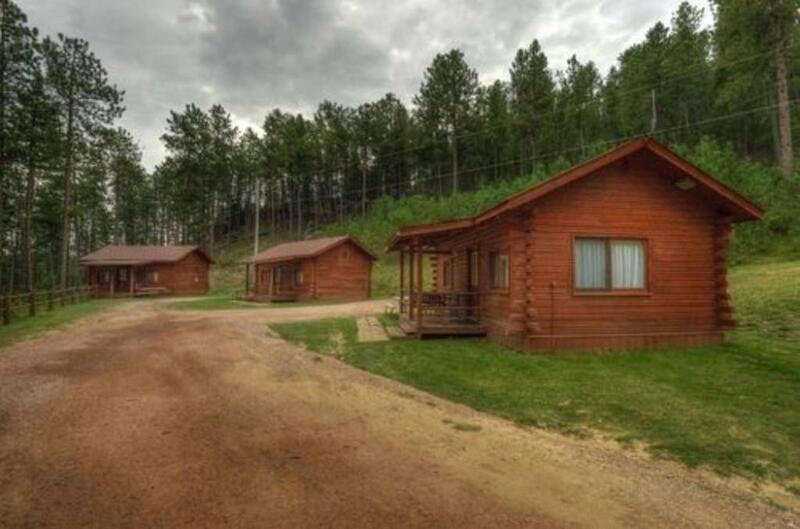 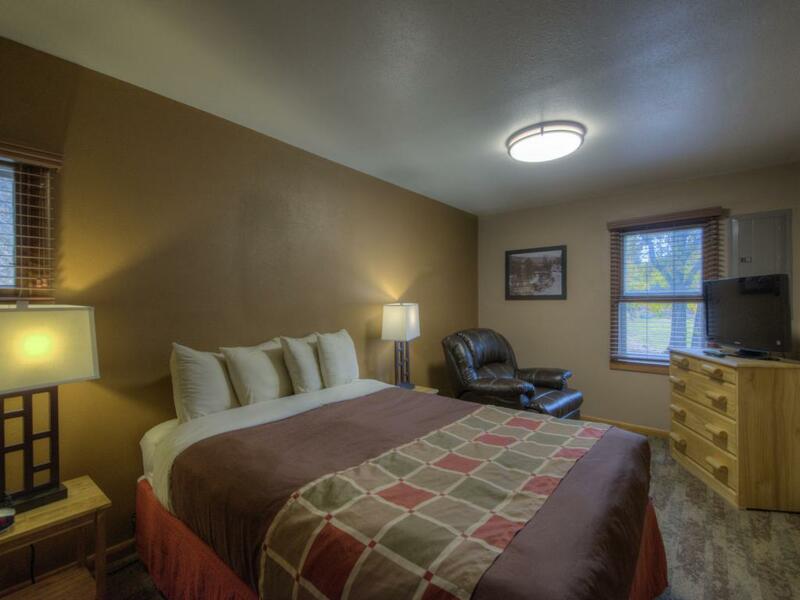 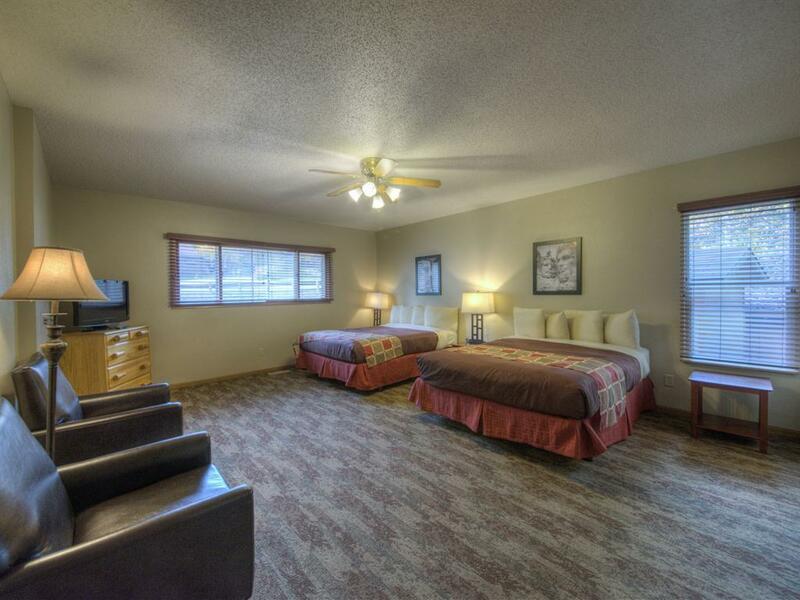 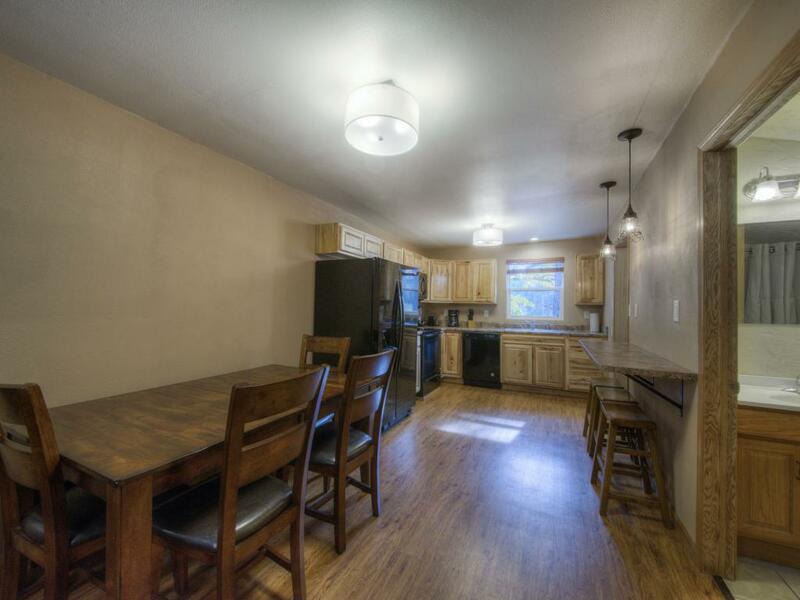 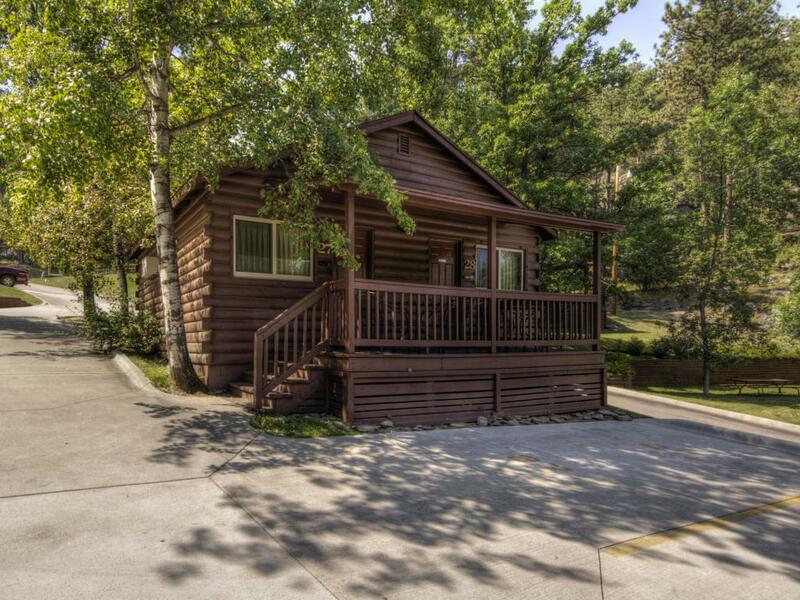 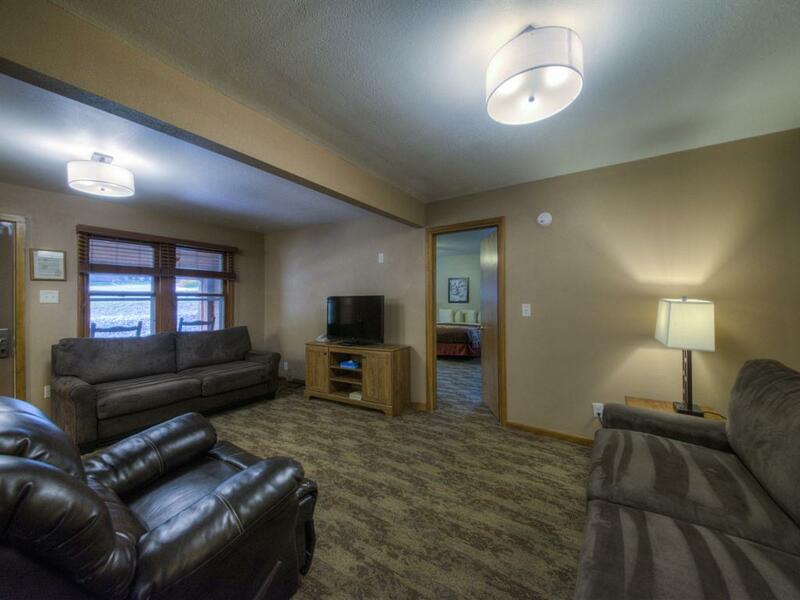 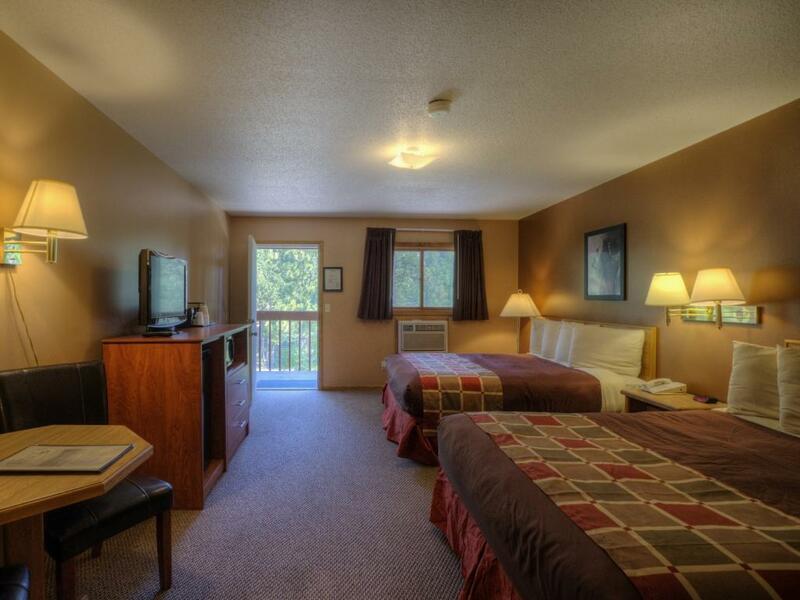 Our 4 Plex units are our smaller economy rooms, perfect for those guests looking for a budget friendly stay in the Black Hills. 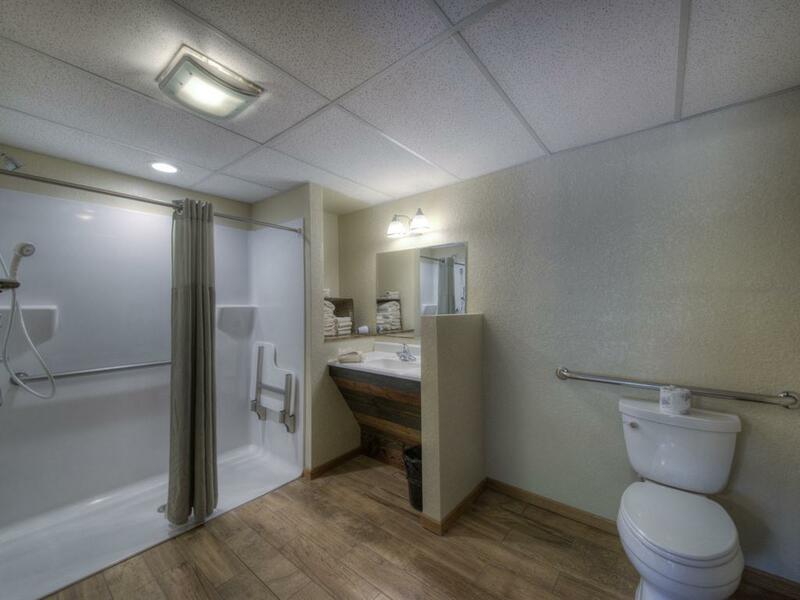 Each unit in this building is accessed from its own exterior door and features 1 queen bed, a private bathroom (Shower Stall only) our full list of amenities. * Please be aware there are 15 rock steps up to this building. 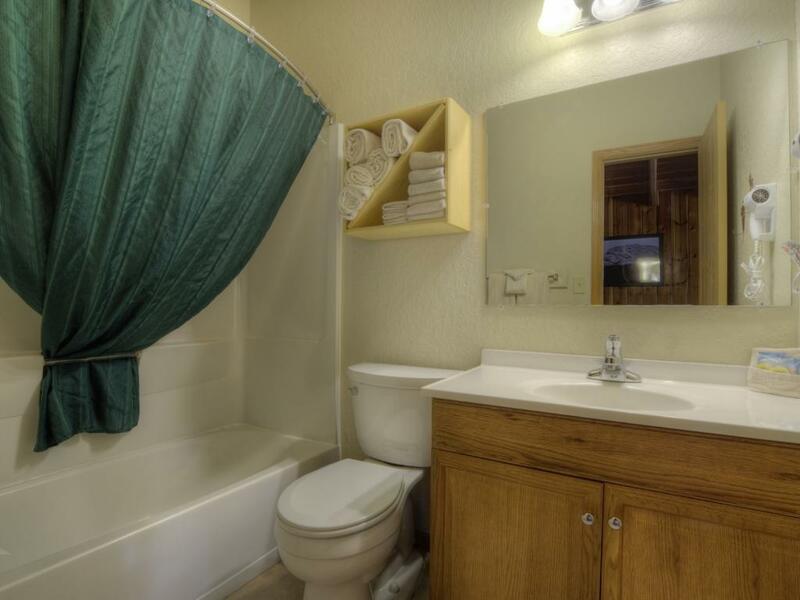 Located in our motel this is a fully Accessible ADA Room featuring one King Size bed and a roll-in shower in the updated bathroom. 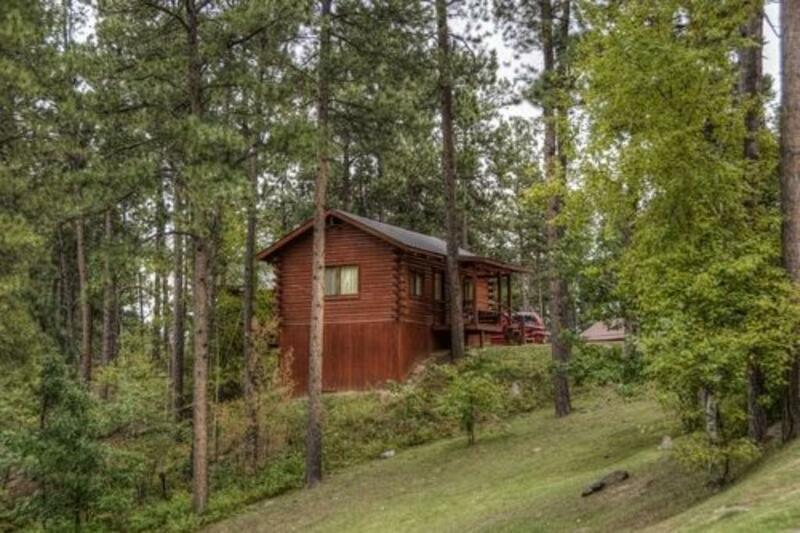 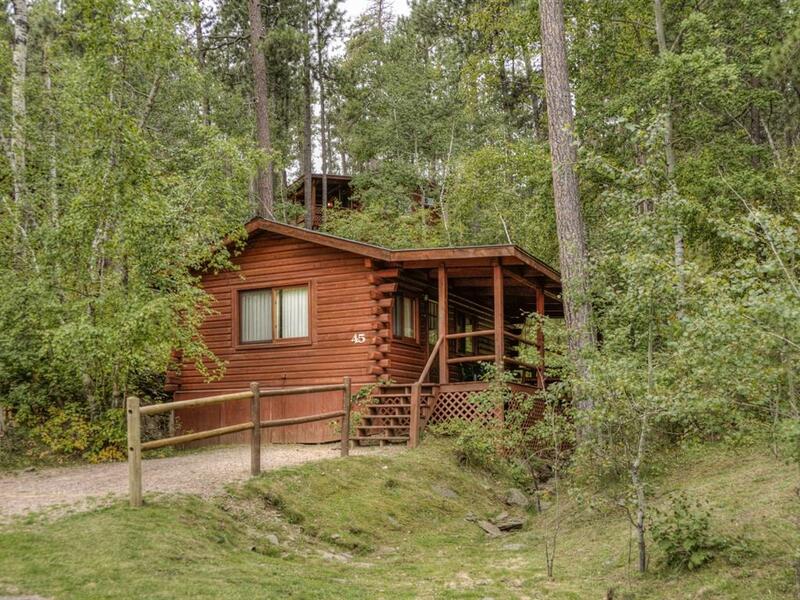 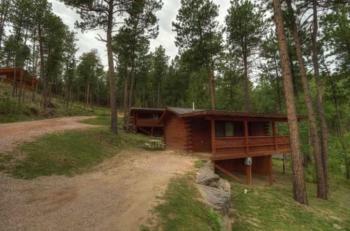 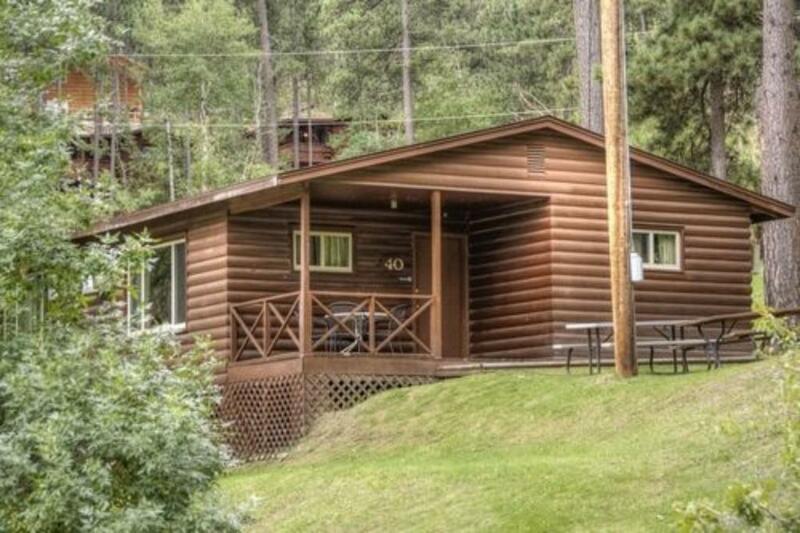 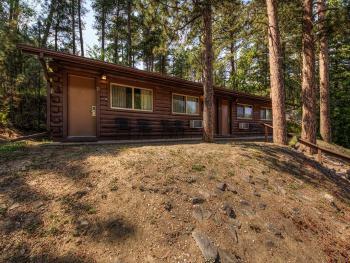 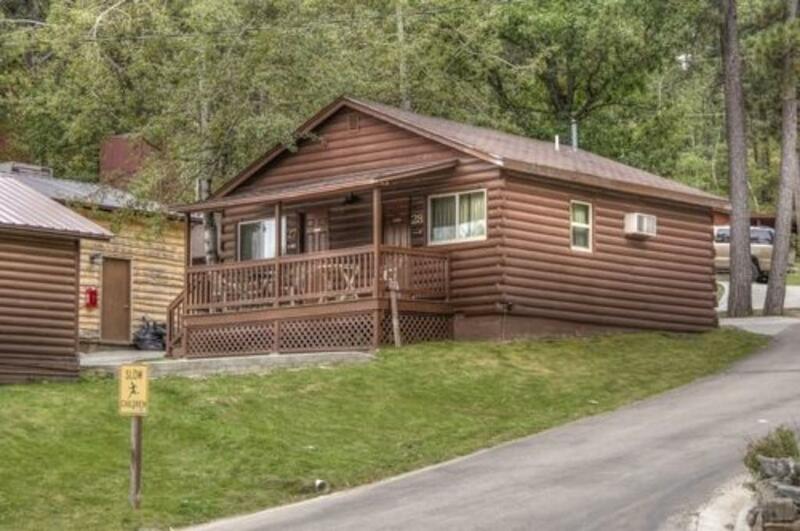 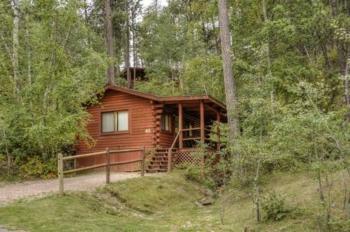 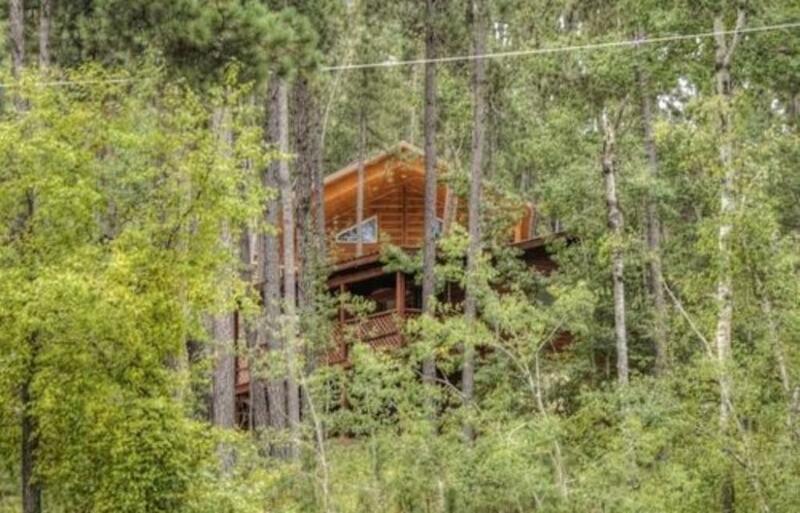 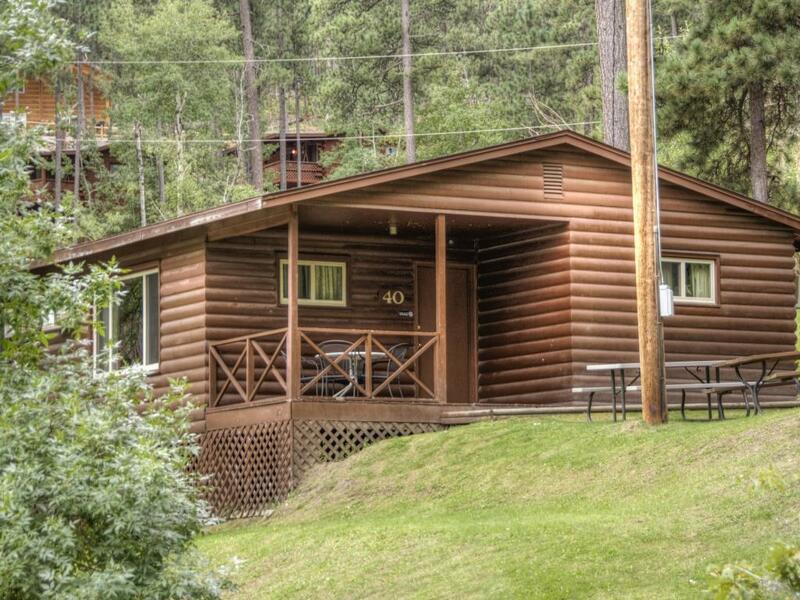 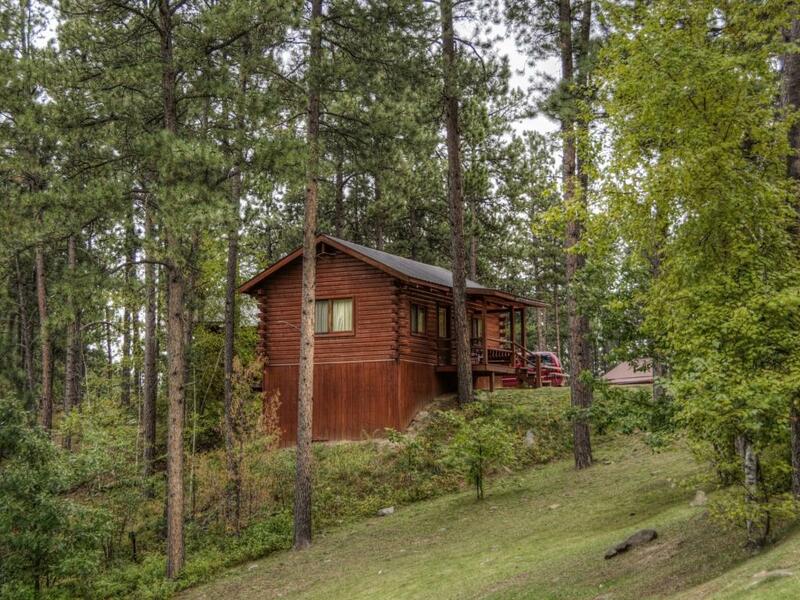 The Family Get-Away cabin is our second largest cabin. 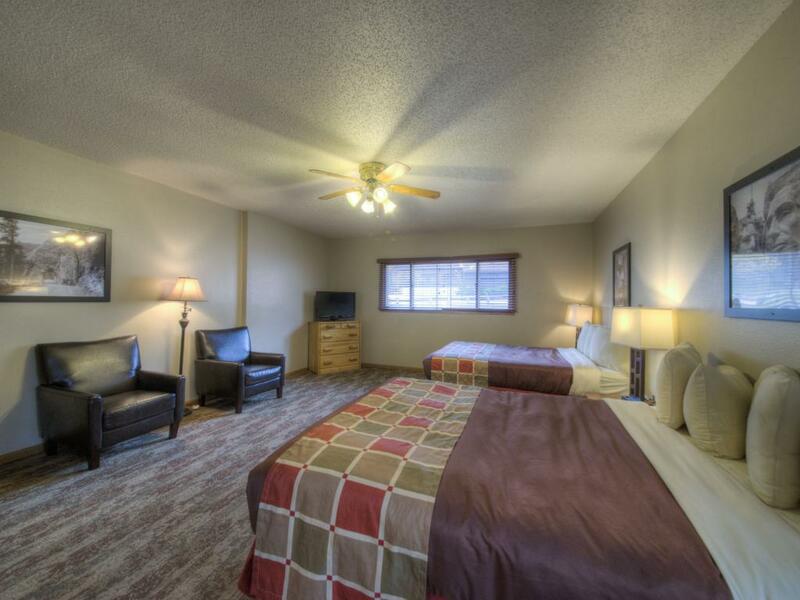 This unit is located across the highway from all of our other property and features a separate bedroom with one queen bed, another large bedroom with two queen beds, a living room with two queen comfort sleepers, a full newly remodeled kitchen and 1 ¾ bathrooms. 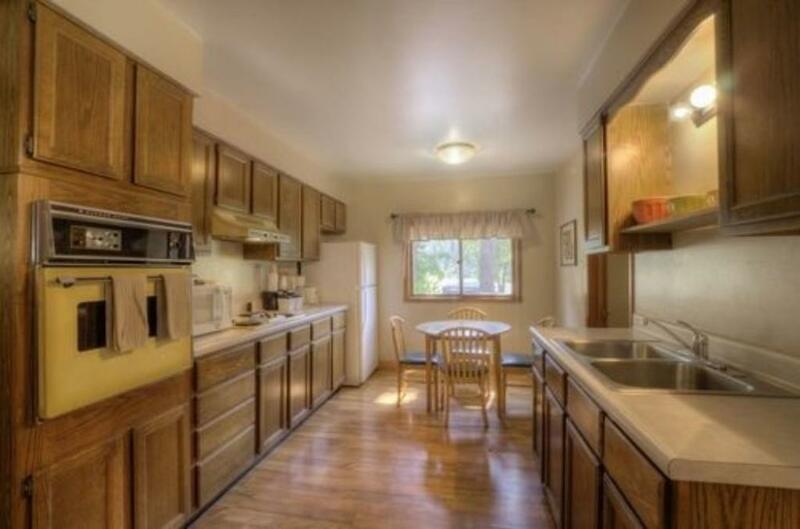 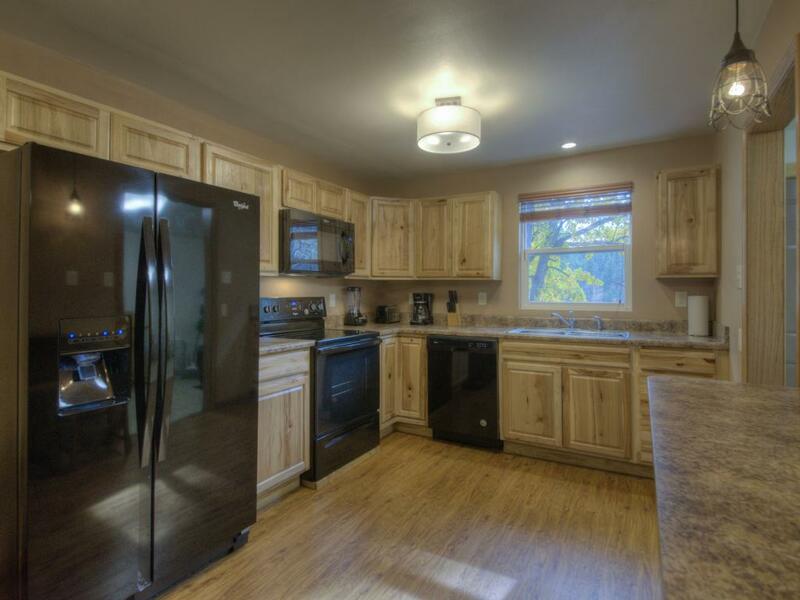 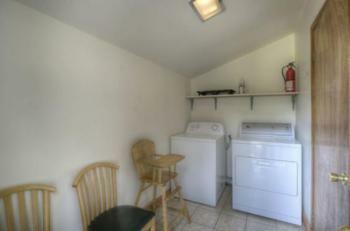 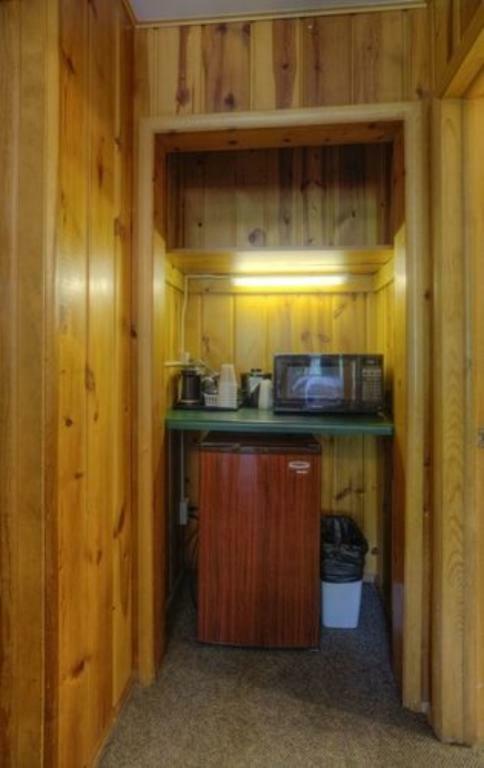 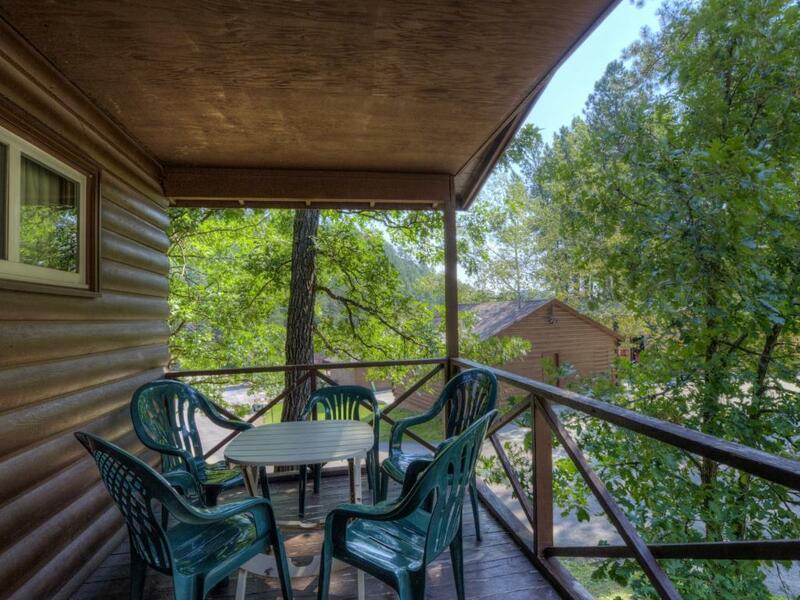 This unit also has a deck with a gas grill and table and chairs. 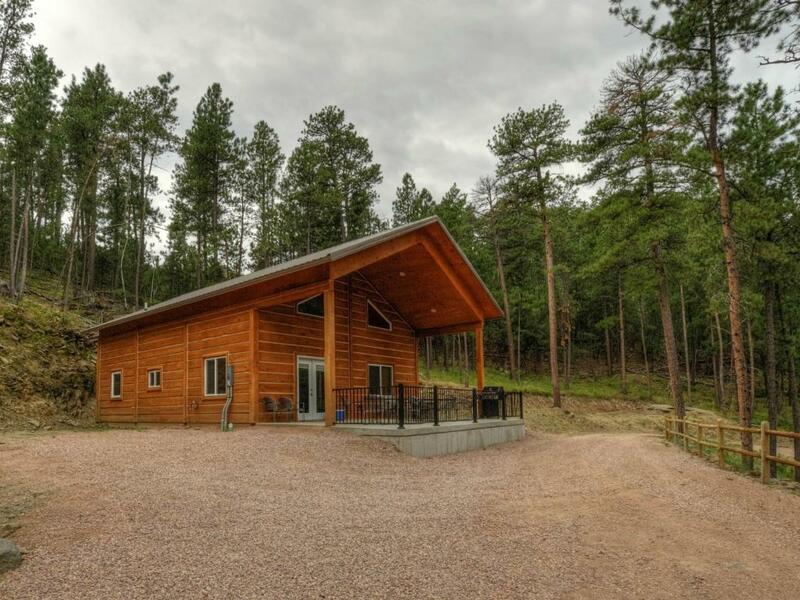 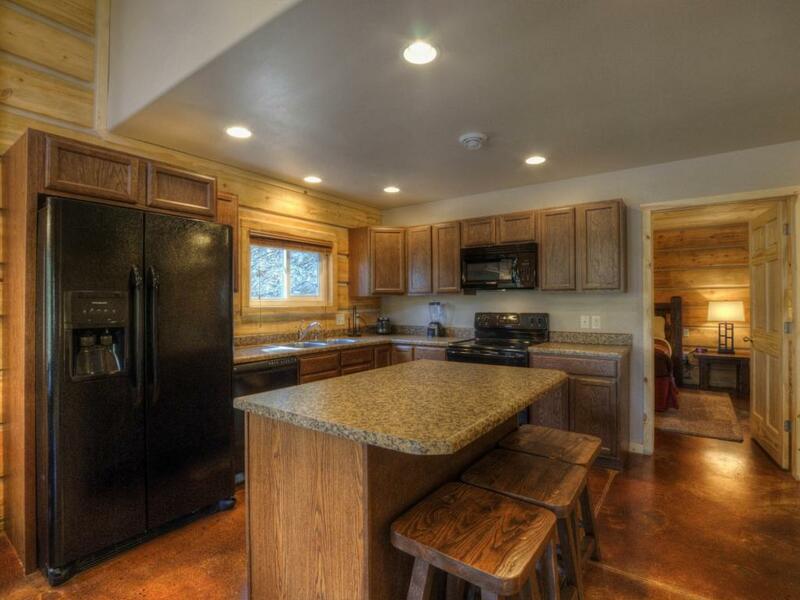 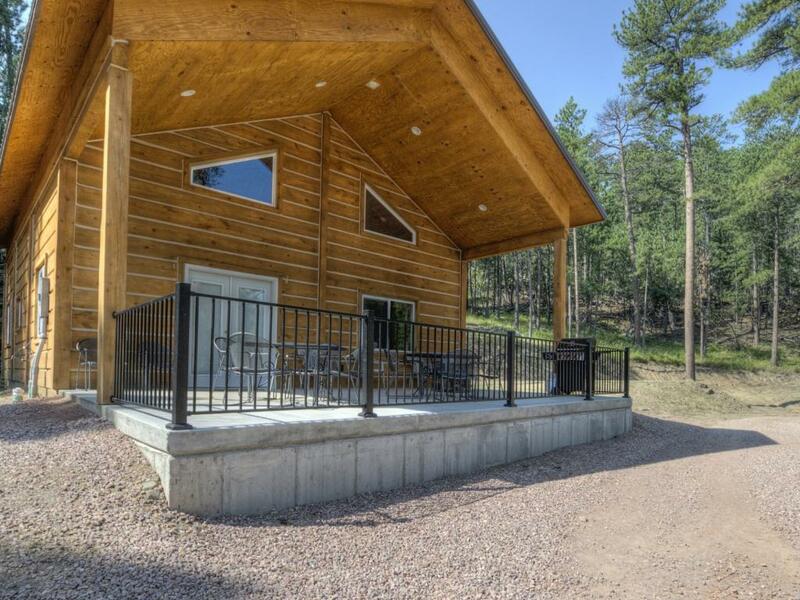 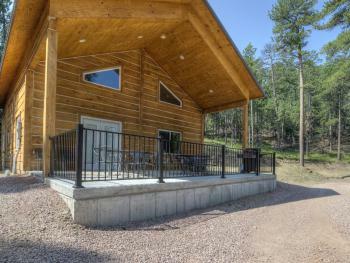 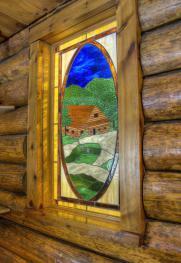 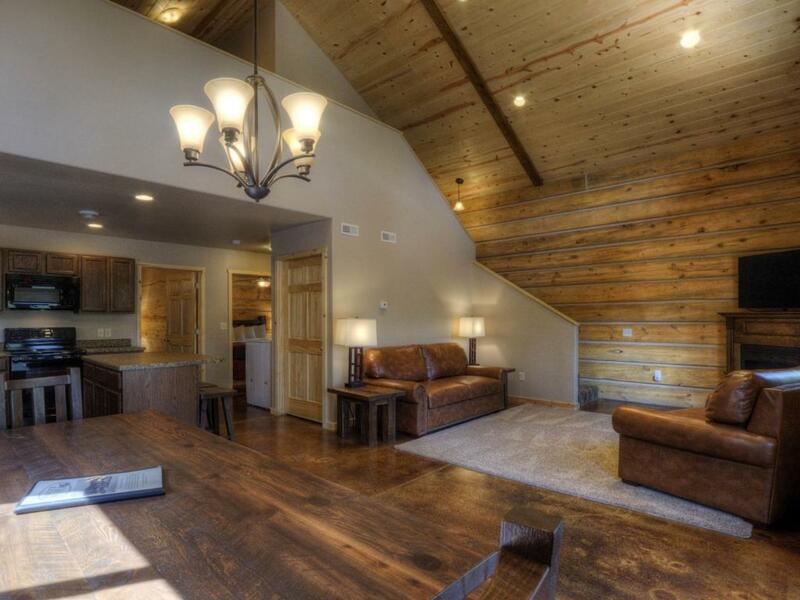 Newly completed in August of 2014, our Homestead Cabin is our largest unit on site. Featuring 1600 sq. 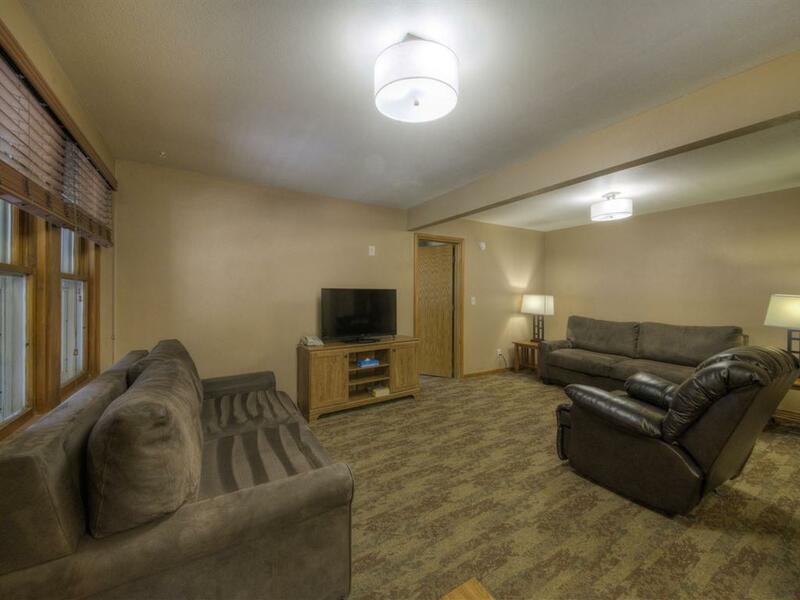 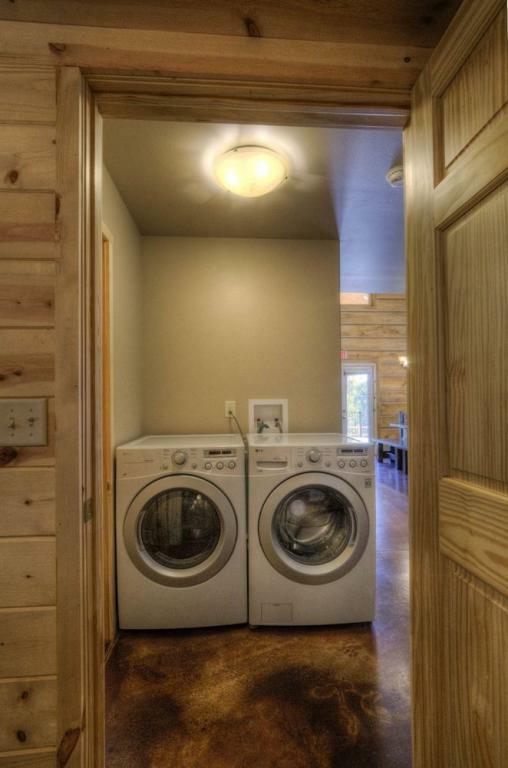 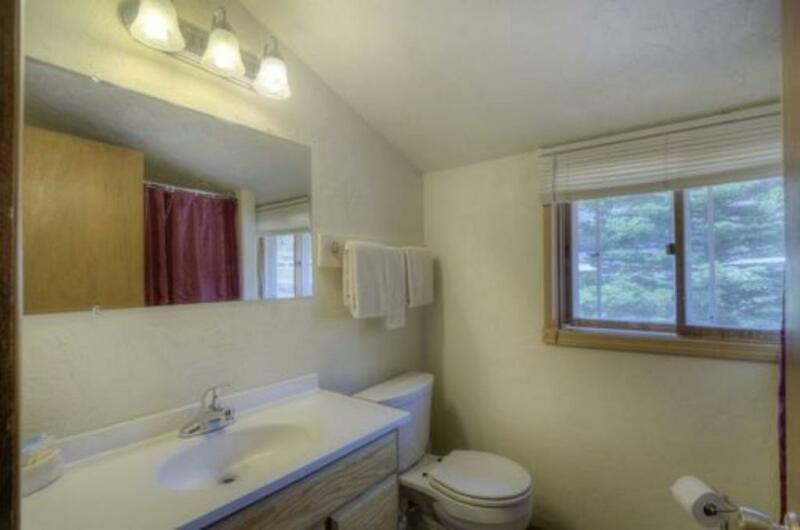 feet of living space, this unit truly lives up to its name as a home away from home. 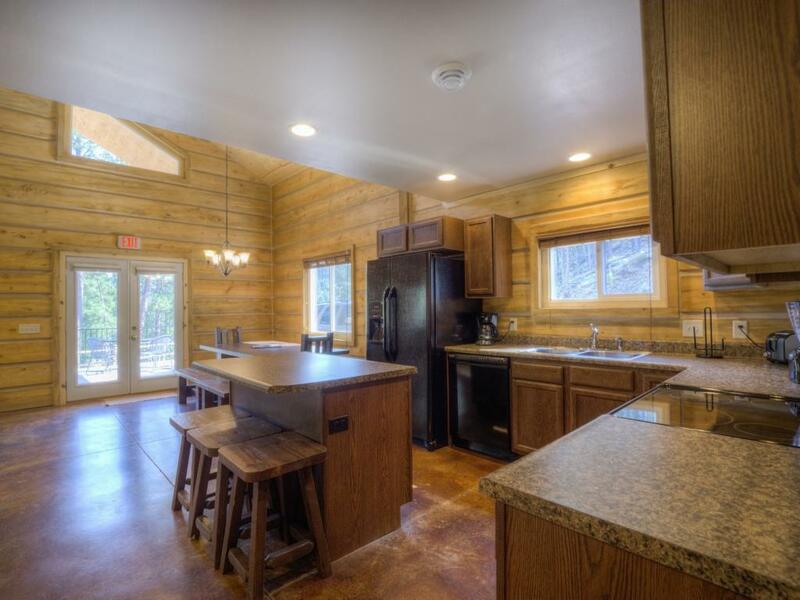 Featuring four bedrooms and two bathrooms as well as a full kitchen, it comfortably fits large groups and can sleep up to 13 people. 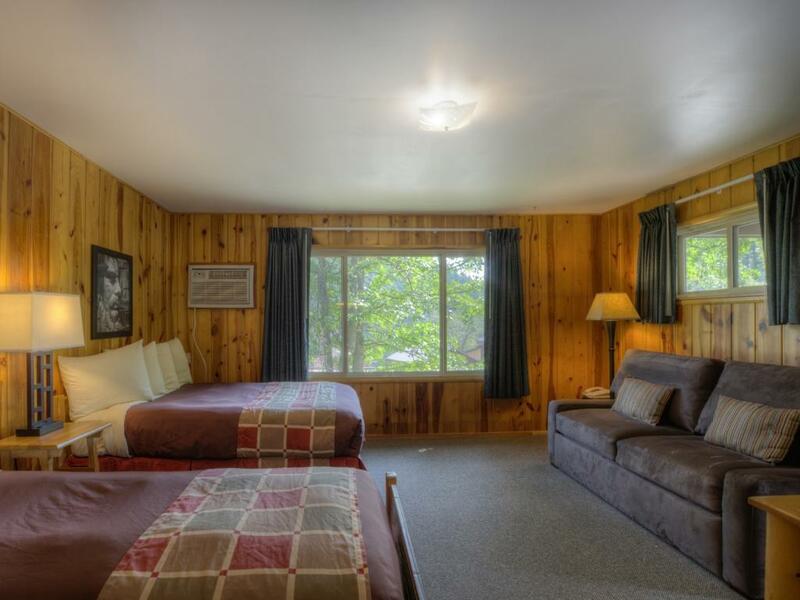 The main floor includes: two bedrooms, each with a king size bed; a full bathroom; a fully furnished kitchen; a large dining room table; and a living room that features one queen and one twin comfort sleeper, a corner fireplace and a large flat screen TV. 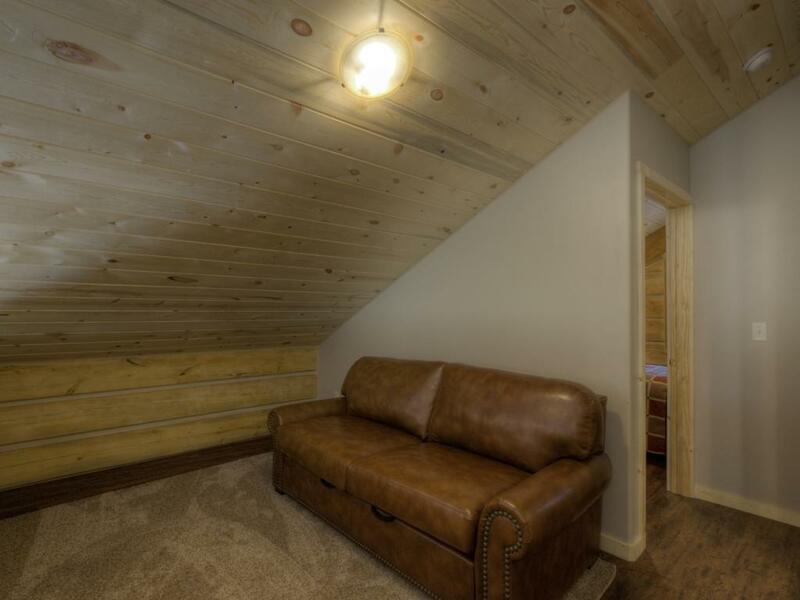 The loft area includes a sitting area containing another queen comfort sleeper. 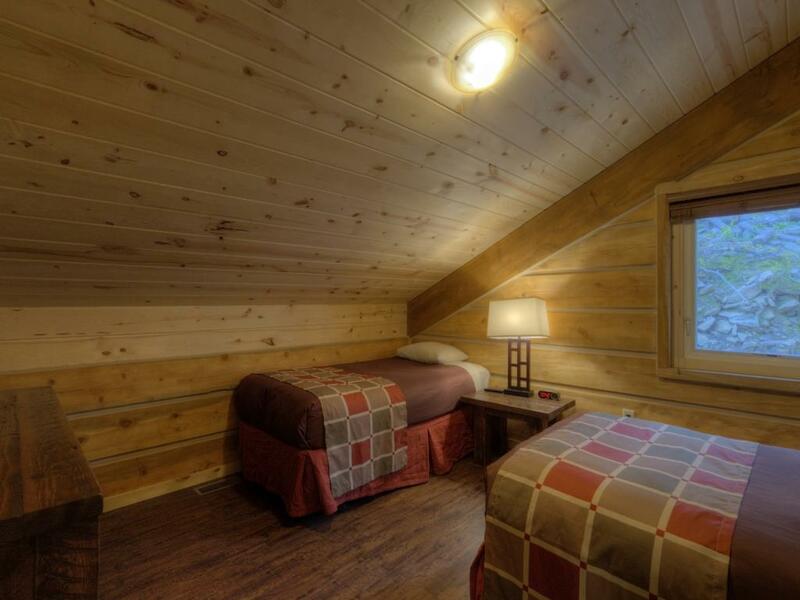 The third and fourth bedrooms are also located in the loft area, with the third bedroom furnished with one queen size bed, and the fourth bedroom with two twin size beds. 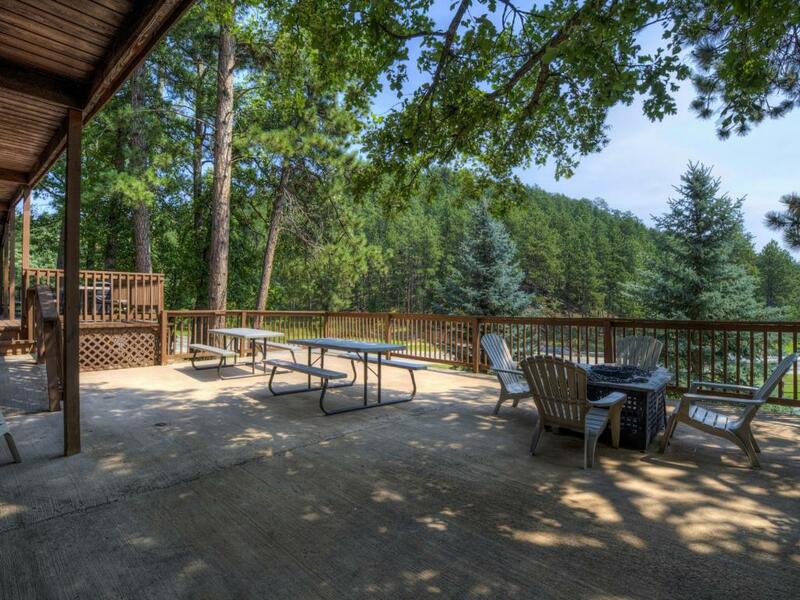 This unit also features a spacious covered front patio with a gas grill, as well as a fire pit to gather the family around. 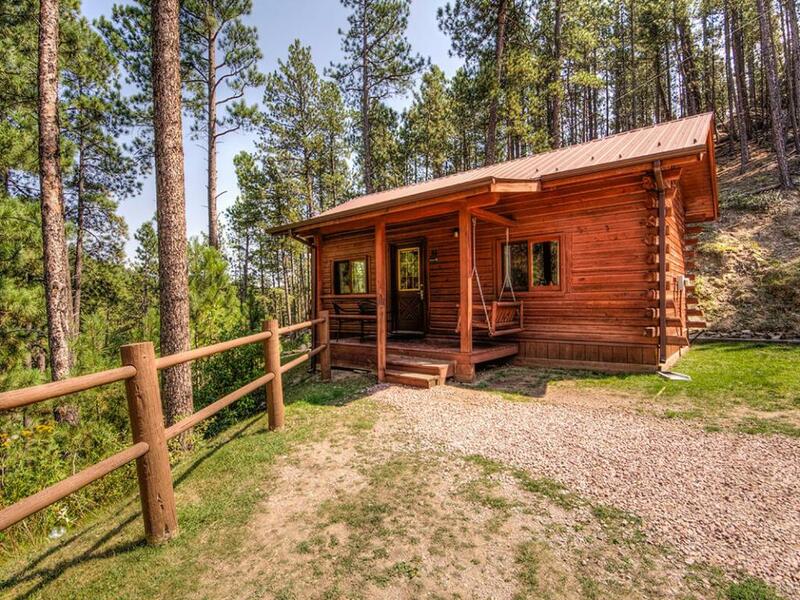 The Honeymoon Cabin offers a special experience for newlyweds, those celebrating an anniversary, or couples simply looking for a rustic romantic getaway. 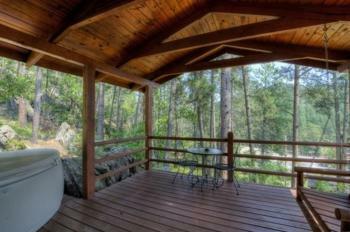 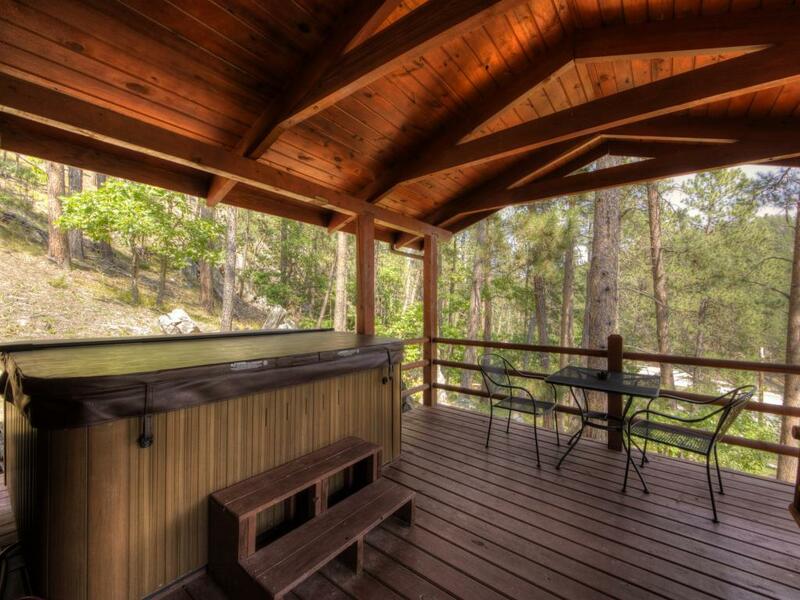 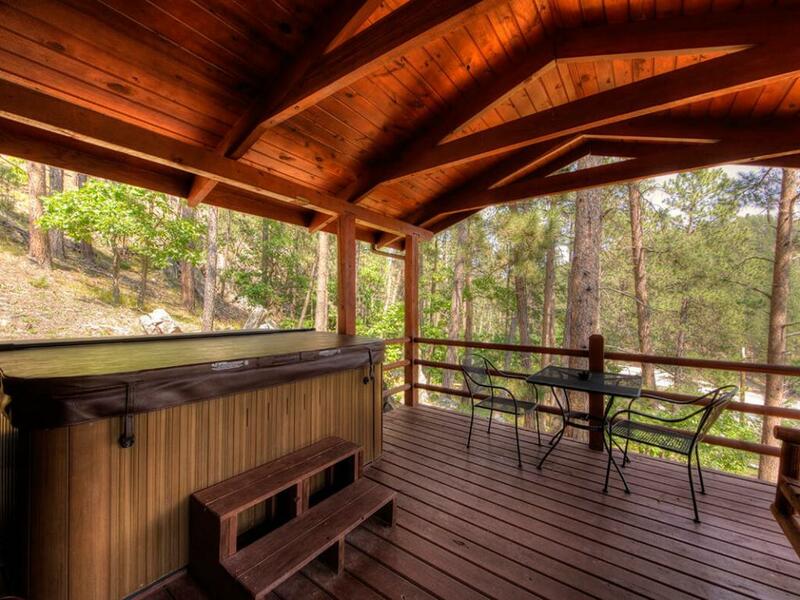 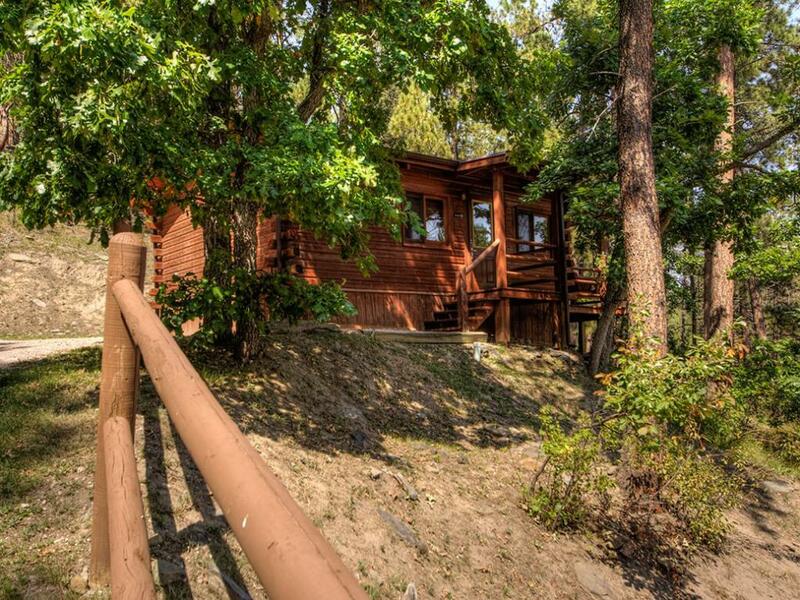 This stand-alone cabin sits high atop the property on the most private site and features a large covered deck with its own private hot tub. Inside you will find an open floor space with a king 4-Poster bed, a queen size comfort sleeper, an electric fireplace, and a kitchenette featuring a microwave, mini-fridge, small sink and a table and chairs. Located at the base of the hill, next to the restaurant, these cabins are great for those who are looking for a little more space, as well as a king size bed to stretch out on. 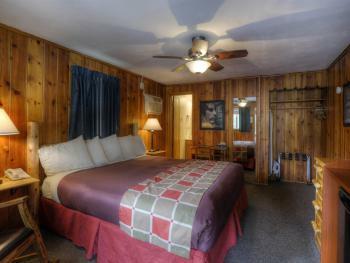 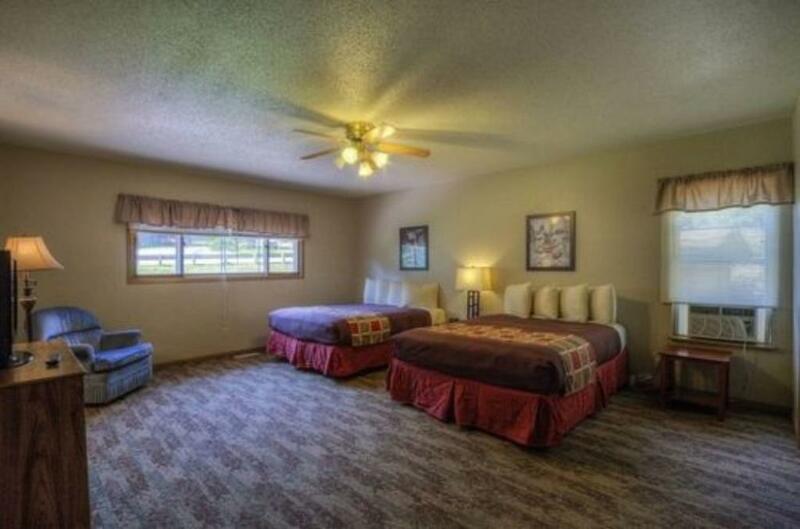 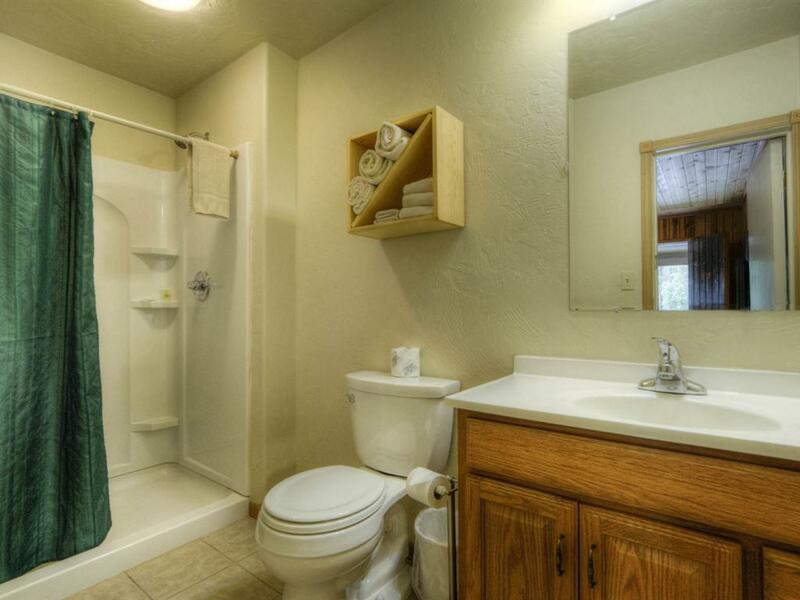 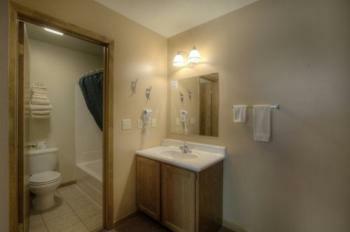 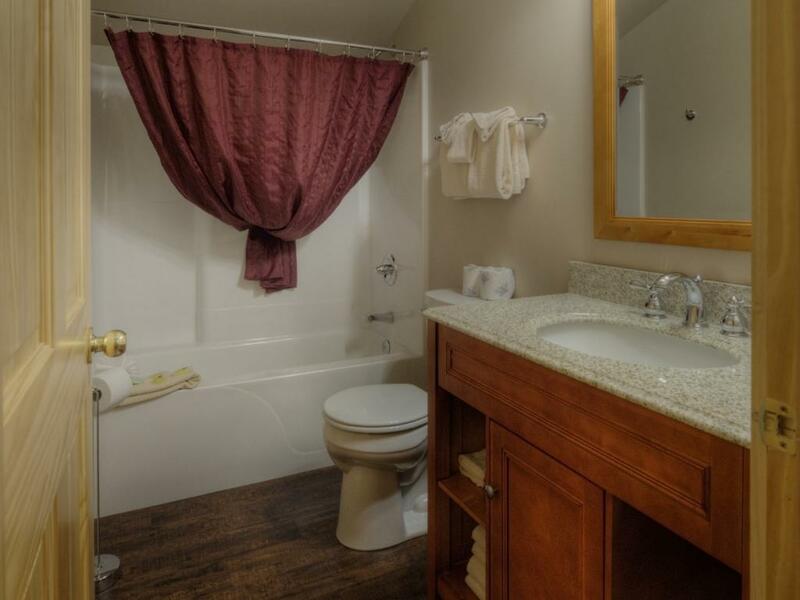 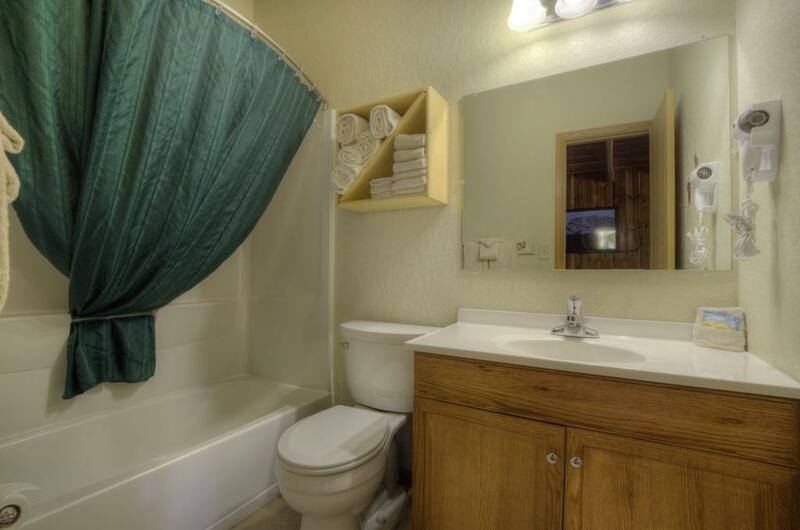 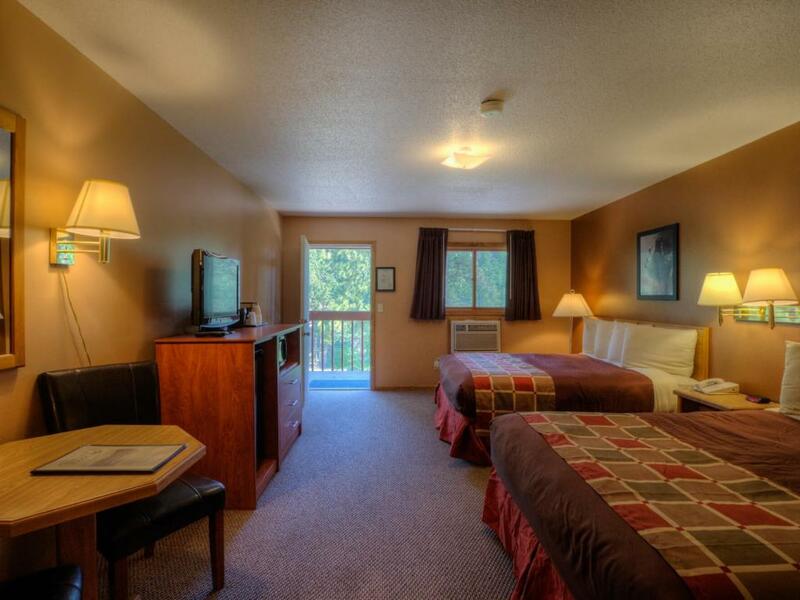 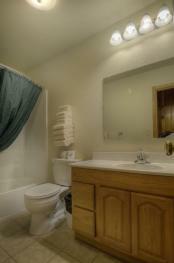 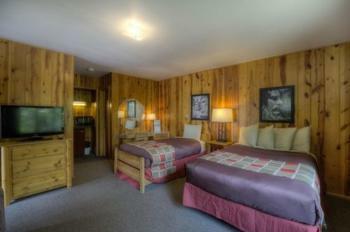 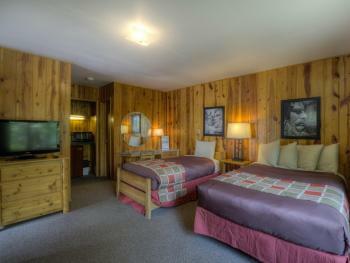 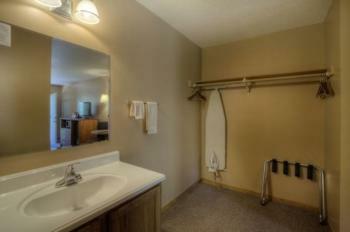 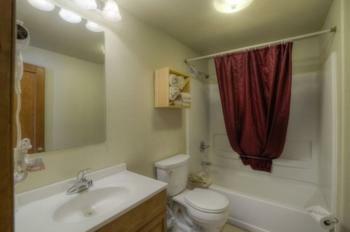 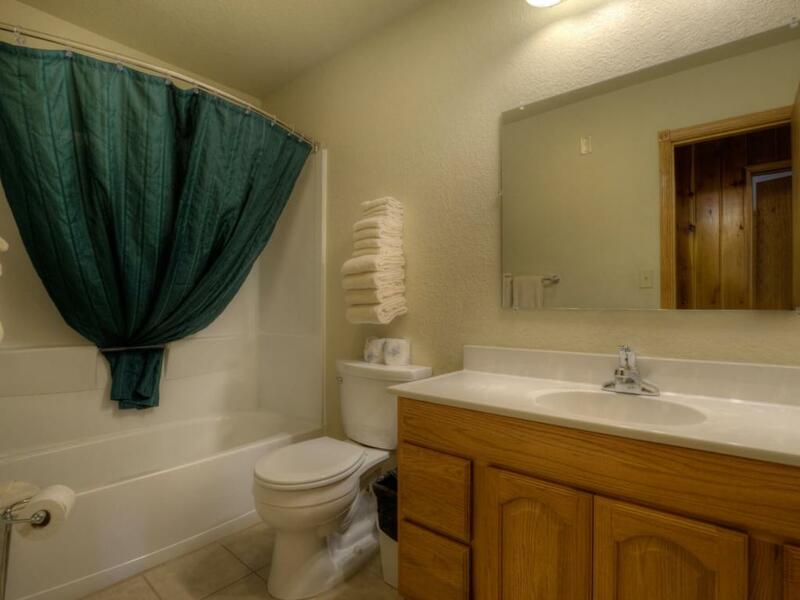 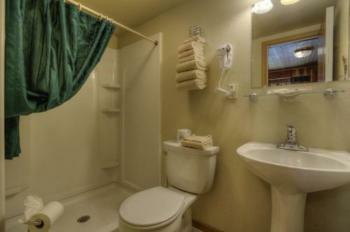 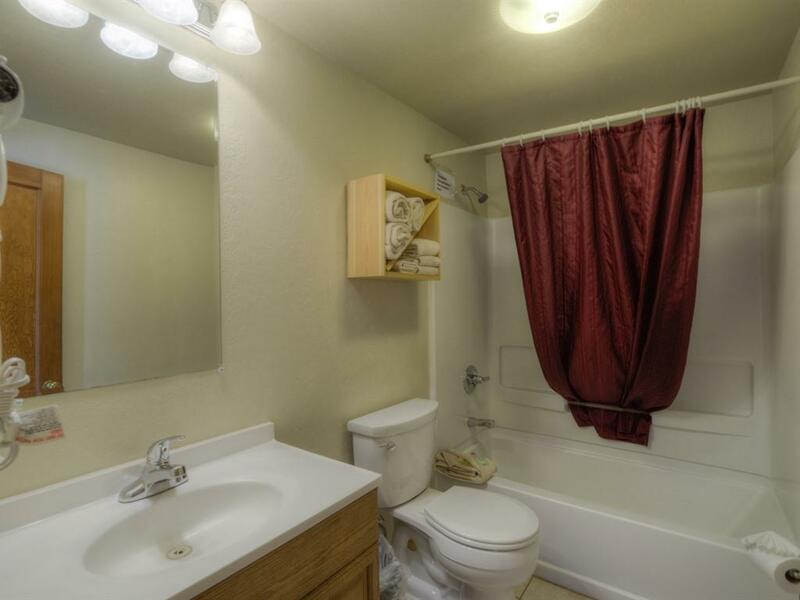 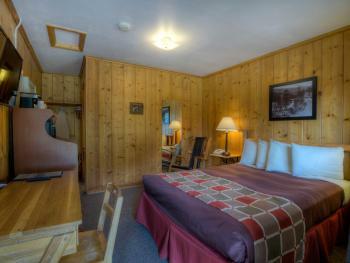 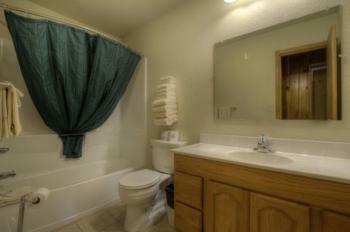 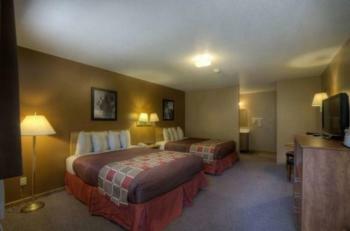 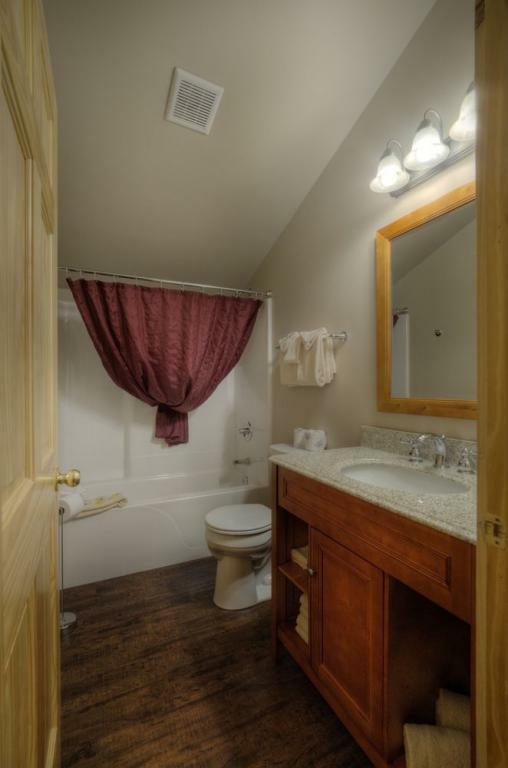 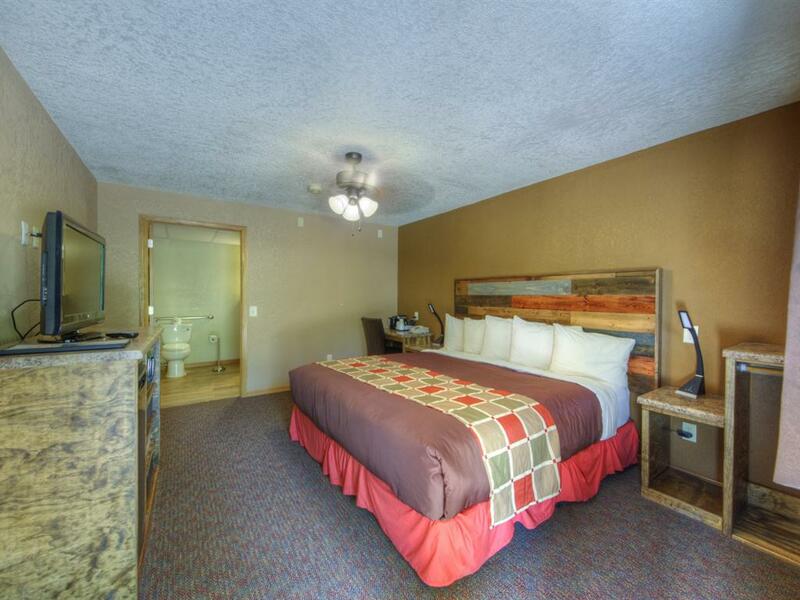 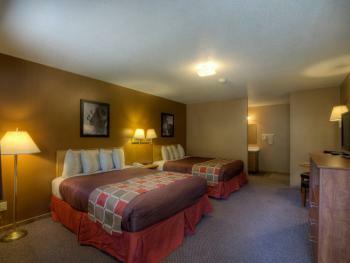 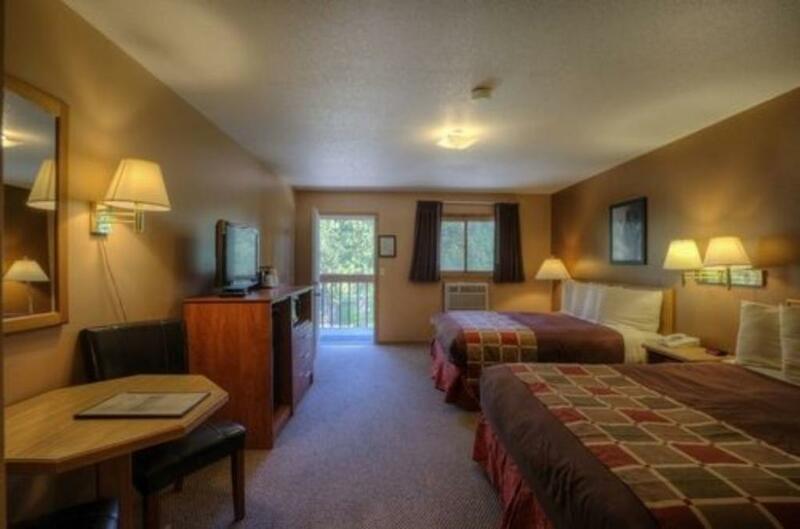 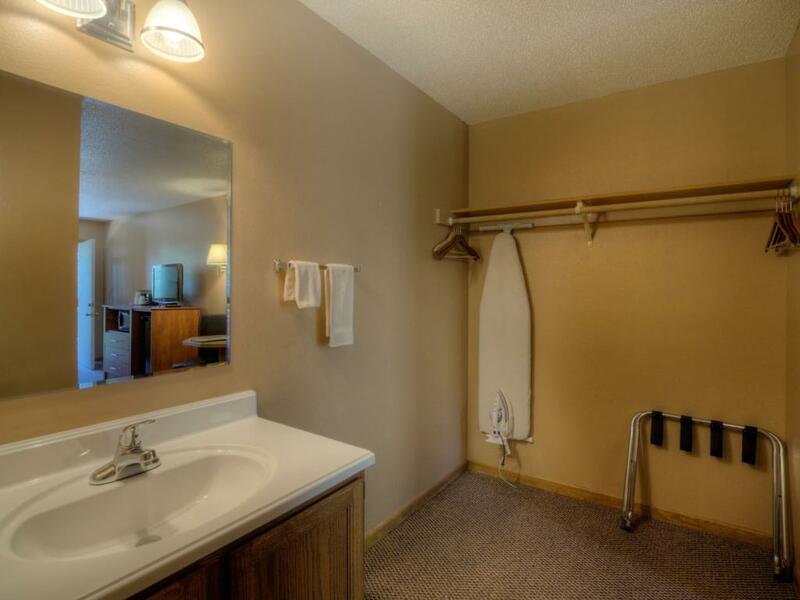 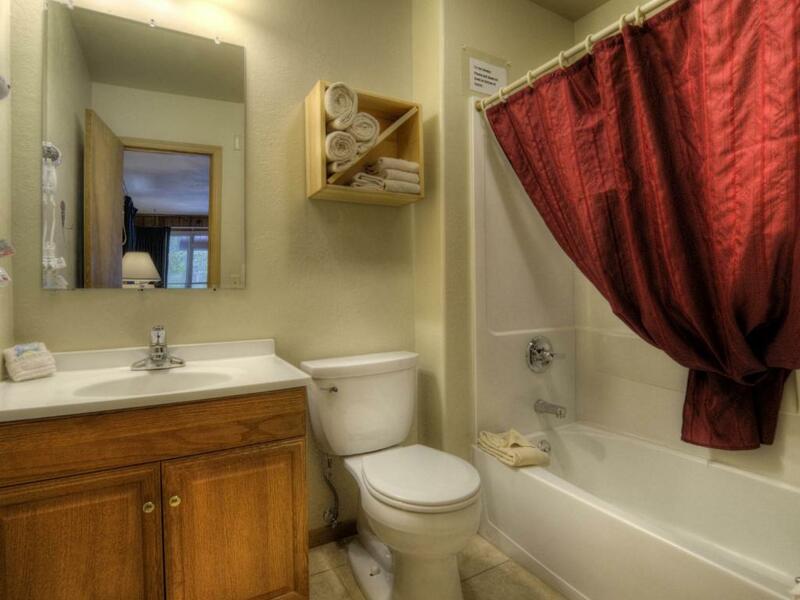 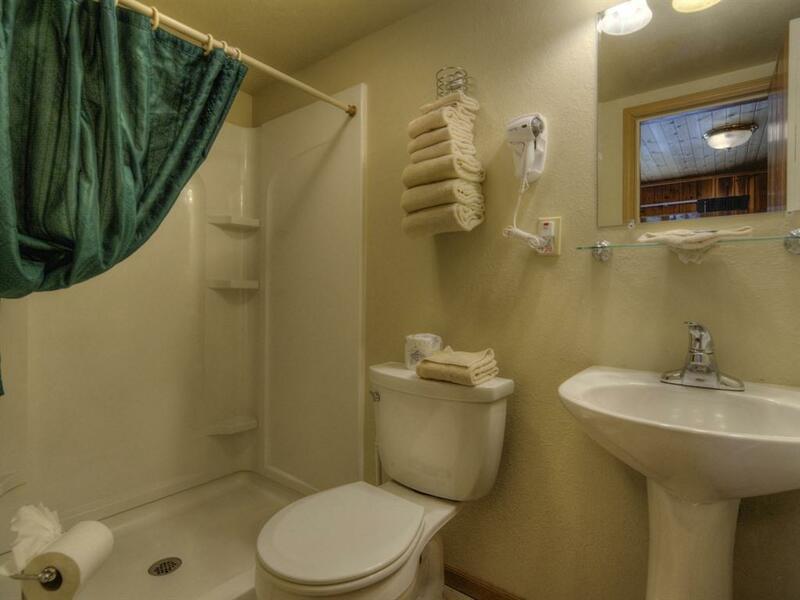 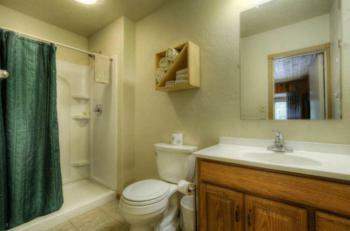 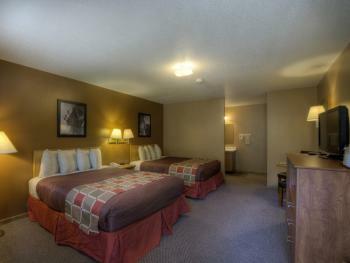 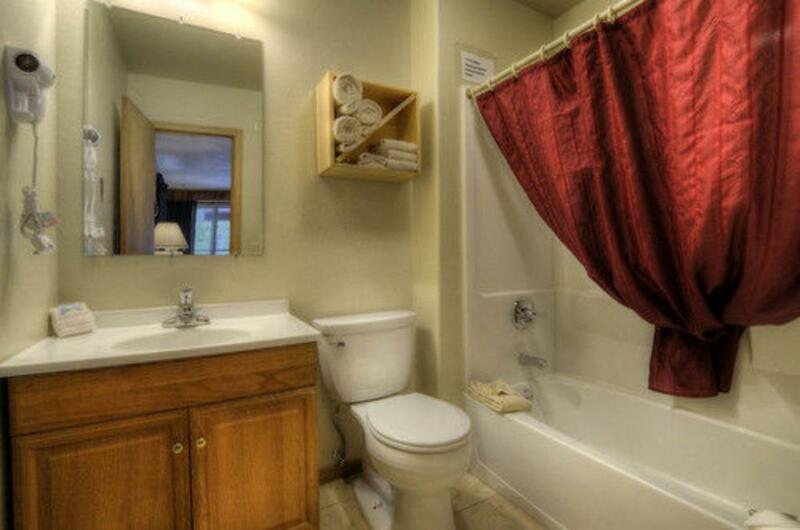 All rooms feature our standard amenities as well as private bathrooms. 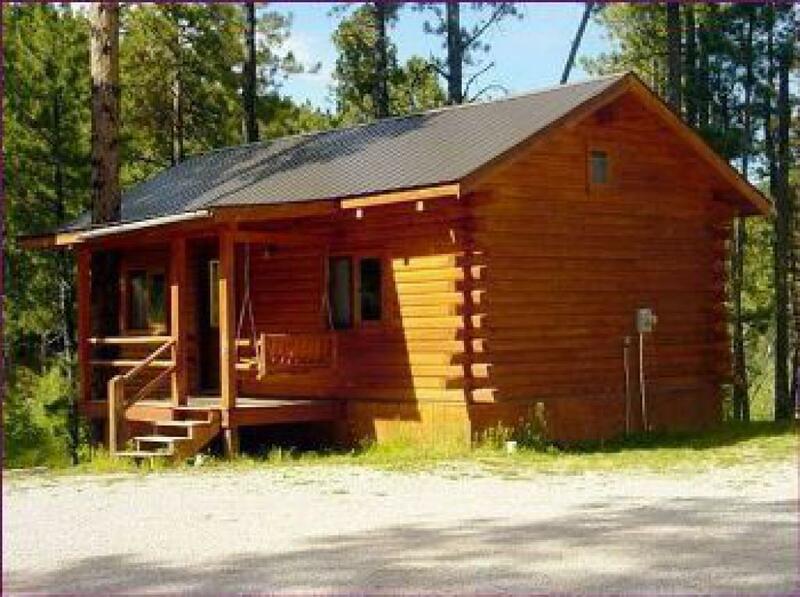 Note: Cabins #27 and #28 are part of a duplex and are great for couples travelling together, as you share a nice big covered porch, yet have the privacy of your own room and bathroom. 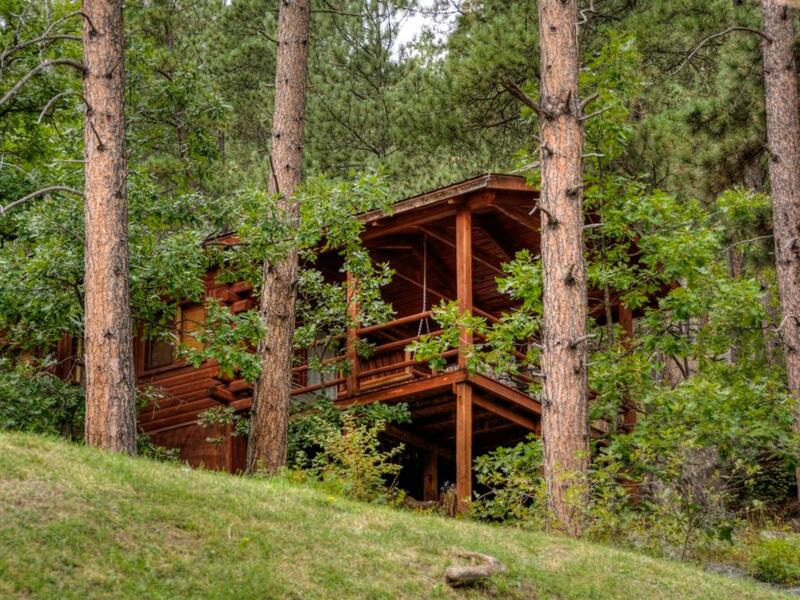 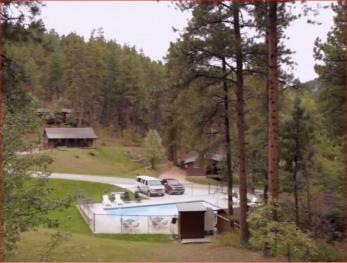 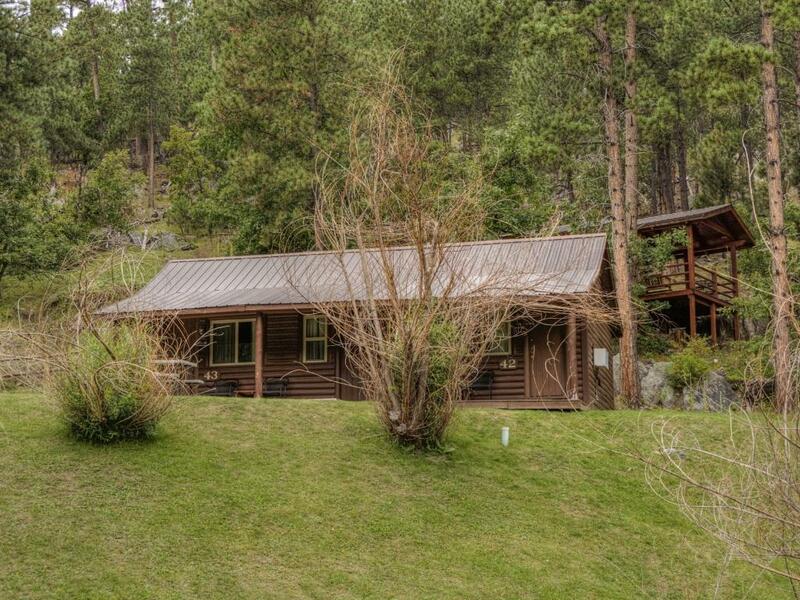 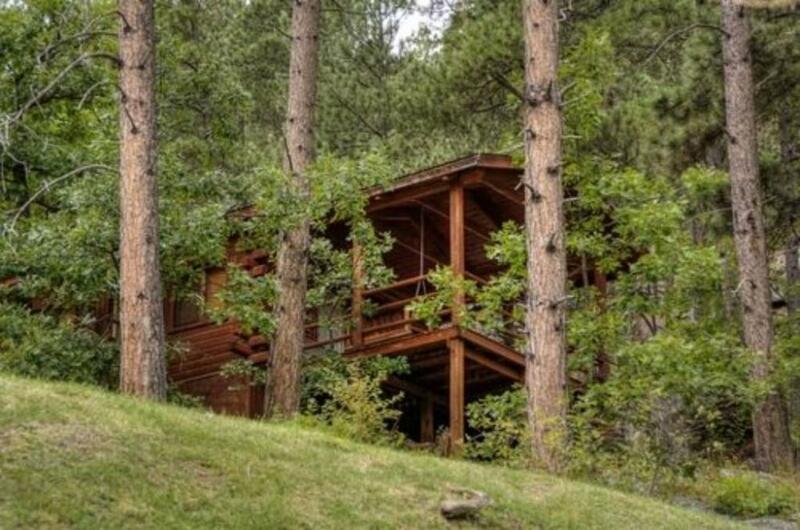 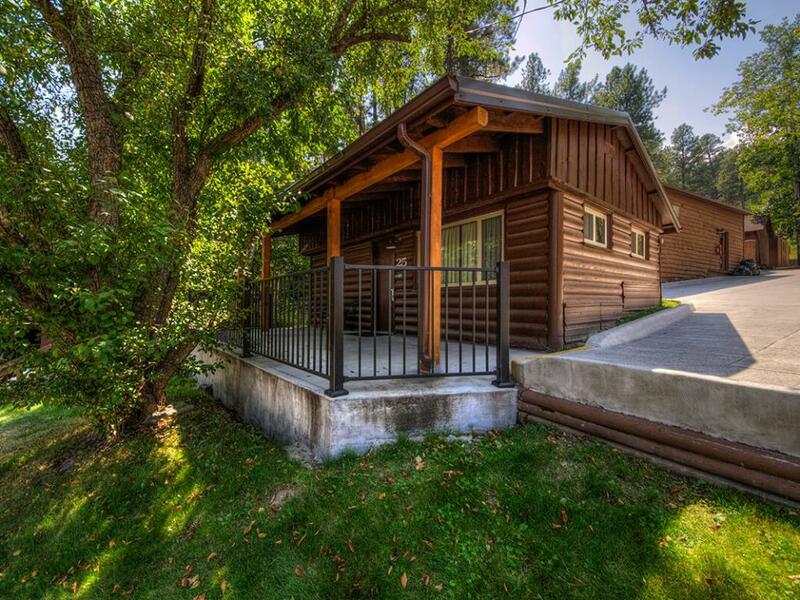 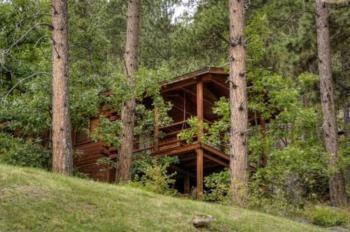 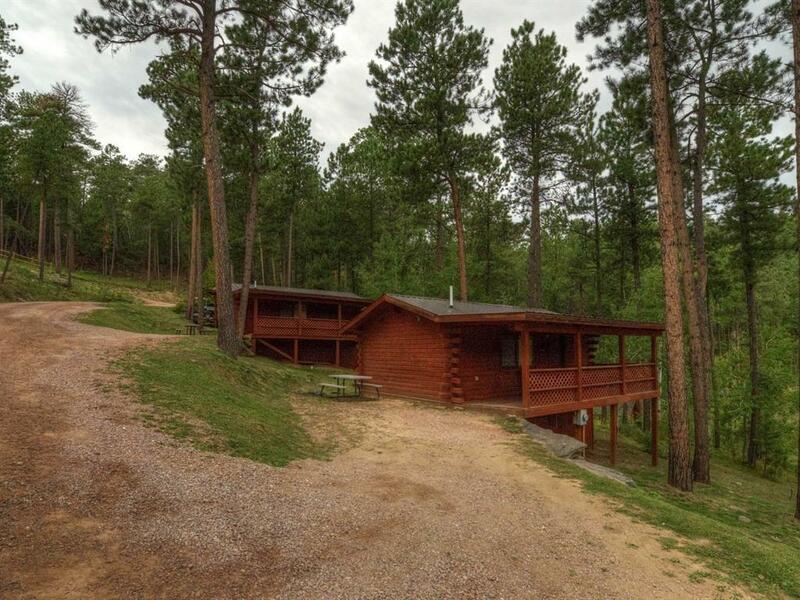 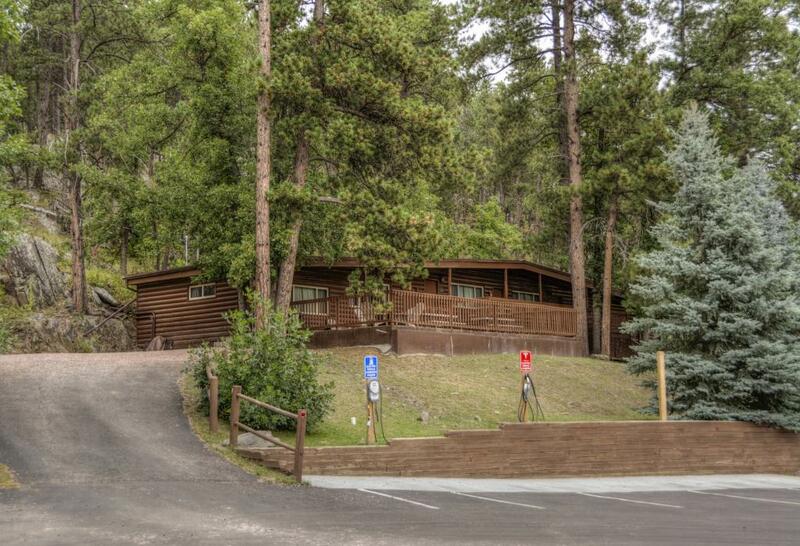 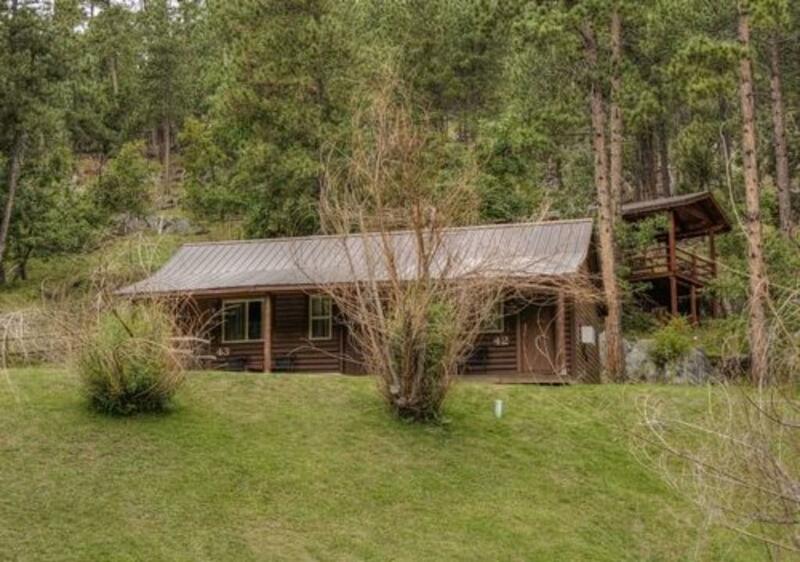 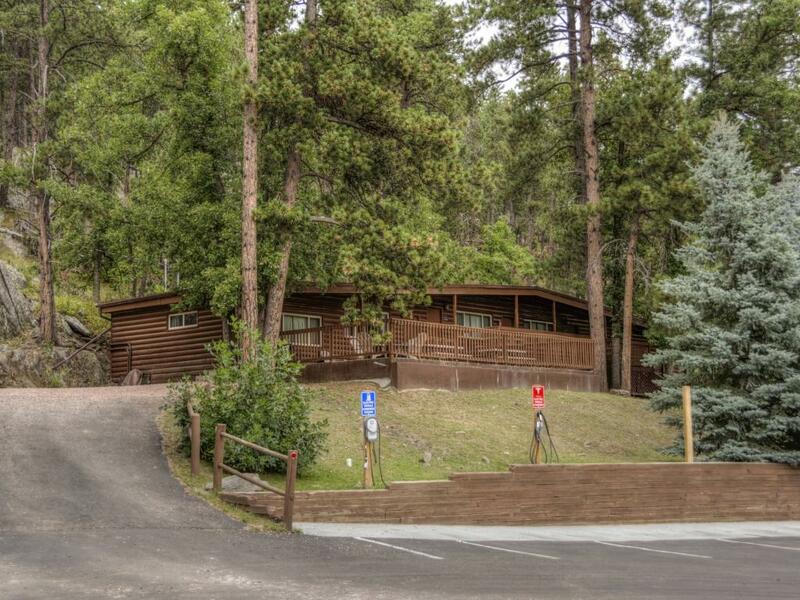 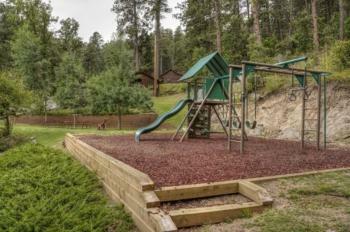 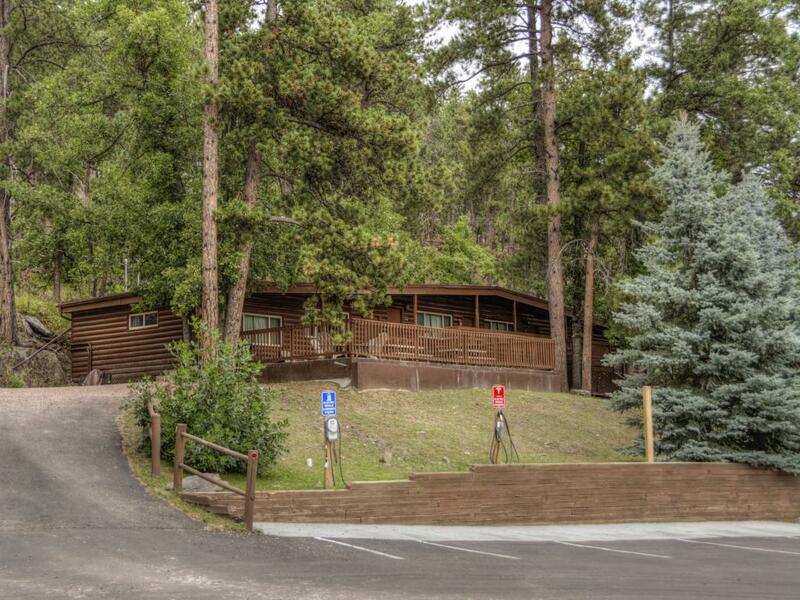 Cabin #43 is also a part of a duplex located at the middle of the hill, just above the pool. 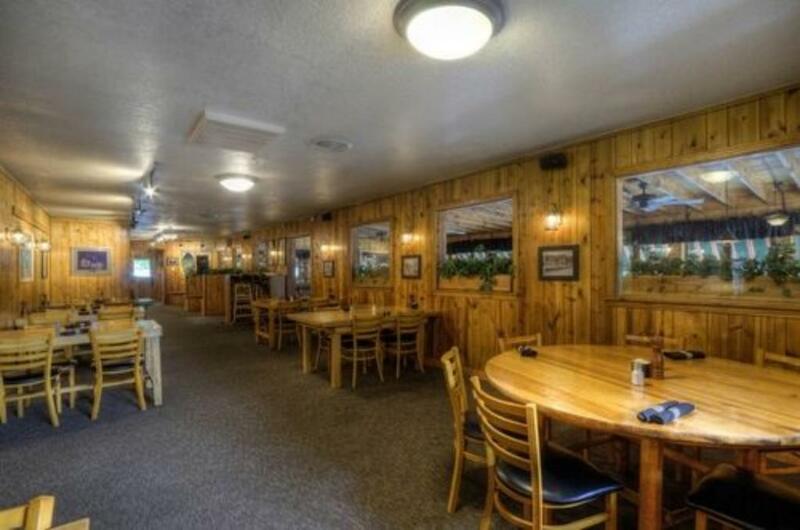 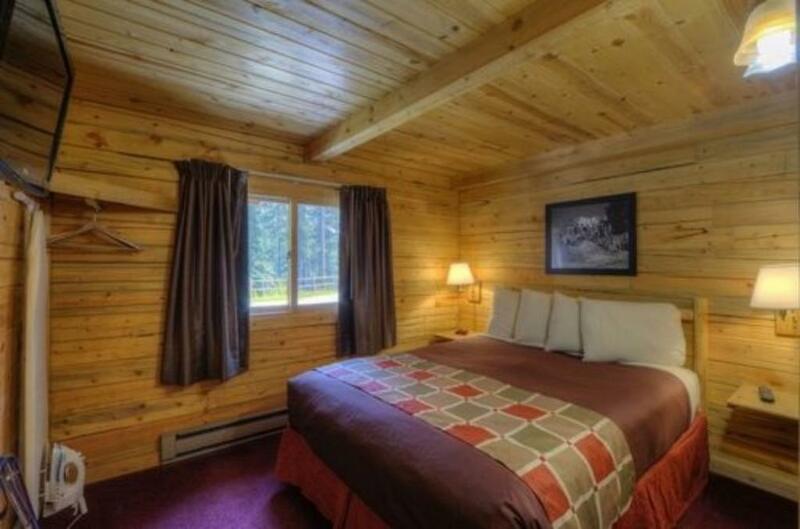 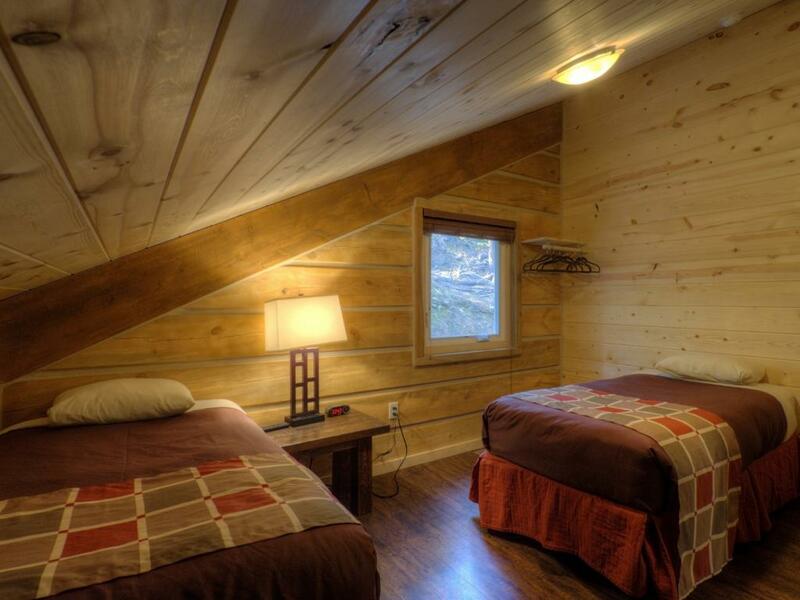 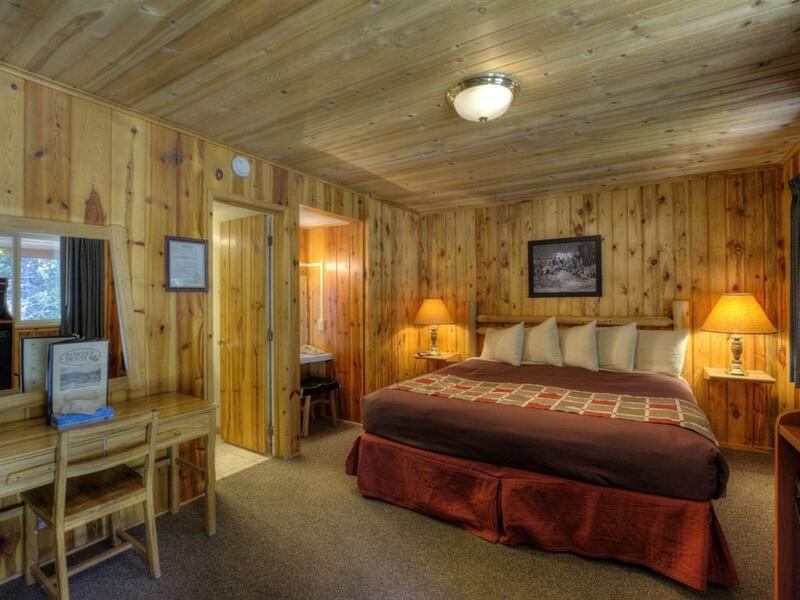 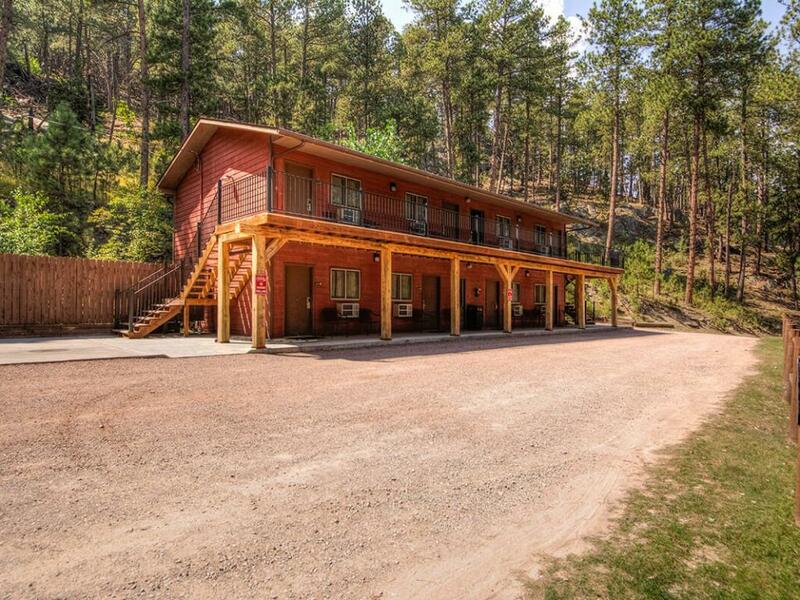 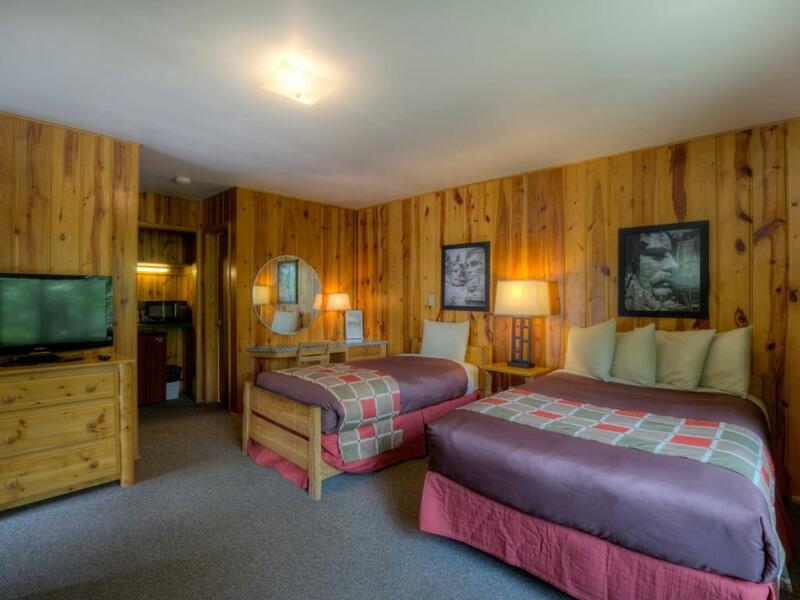 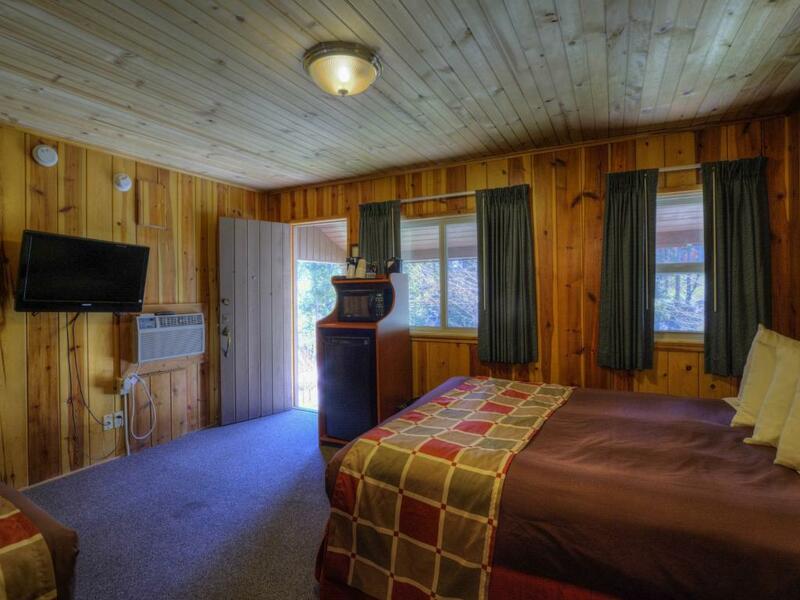 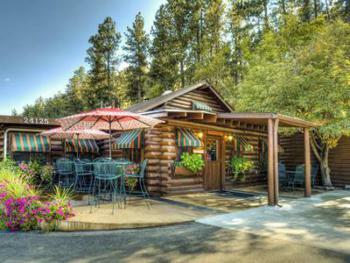 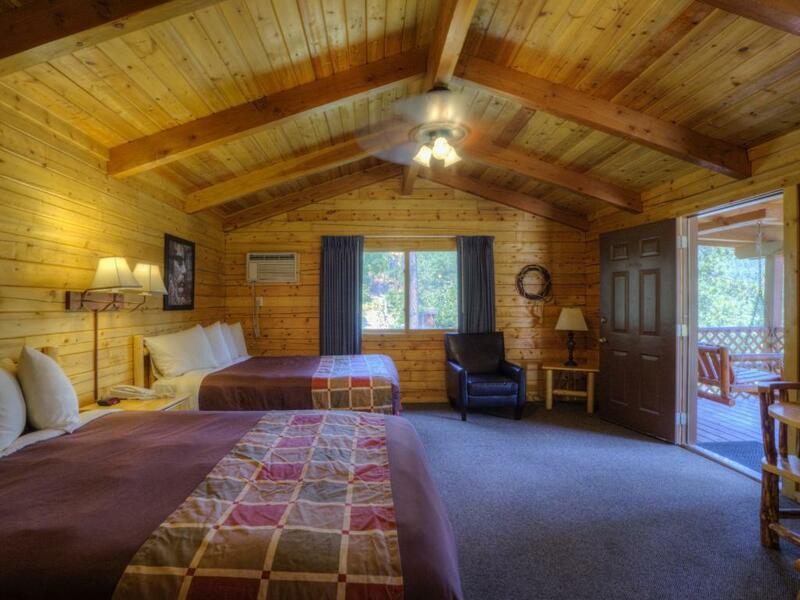 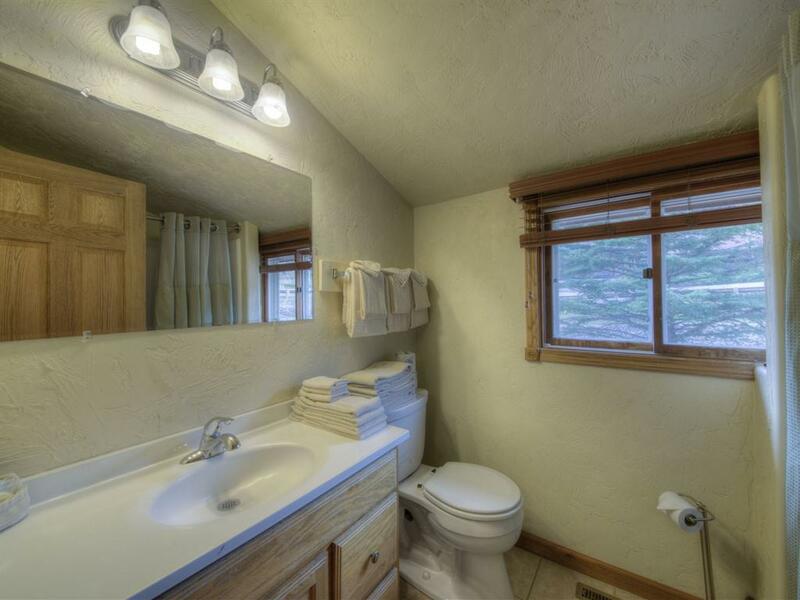 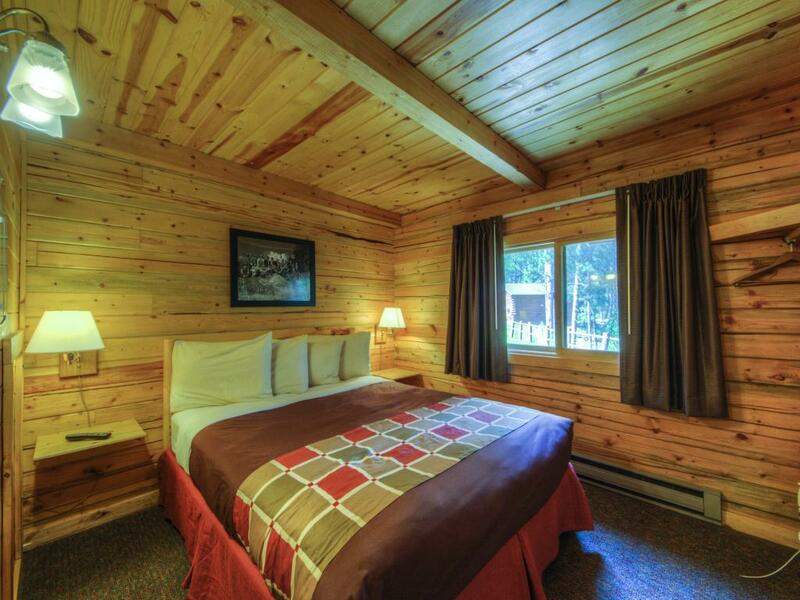 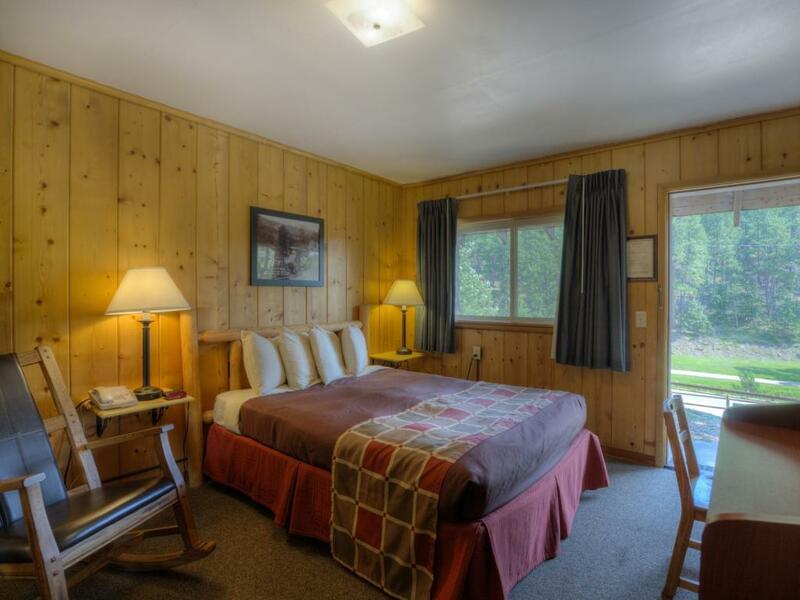 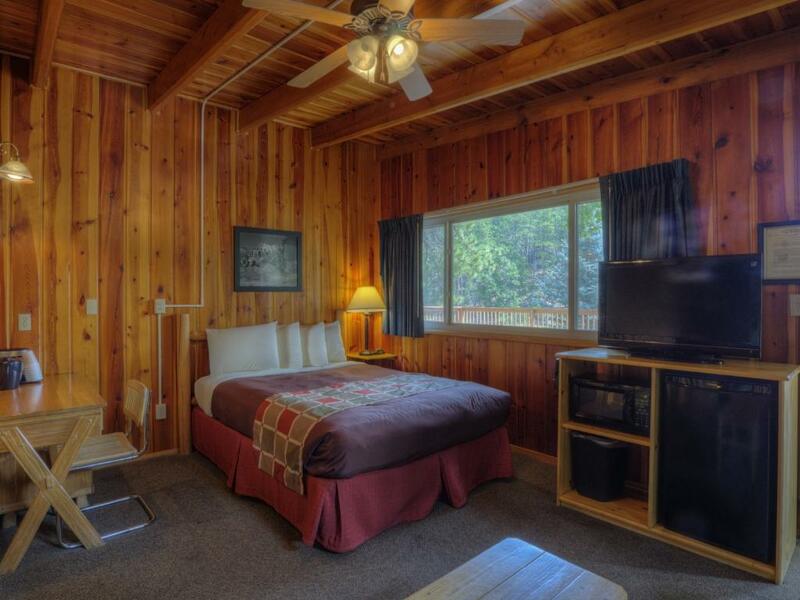 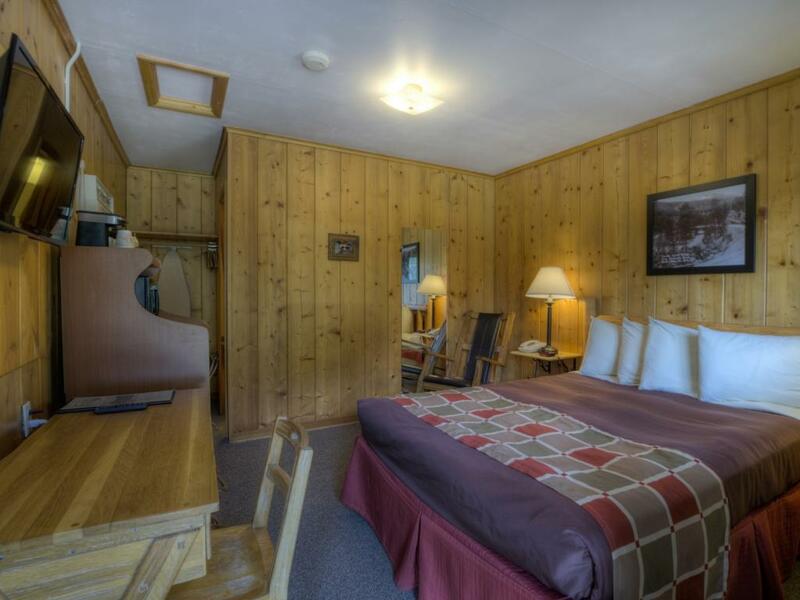 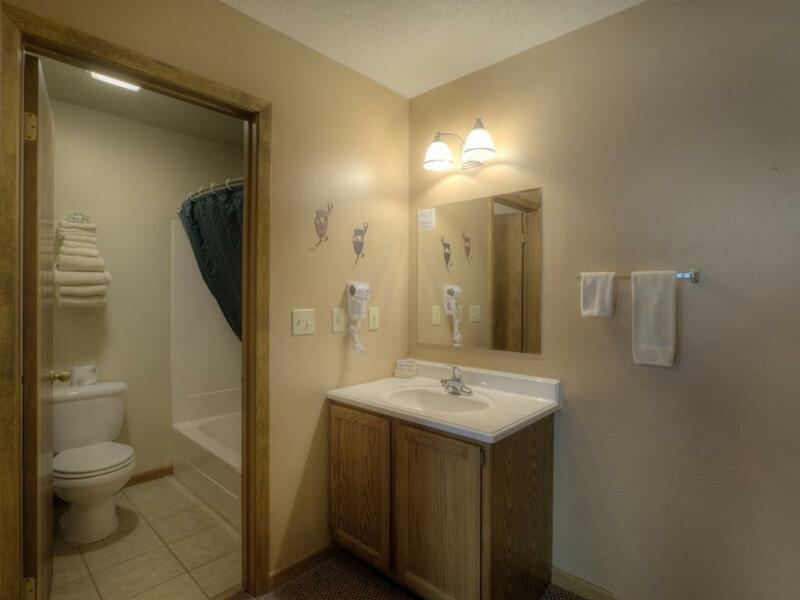 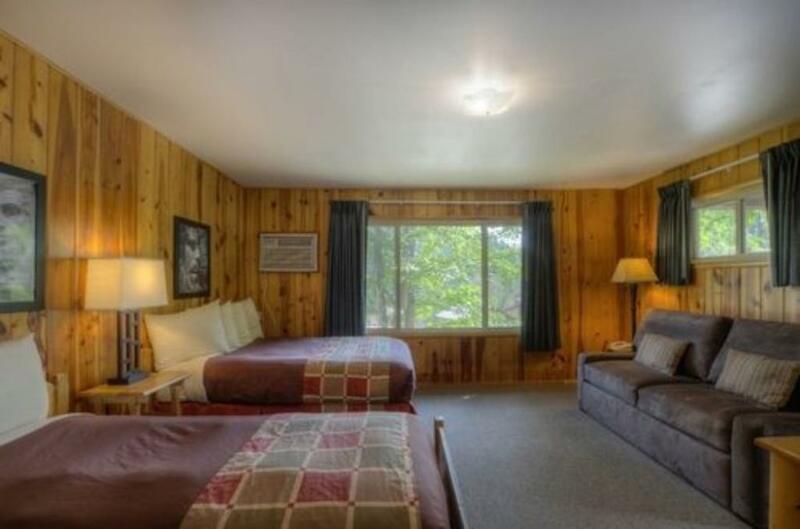 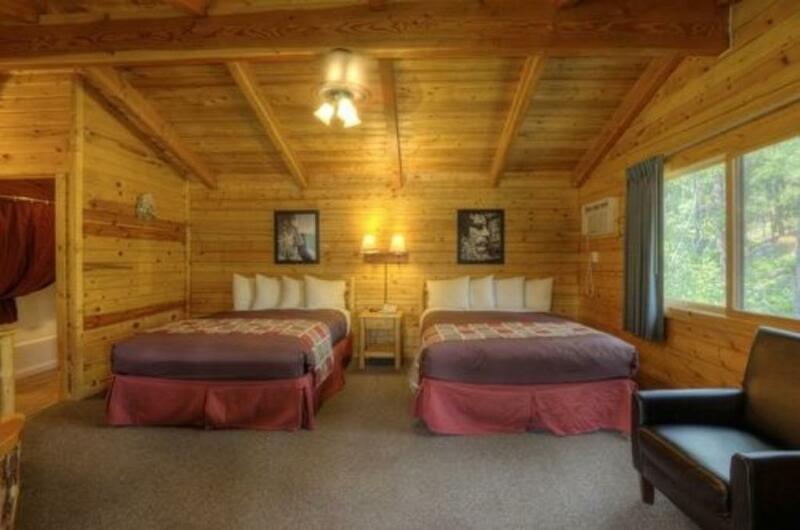 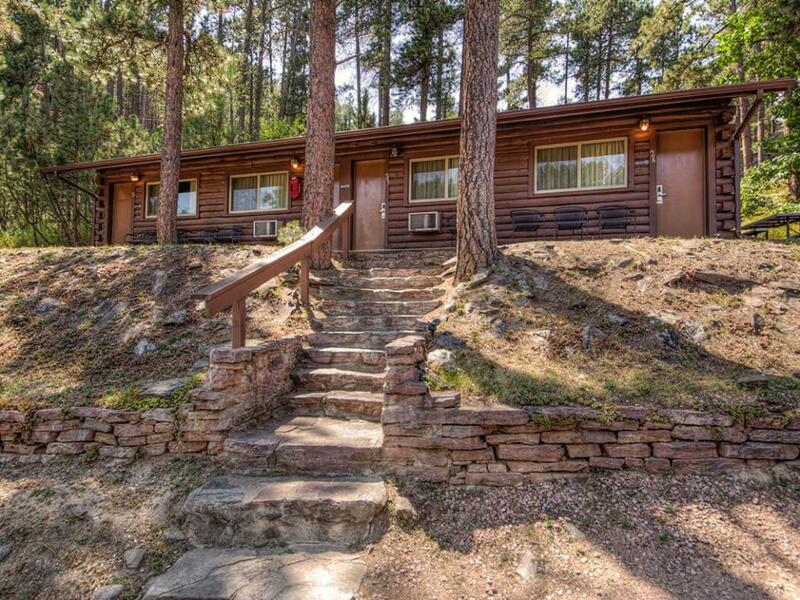 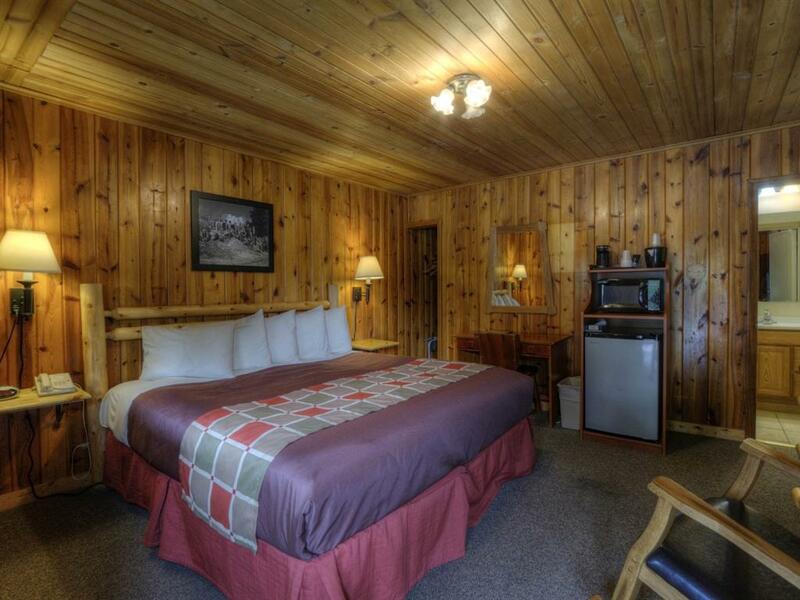 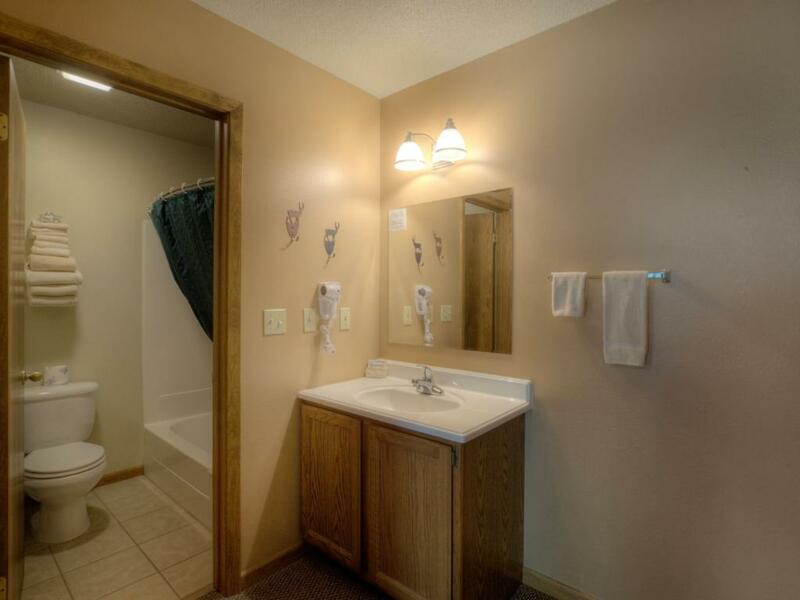 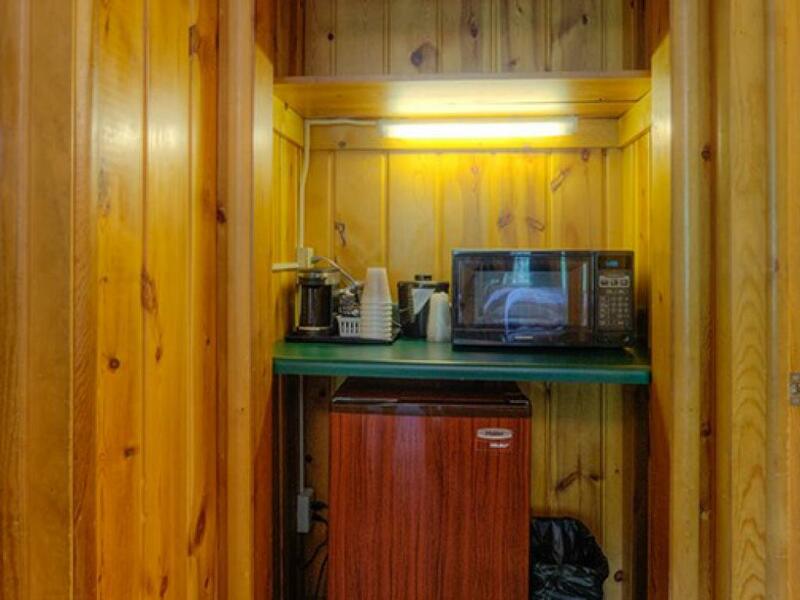 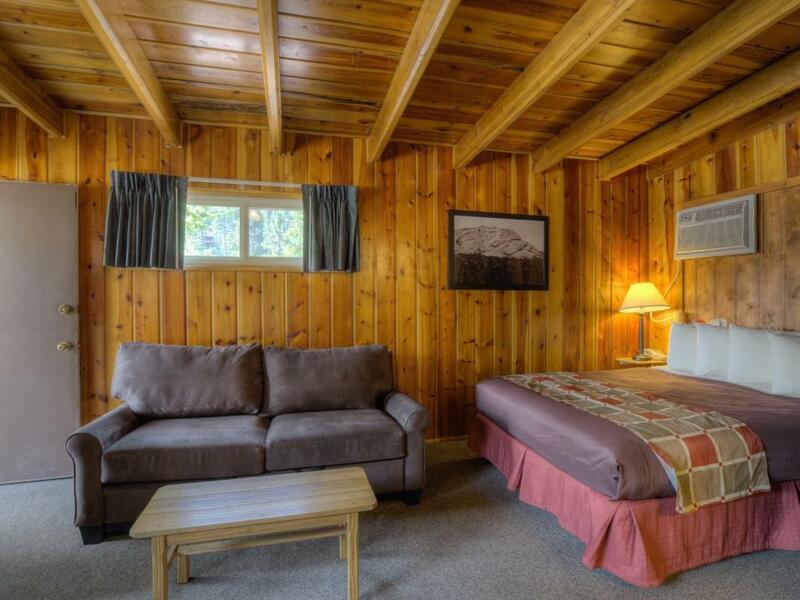 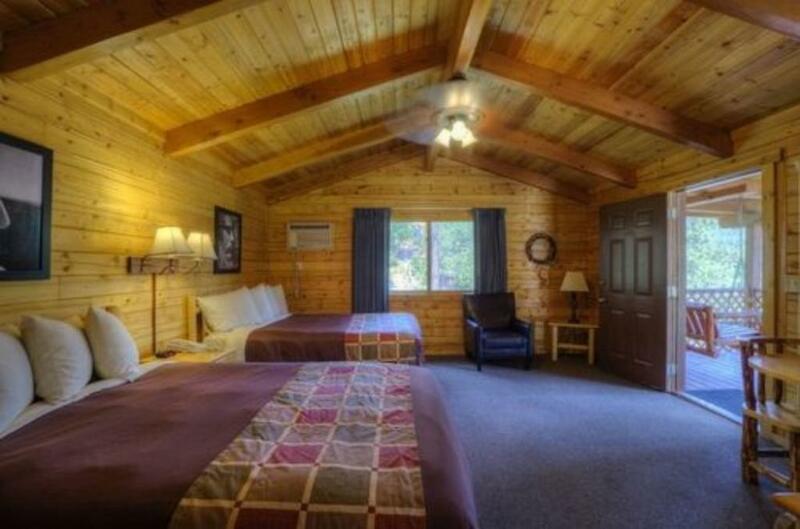 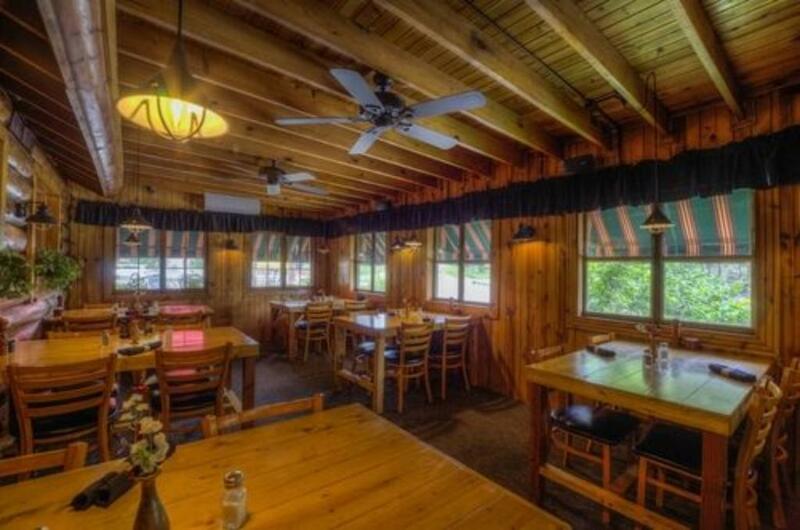 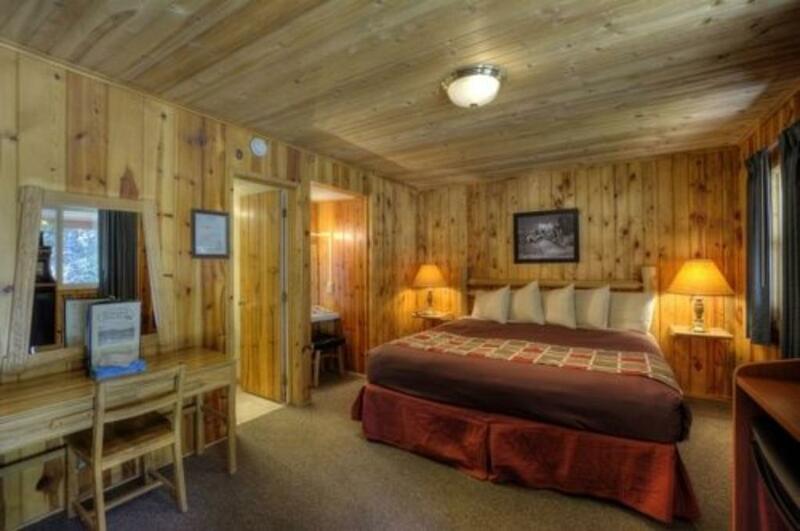 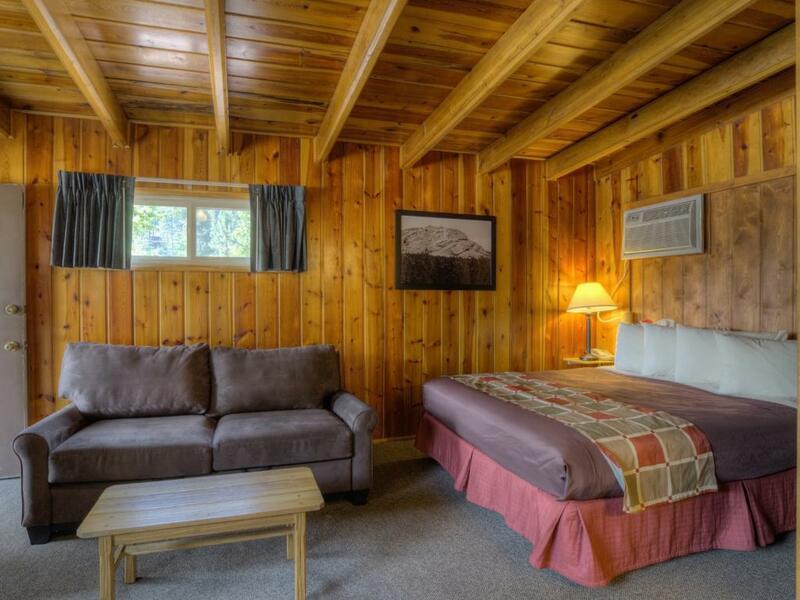 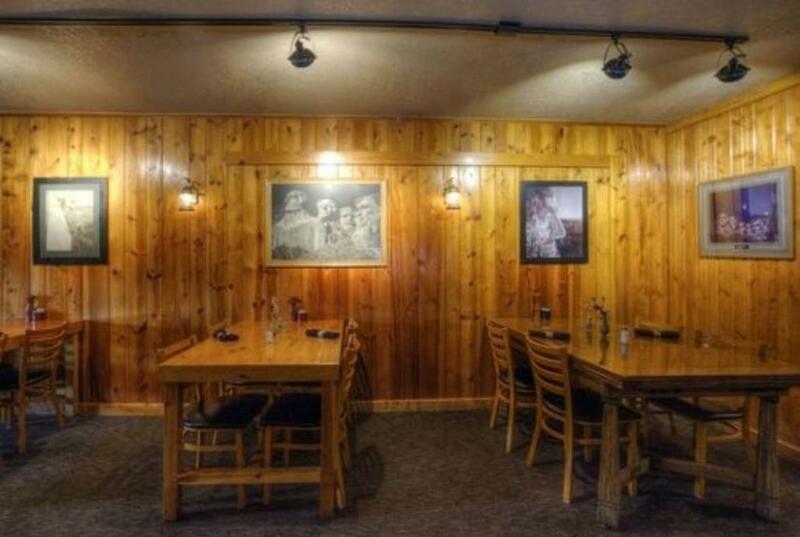 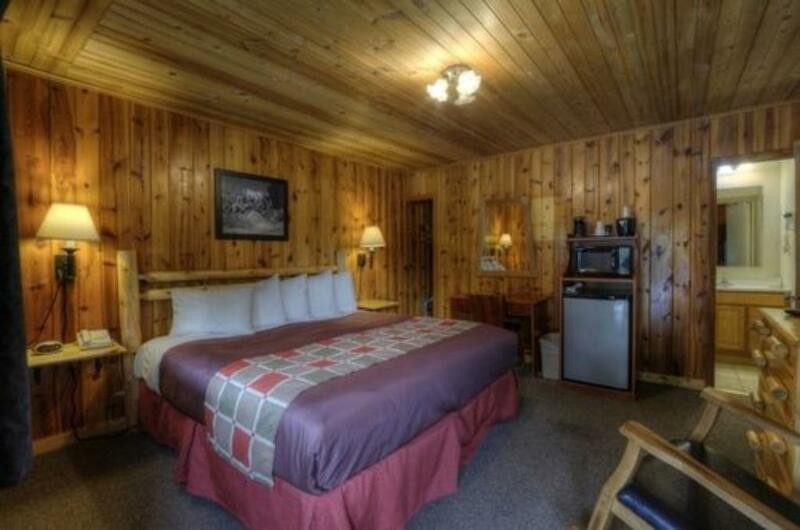 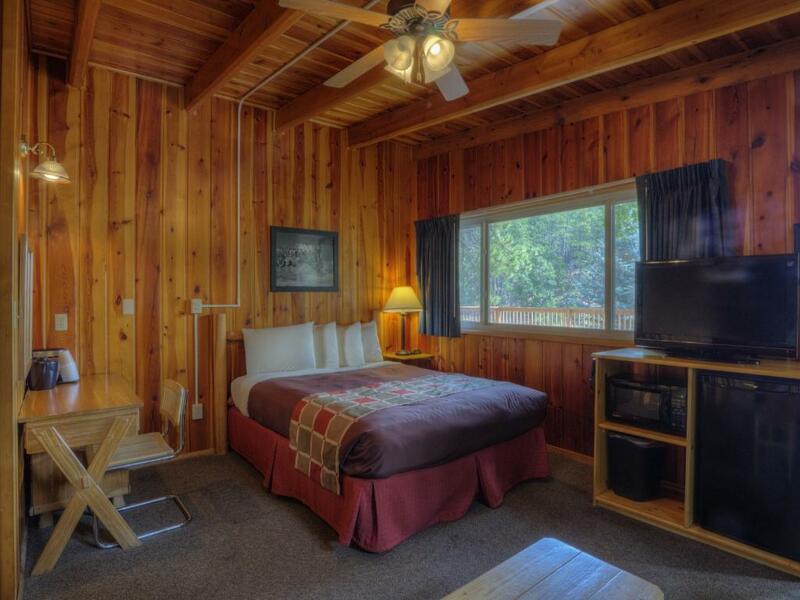 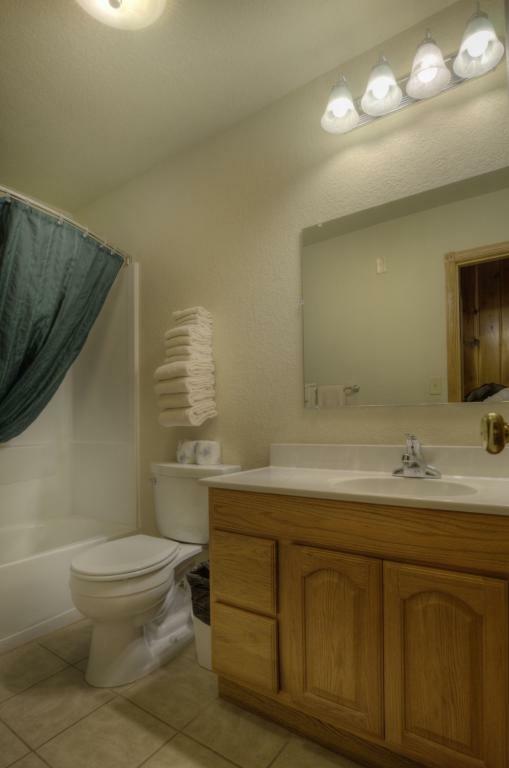 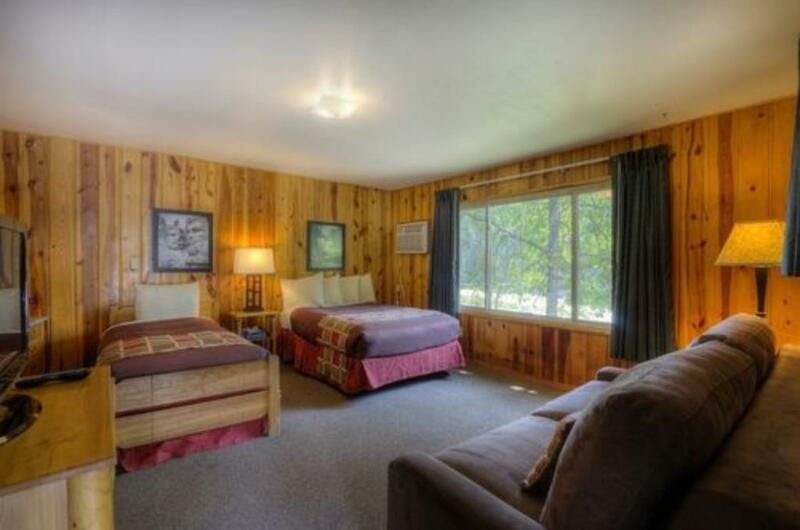 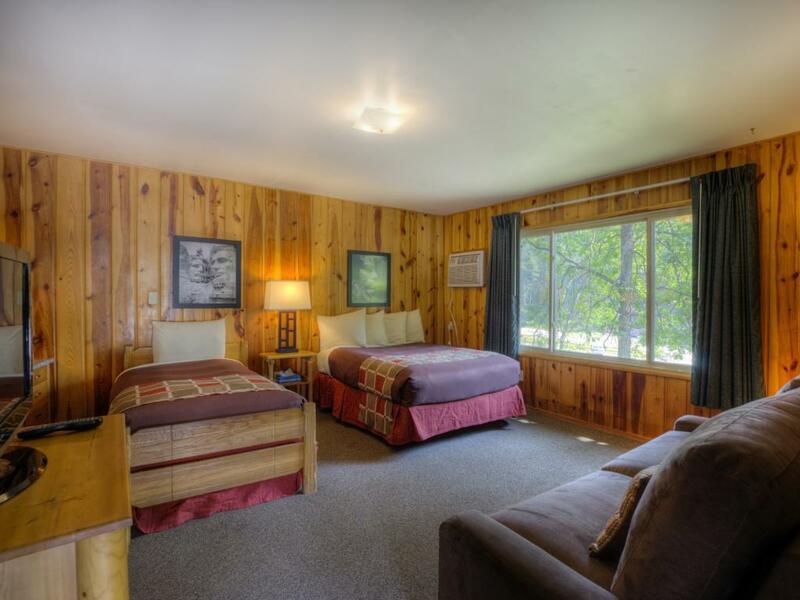 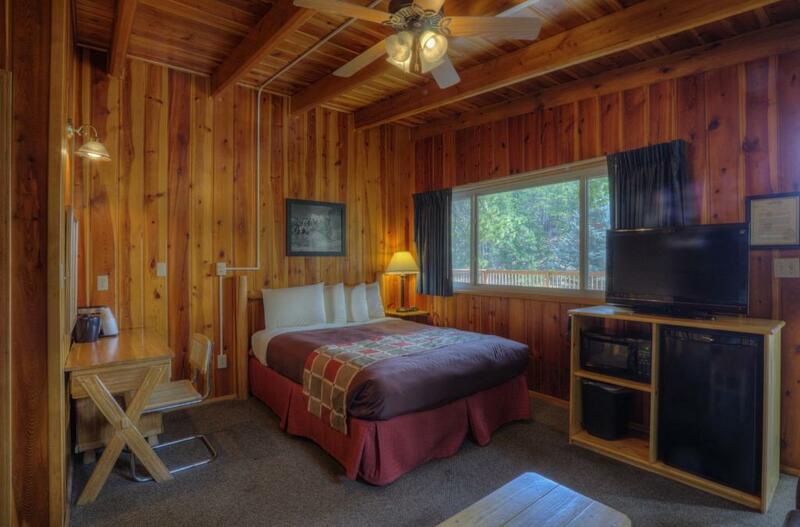 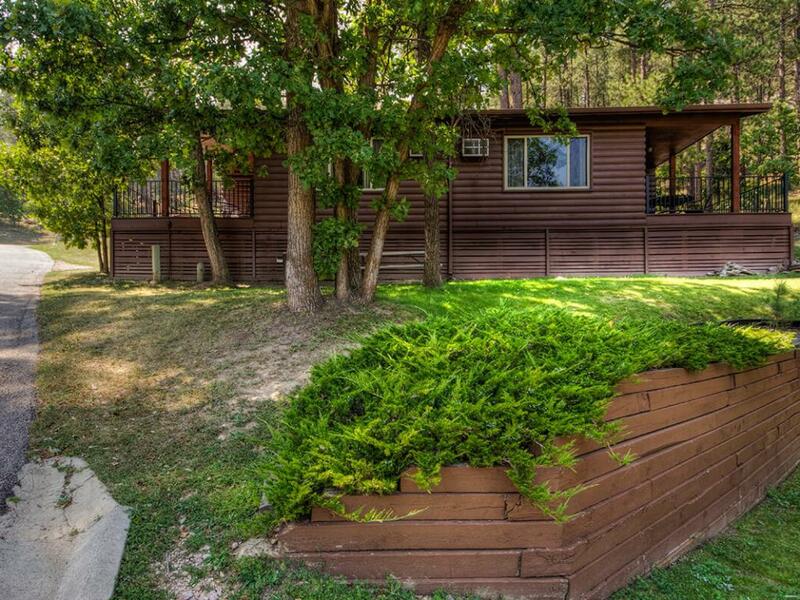 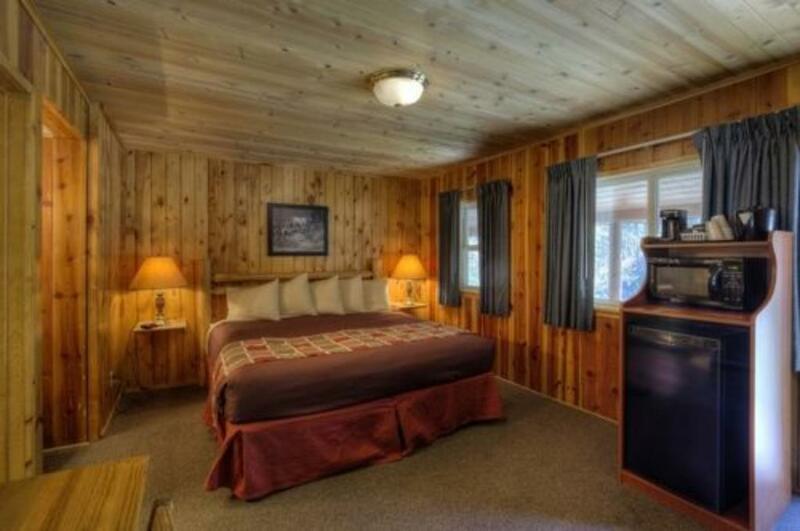 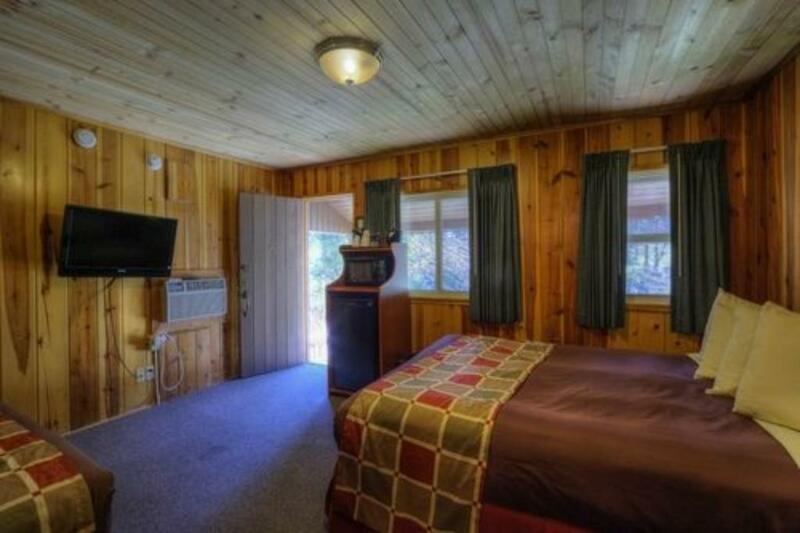 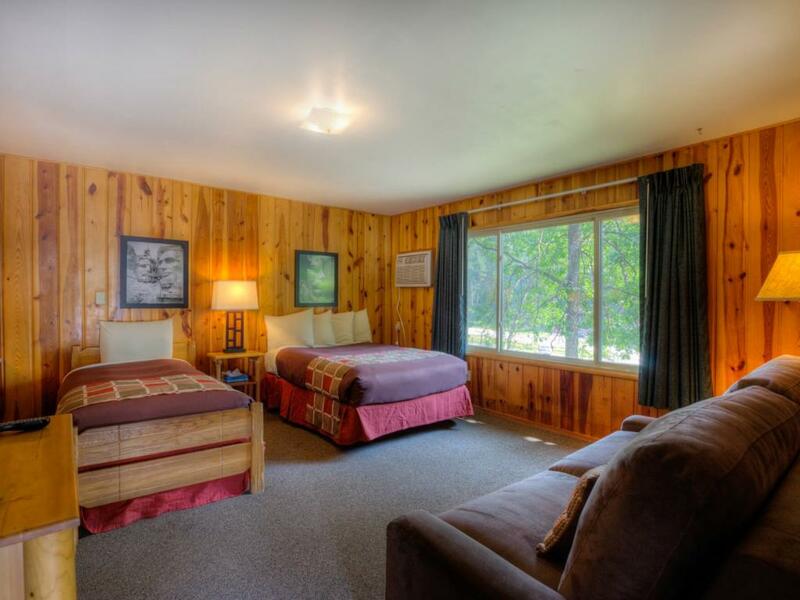 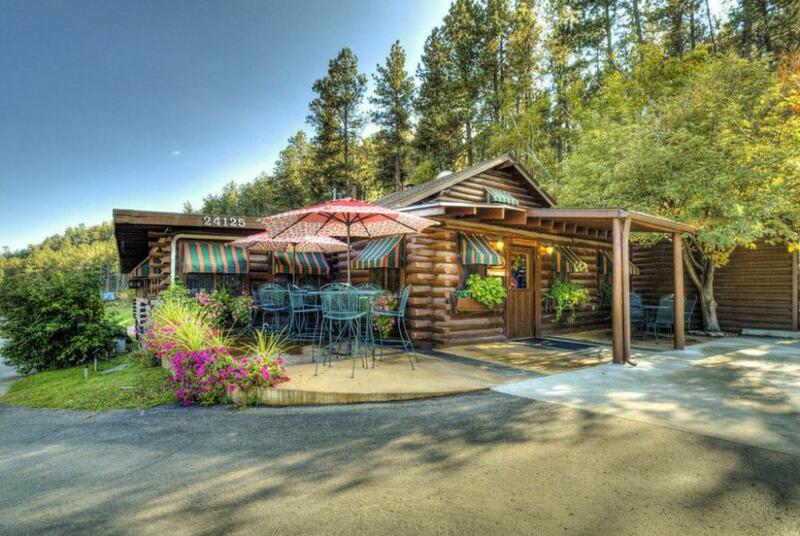 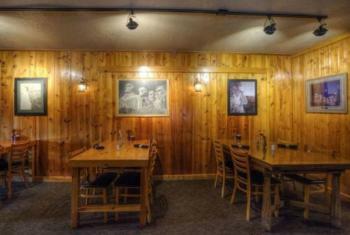 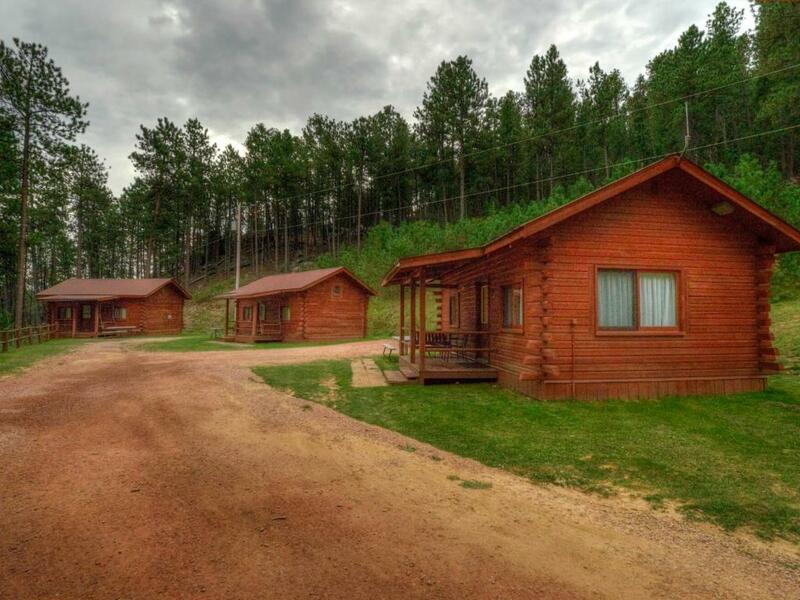 With an all-log exterior and knotty pine interior, our six-plex (six rooms in one building) isn’t your “typical” Black Hills motel room, that’s why we sometimes refer to it as a “Row Cabin.” Each room in our six-plex has a private entrance and a private bathroom. 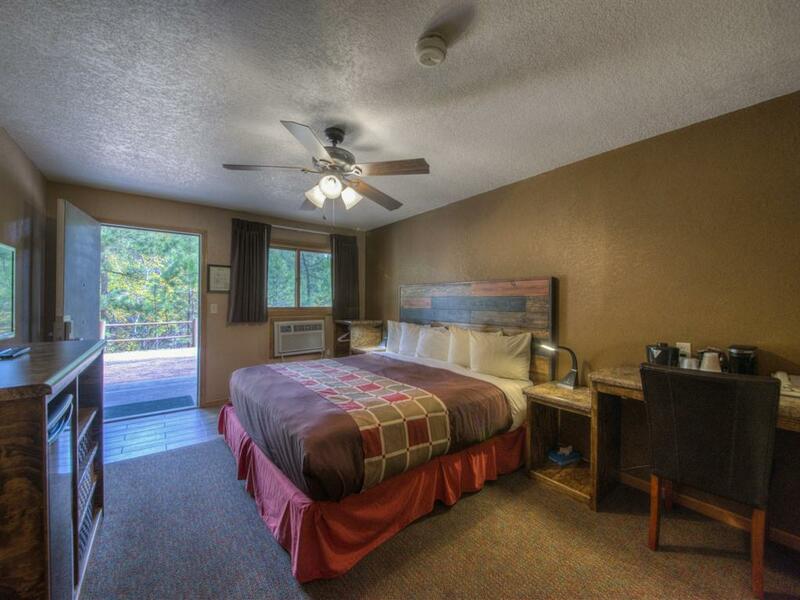 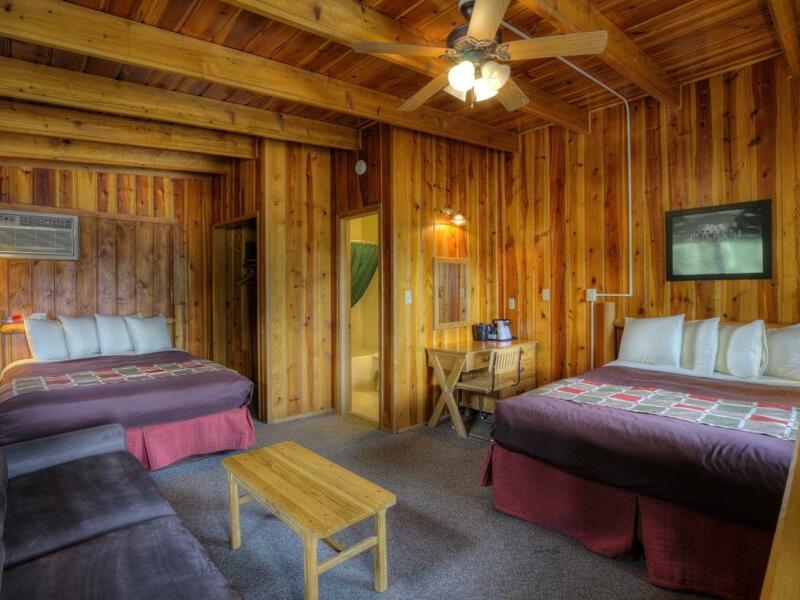 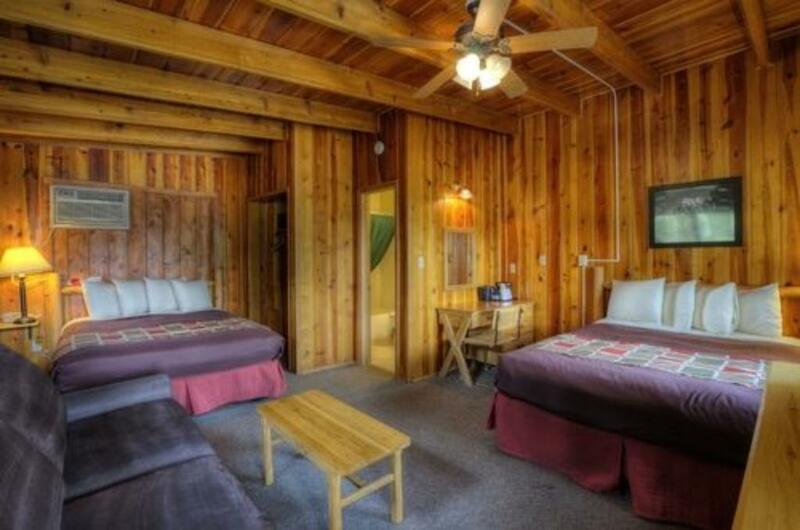 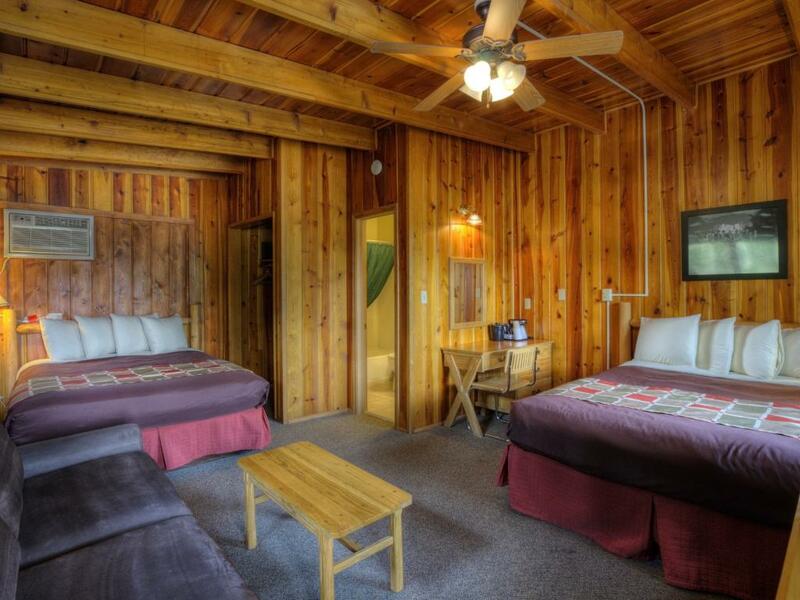 Inside features vaulted ceilings with high pine walls, two queen-sized beds and a queen size comfort sleeper to make your family lodging experience comfortable and enjoyable. 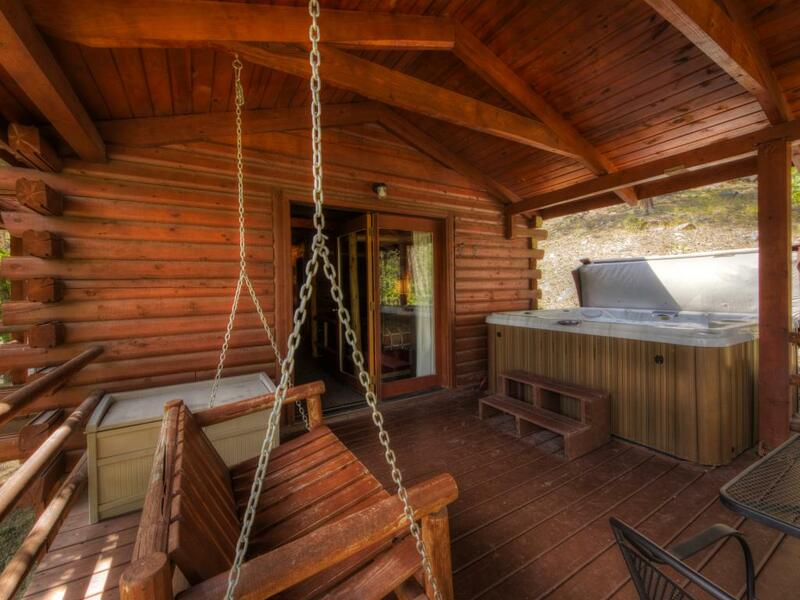 Outside on the patio you’ll find a welcoming gas fire pit to gather around and keep cozy once the sun sets. Tucked up into the hillside on the southern end of our property, we invite you to enjoy the modern convenience and plentiful amenities of our standard motel rooms. 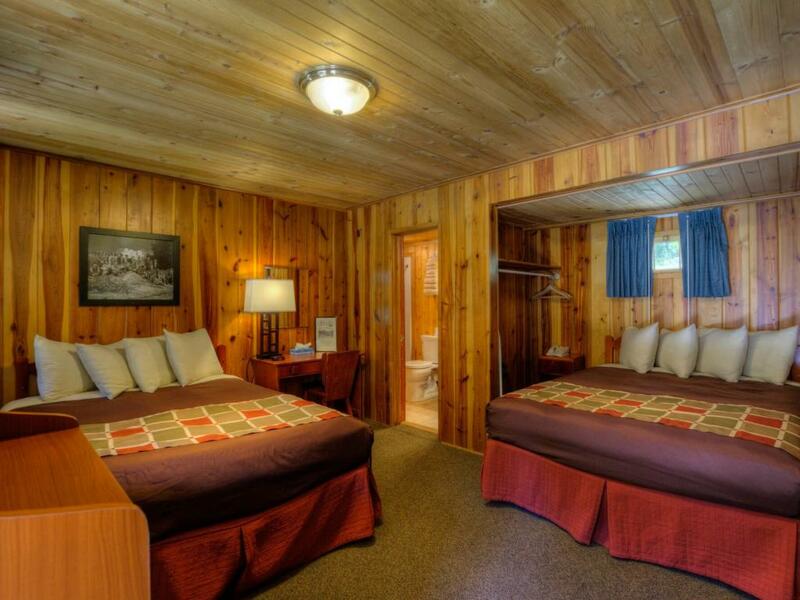 Our two-story motel features eight rooms that include all of our standard amenities, as well as a private bathroom with a tub/shower combo. Six of the motel rooms are furnished with two queen size beds, and the other two motel rooms are our ADA compliant and feature one king size bed. 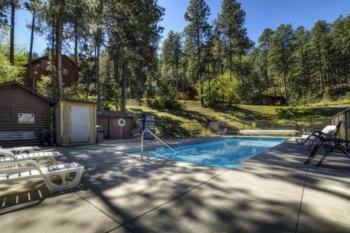 A duplex building, units 40 & 41 are located at the middle of the hill and sit just across from the swimming pool. 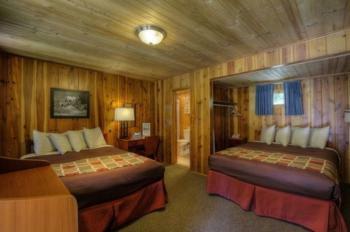 Each unit will sleep seven and consists of a separate bedroom with one king bed, as well as a living room with one full bed, one twin bed, and a queen-size comfort sleeper. 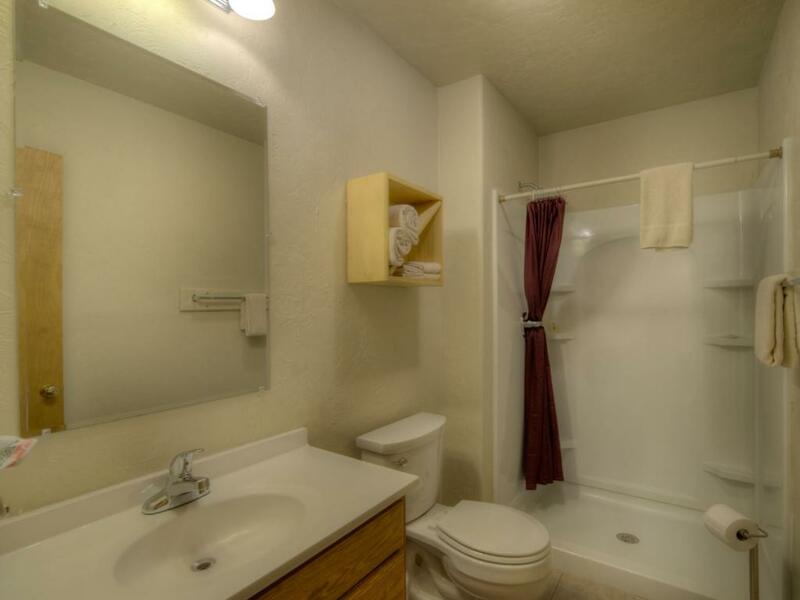 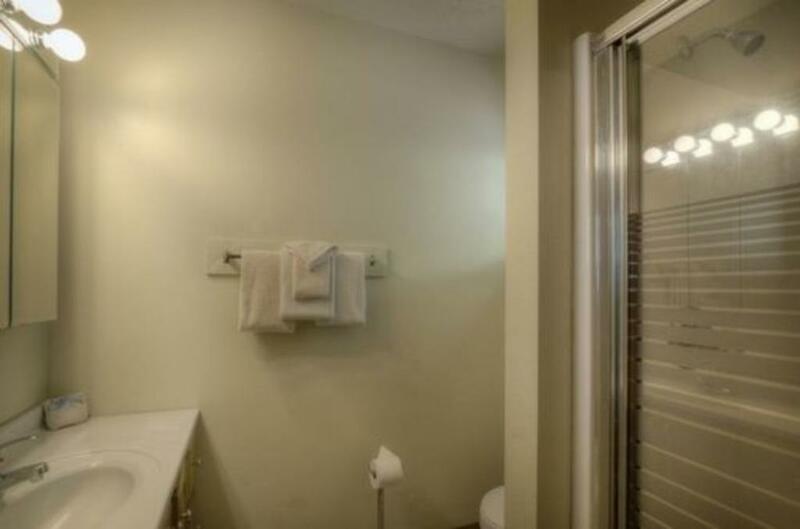 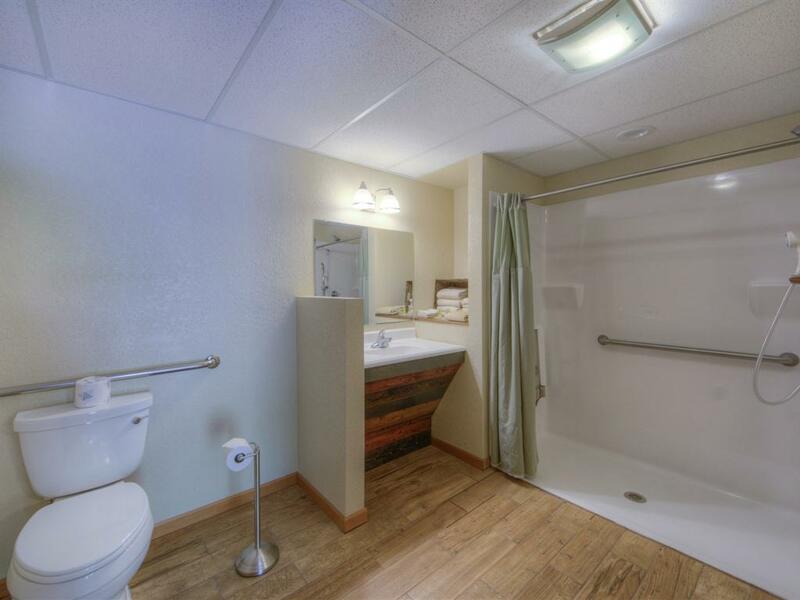 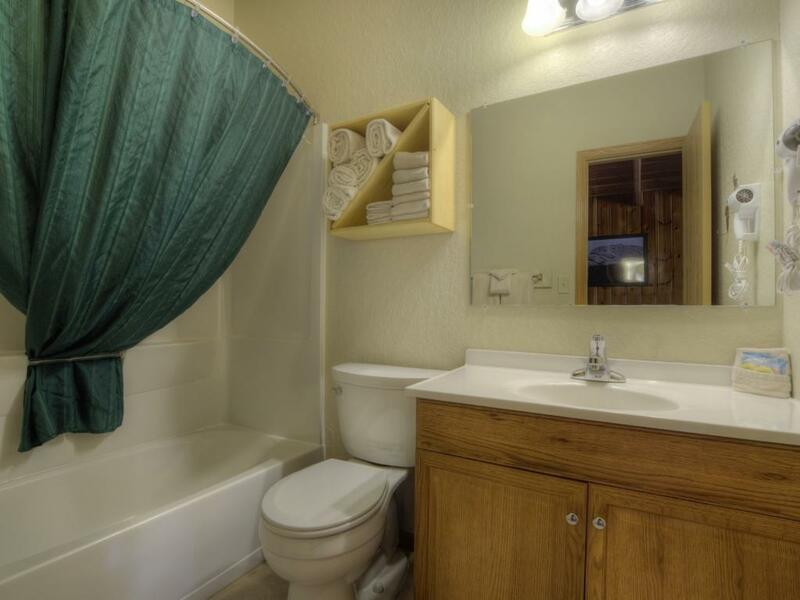 Located in our motel this is a fully Accessible ADA Room featuring one King Size bed and a roll-in shower in the updated bathroom, as well as all of our Standard Amenities. 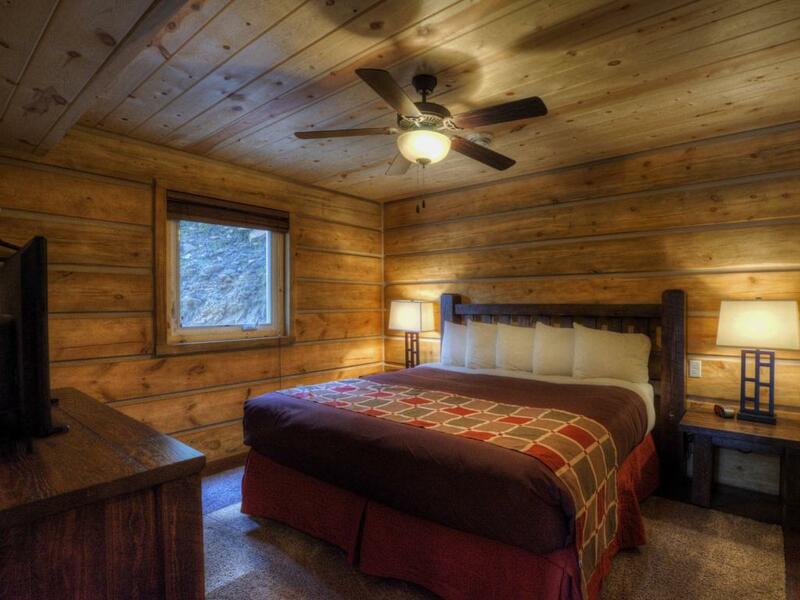 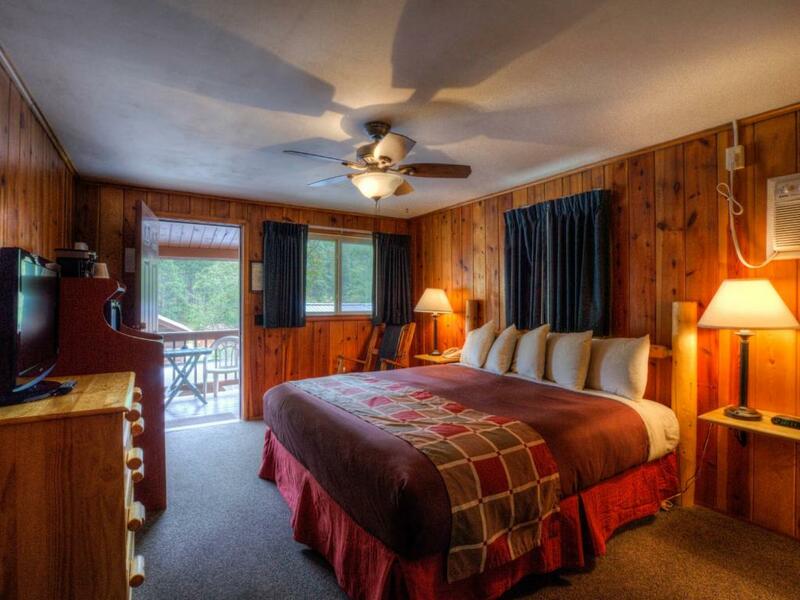 Located at the base of the hill, next to the restaurant Cabin #25 features one King Bed and a private bathroom with a full tub and shower. 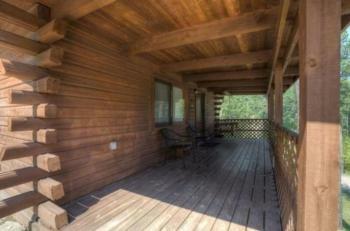 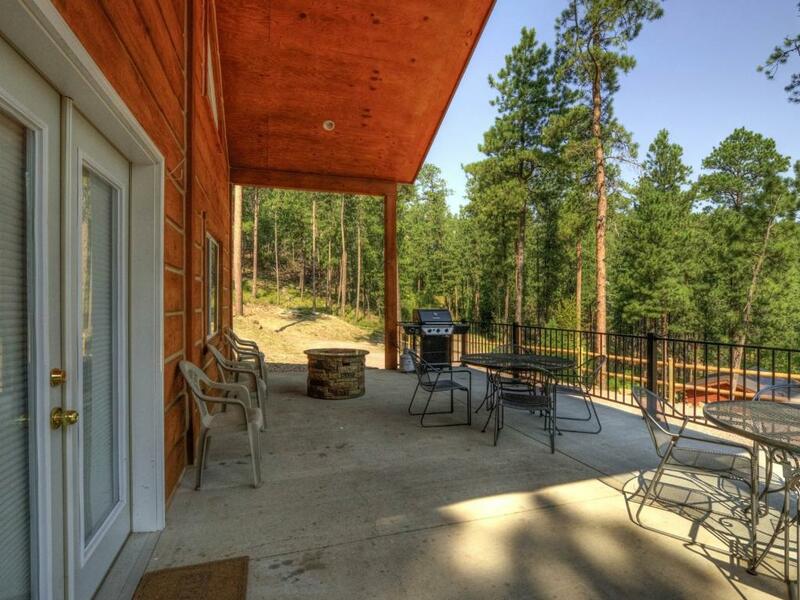 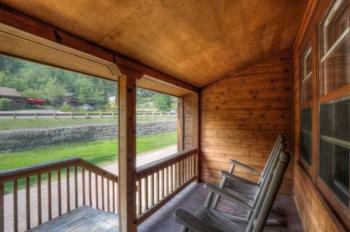 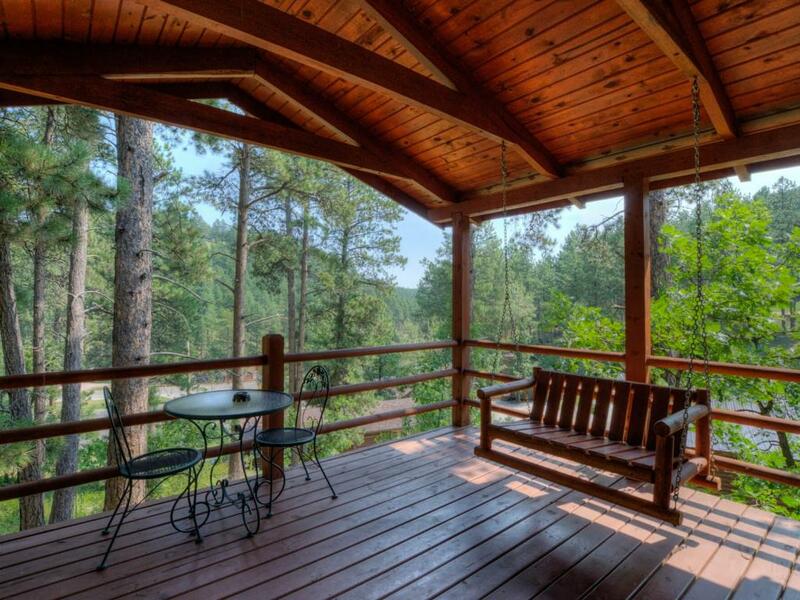 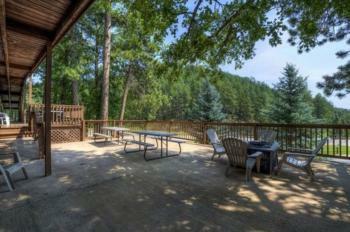 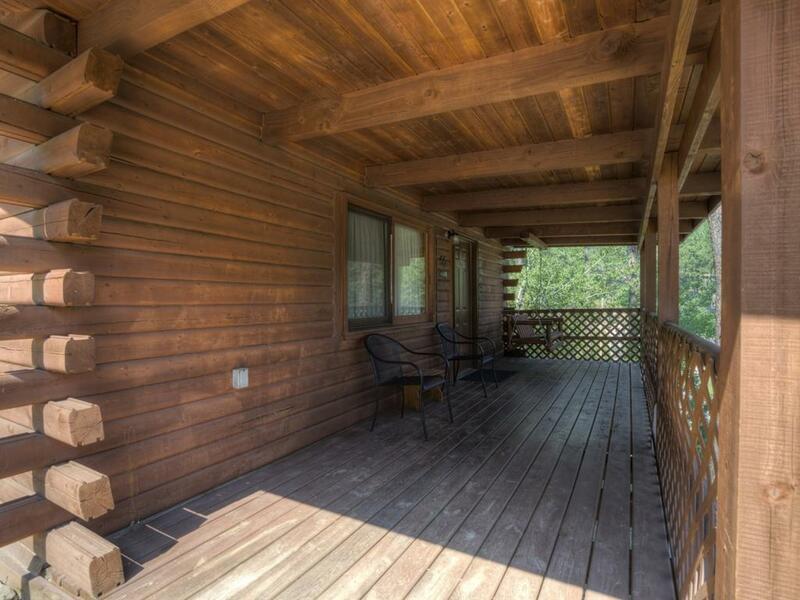 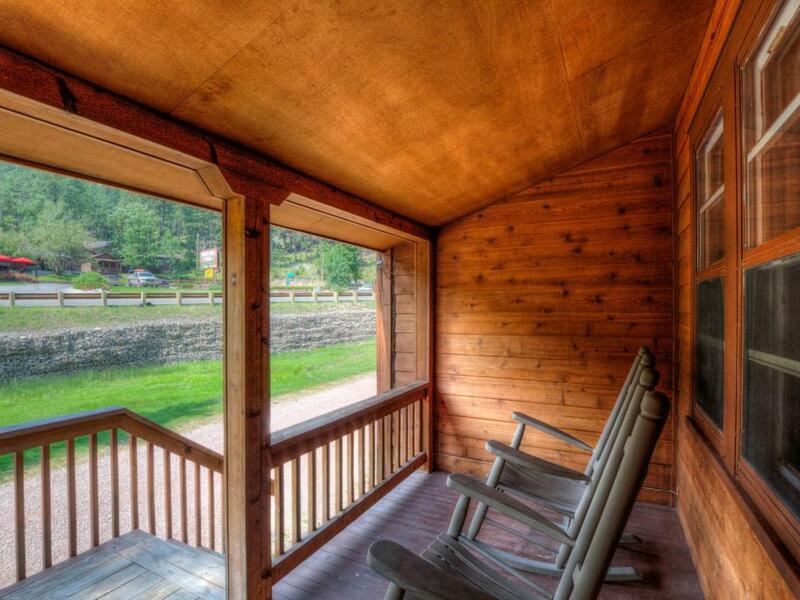 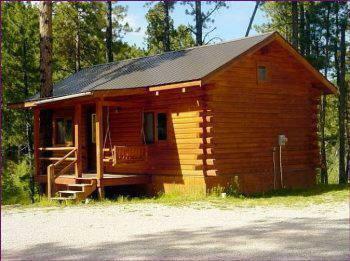 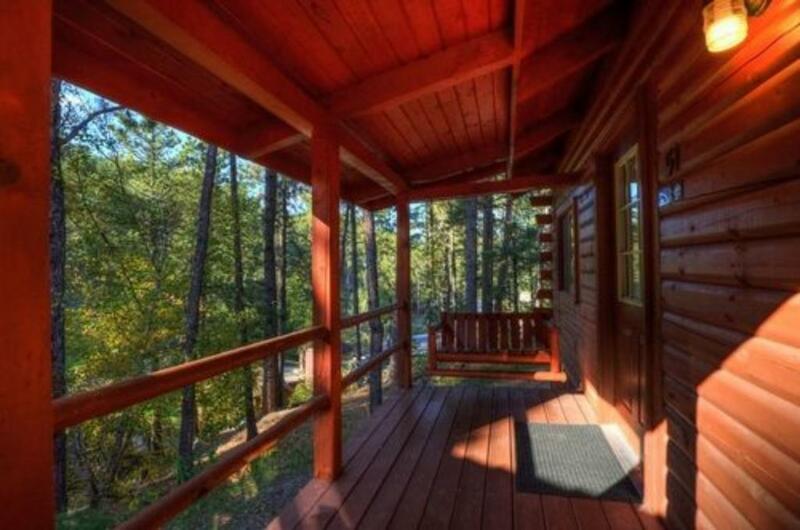 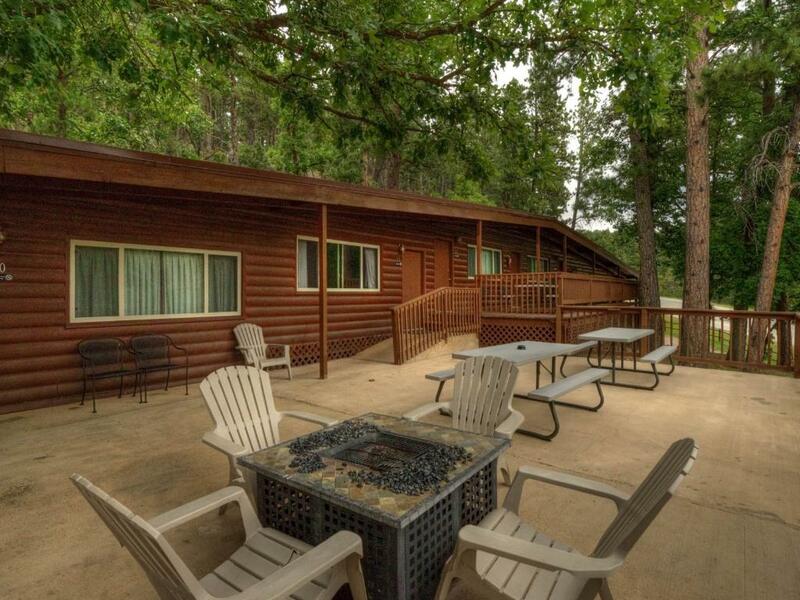 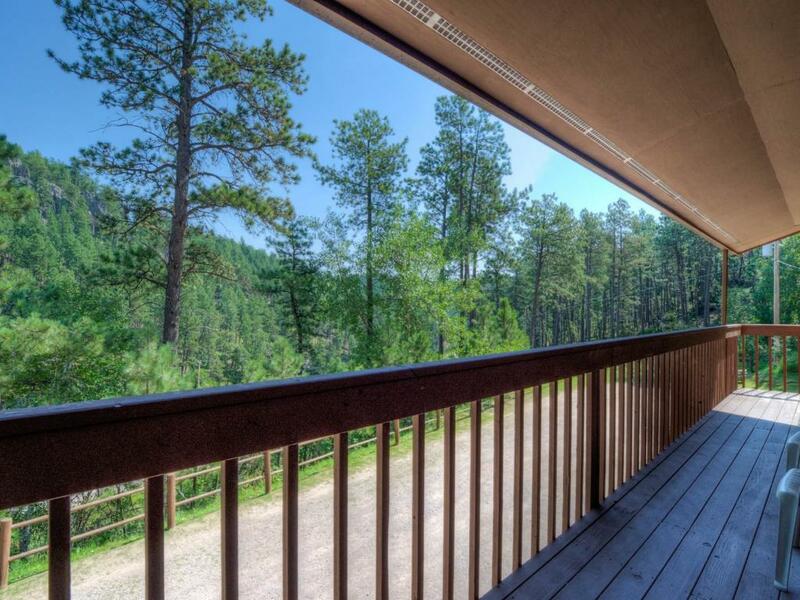 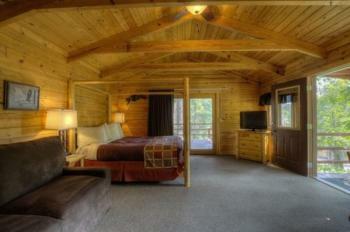 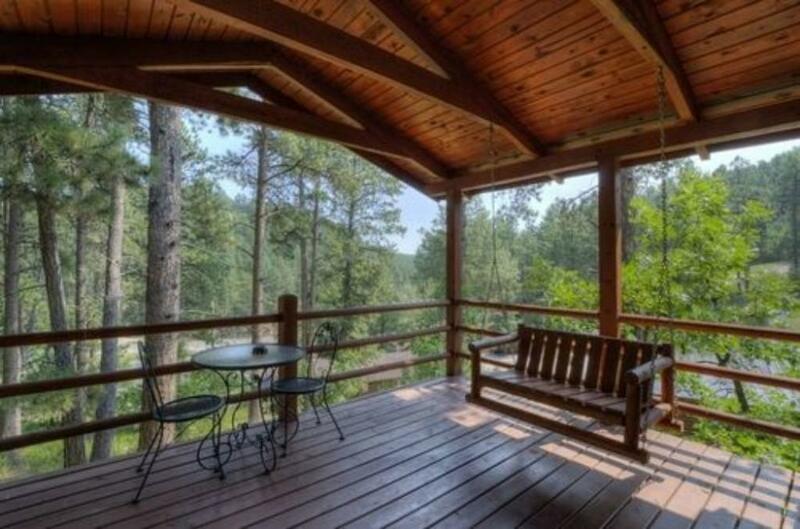 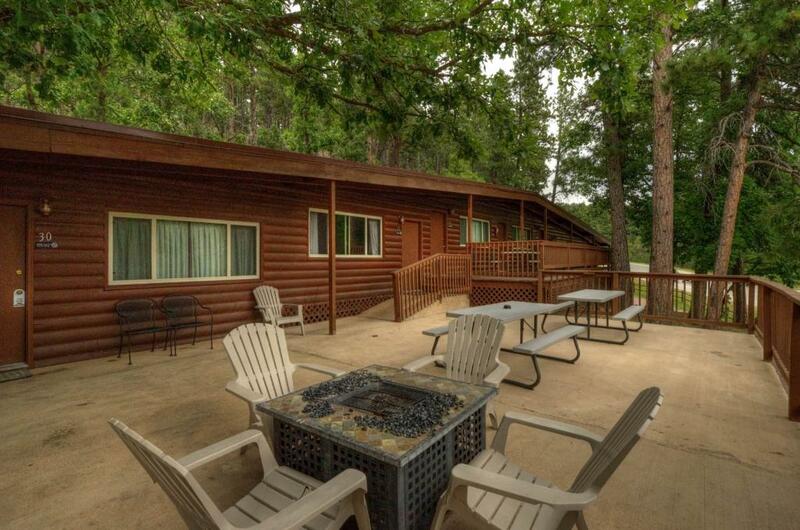 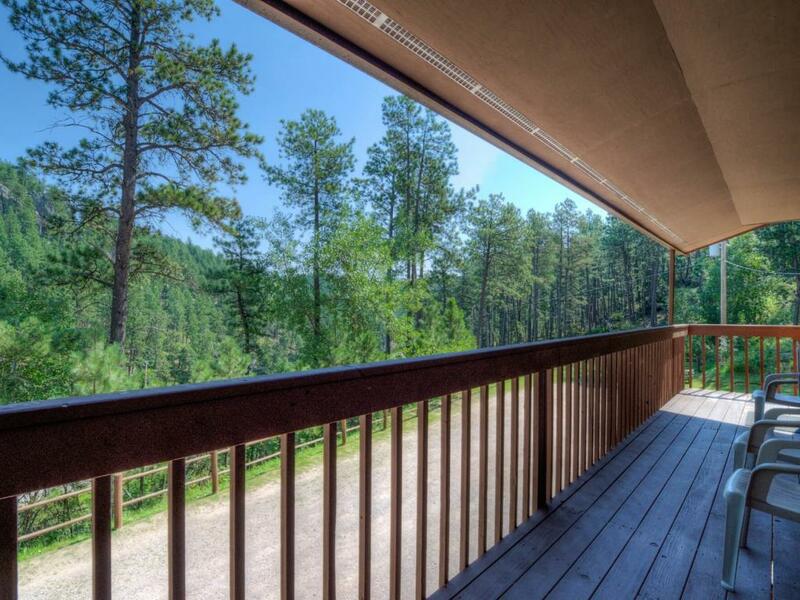 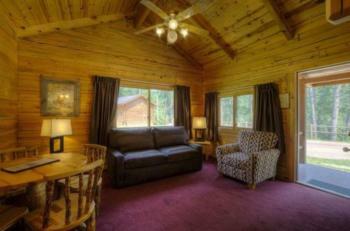 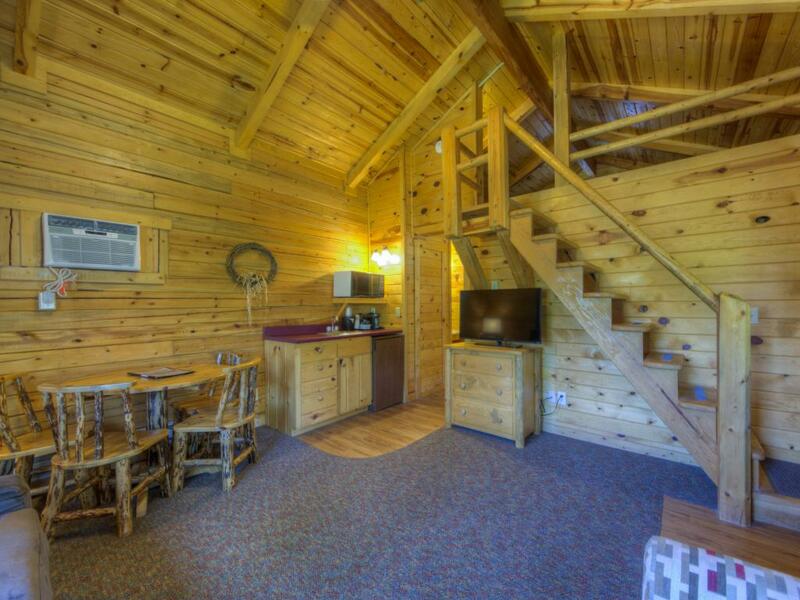 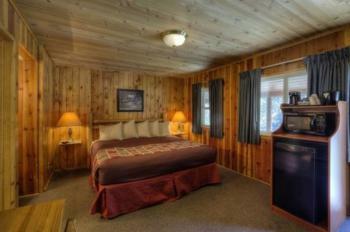 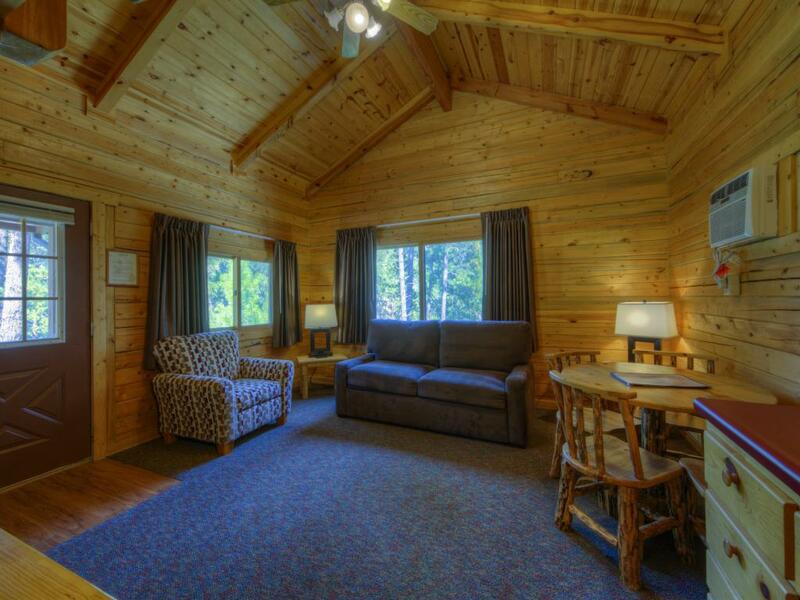 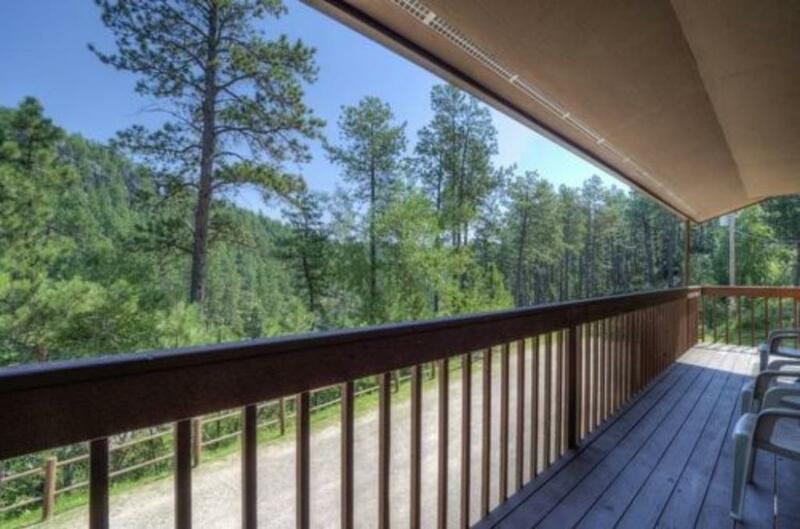 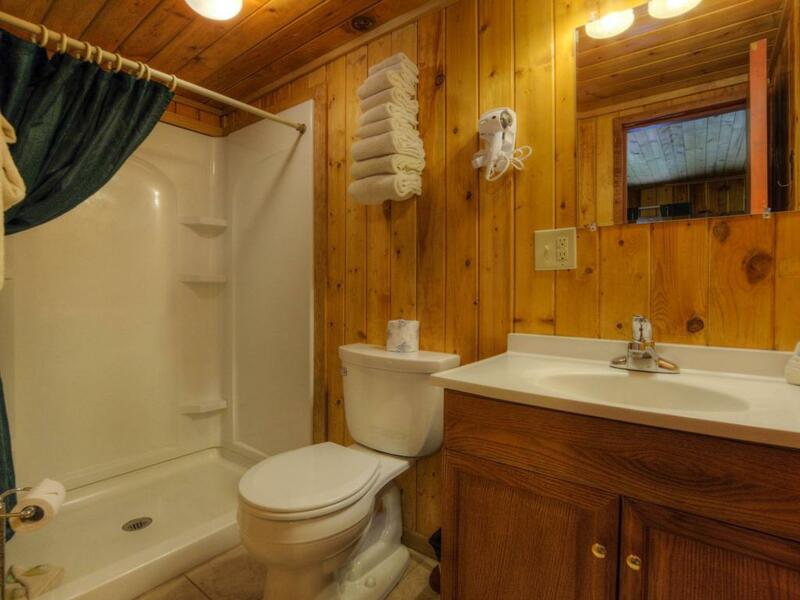 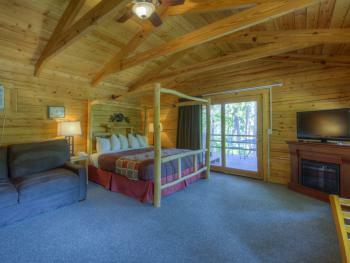 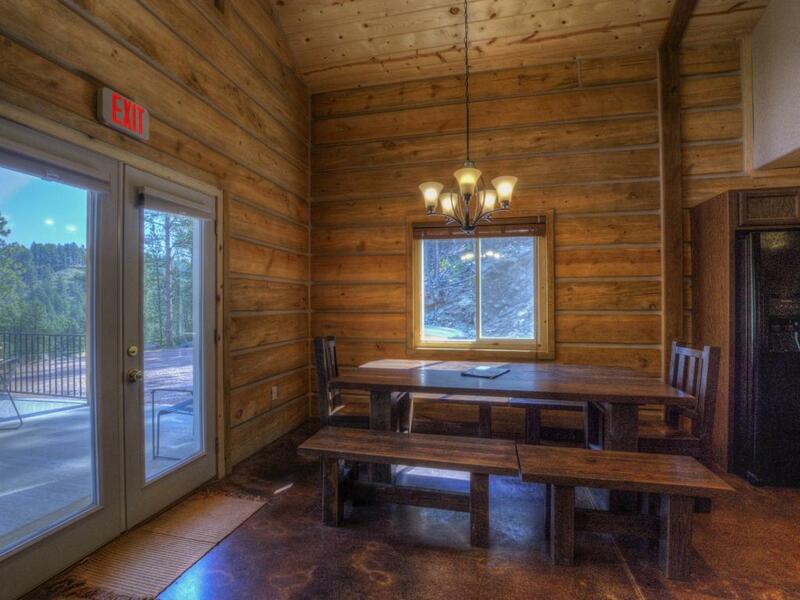 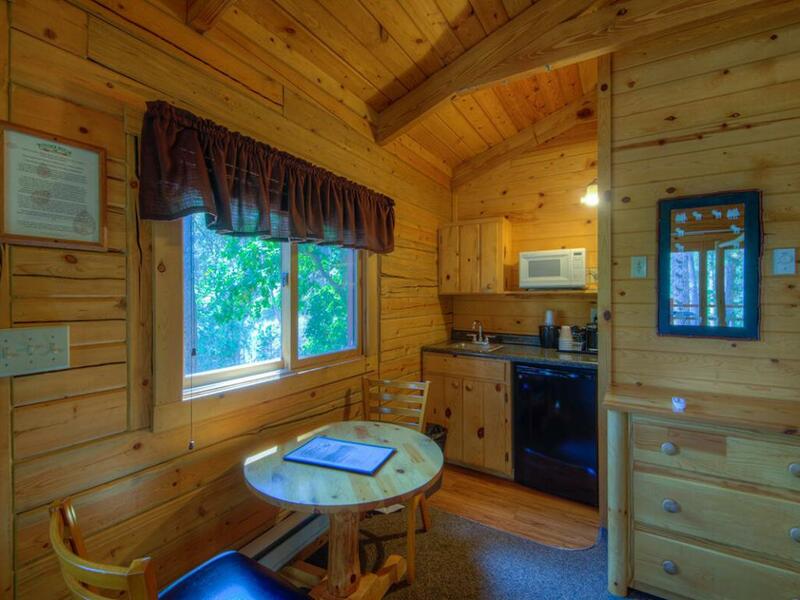 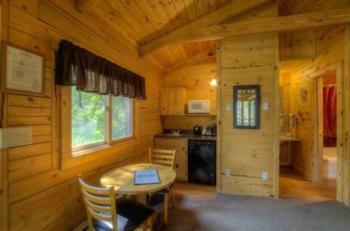 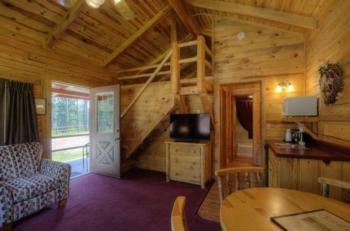 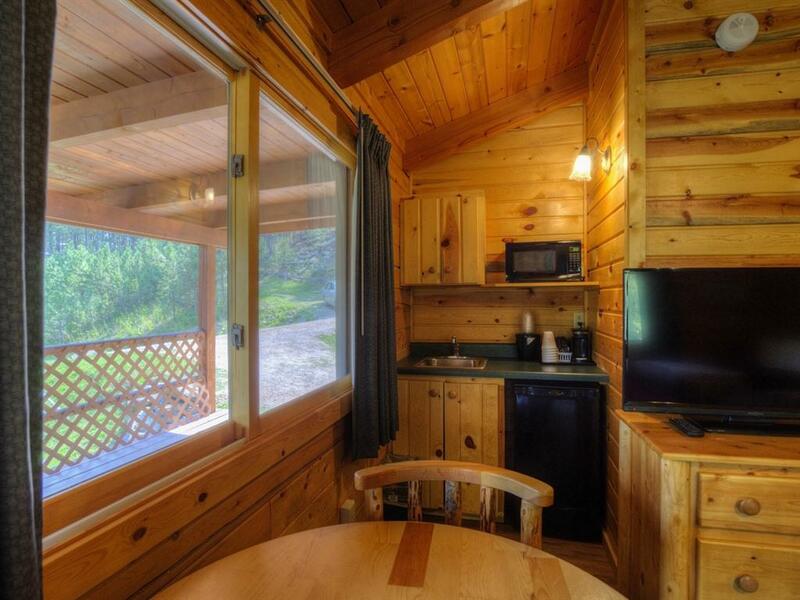 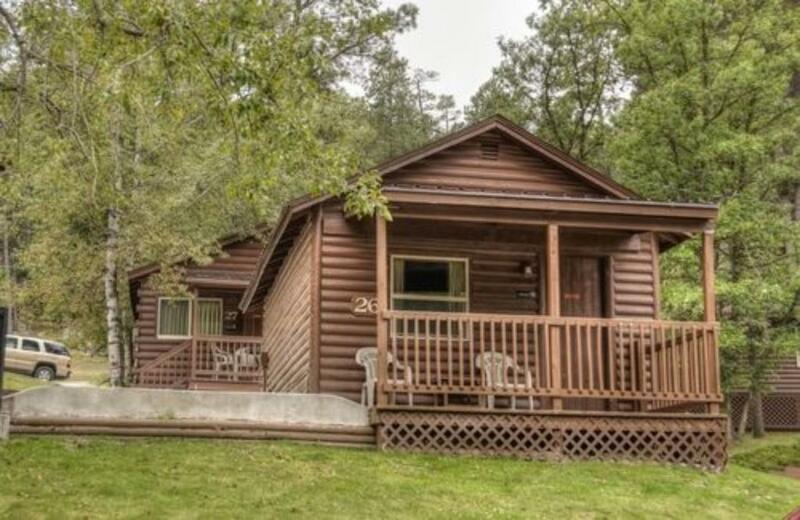 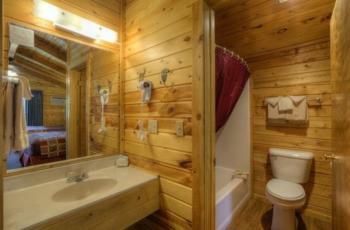 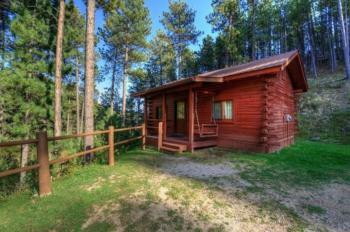 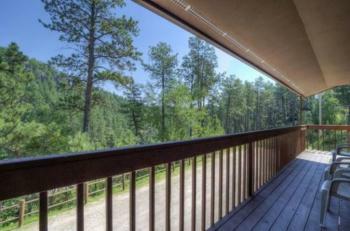 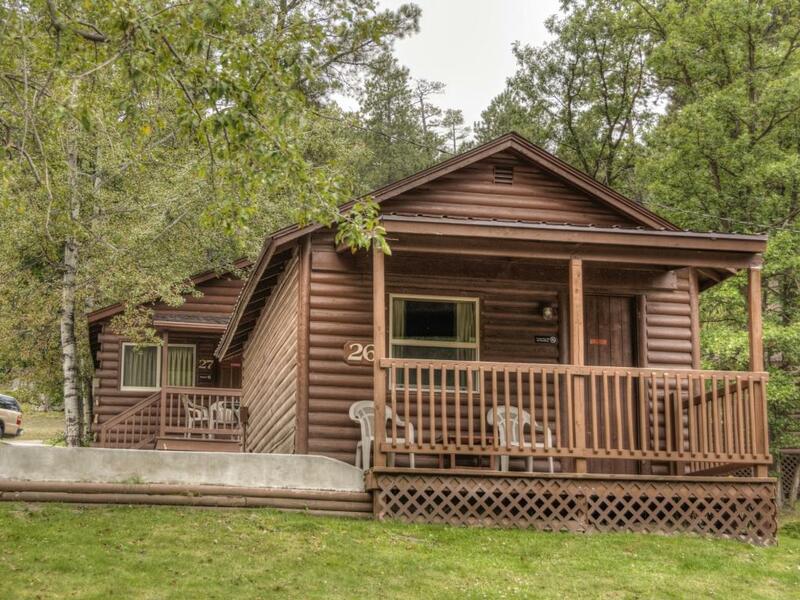 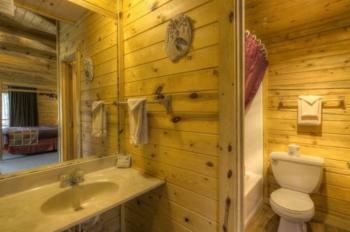 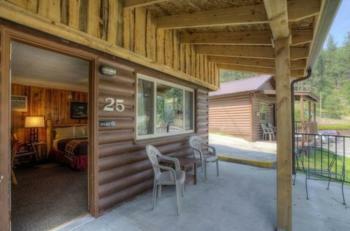 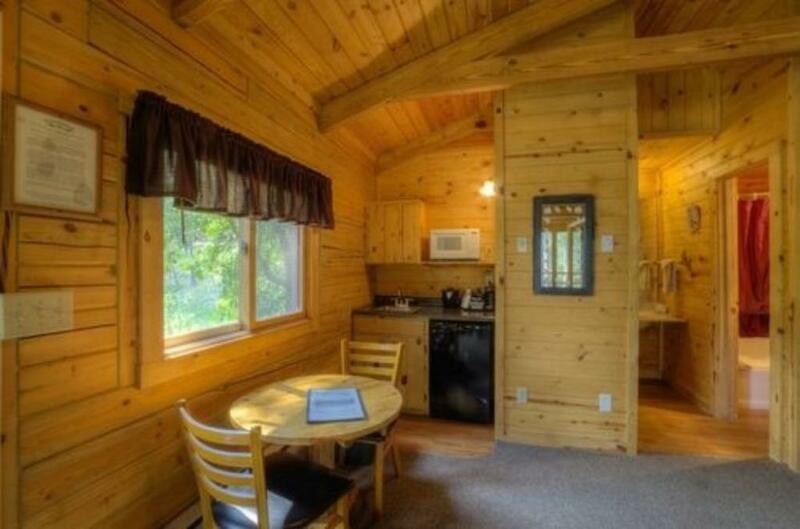 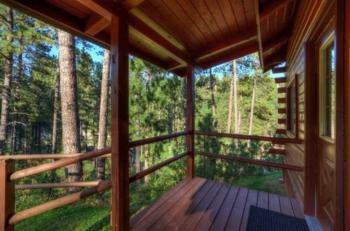 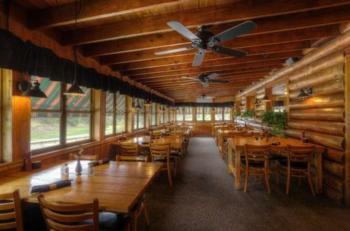 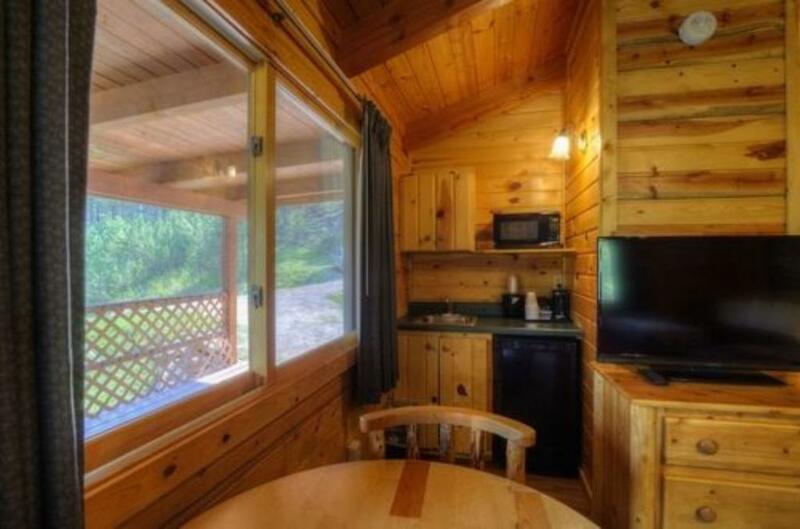 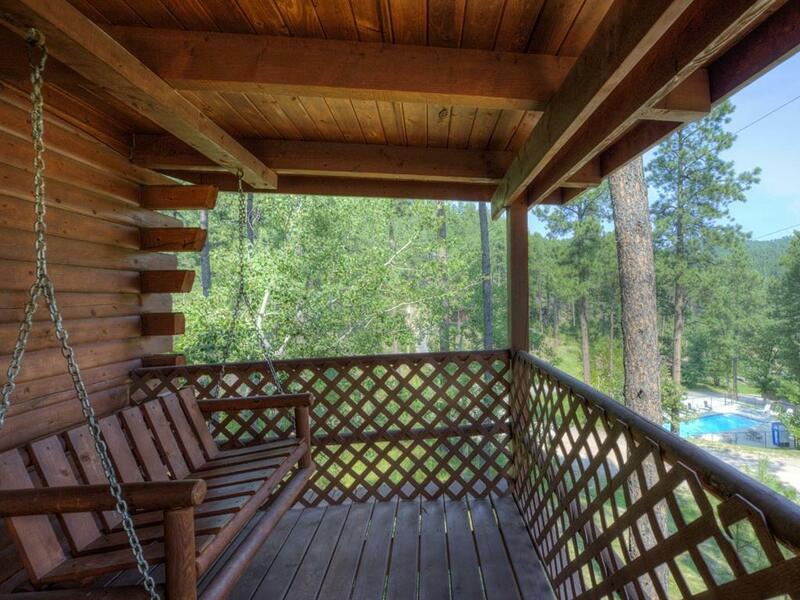 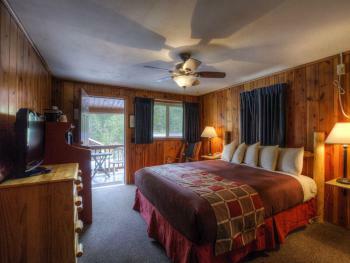 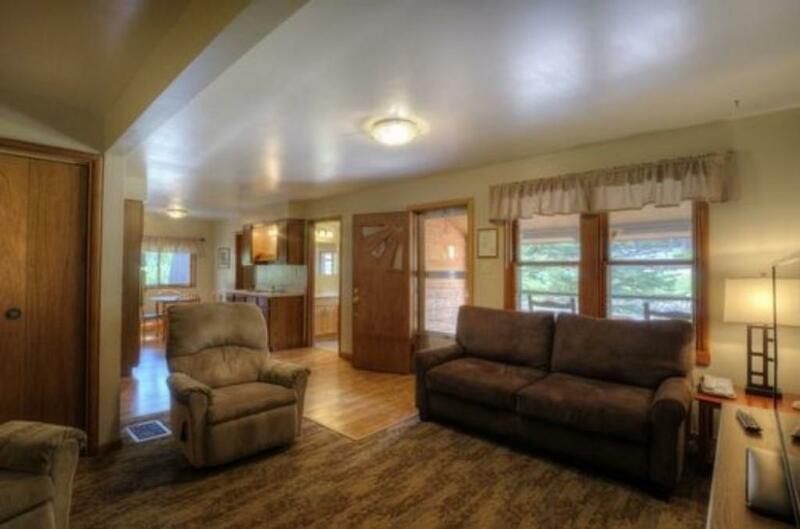 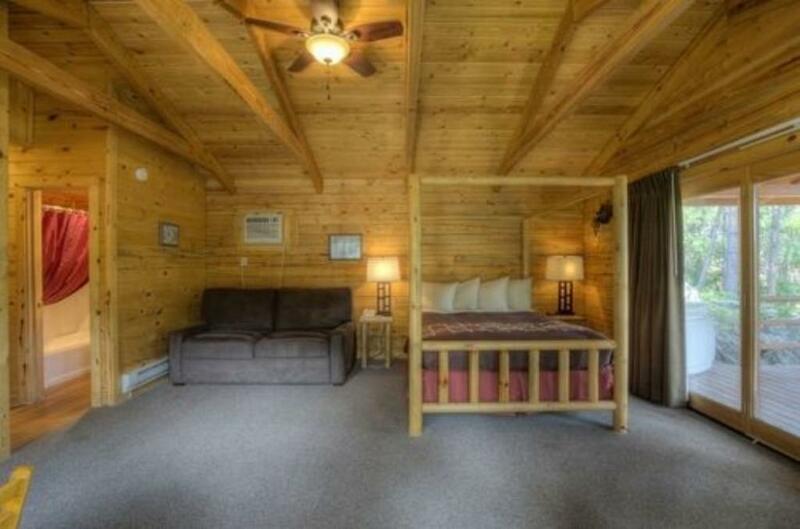 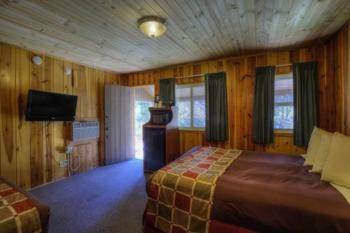 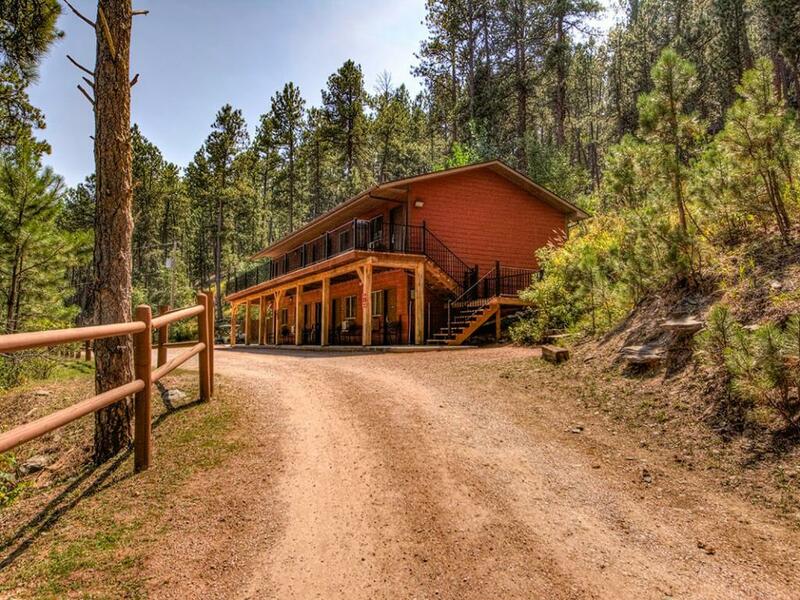 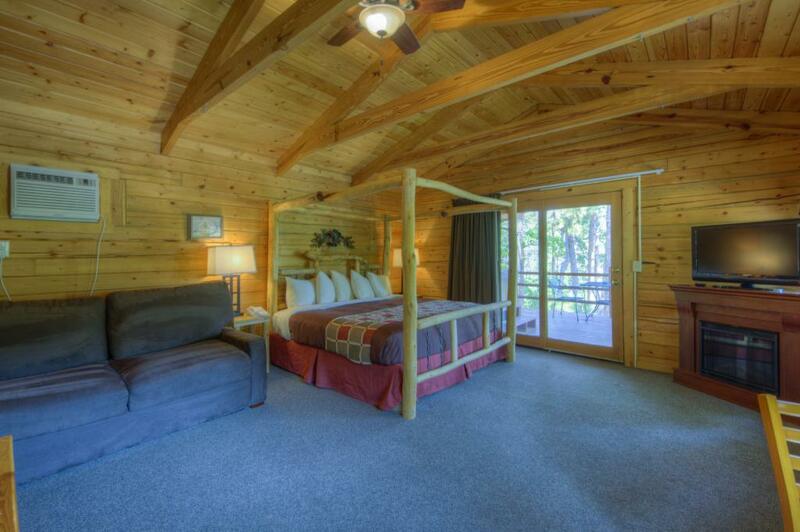 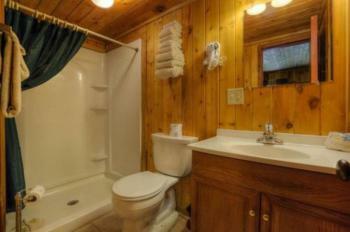 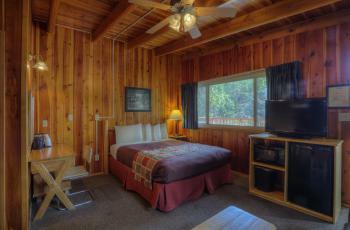 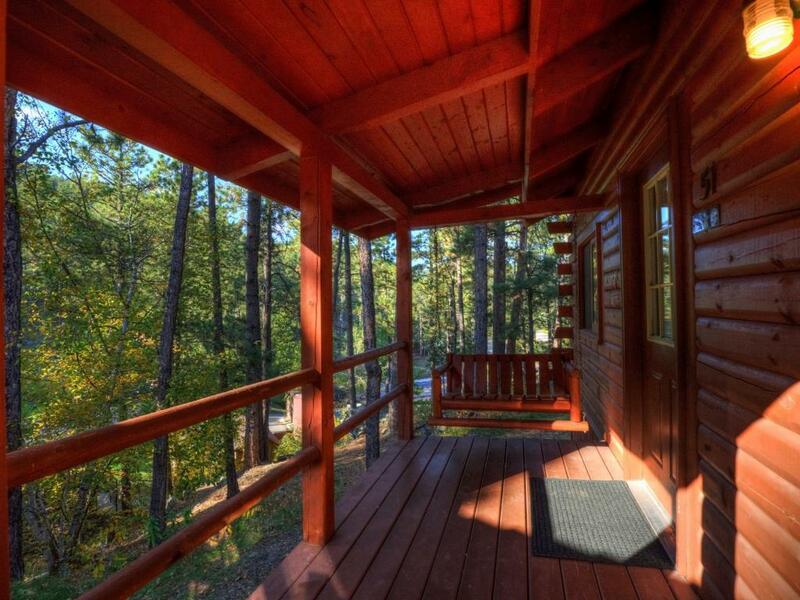 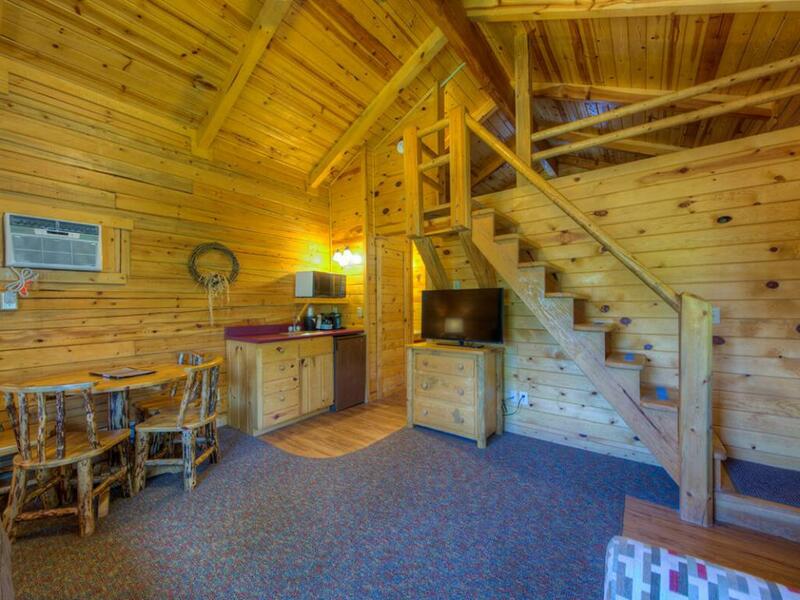 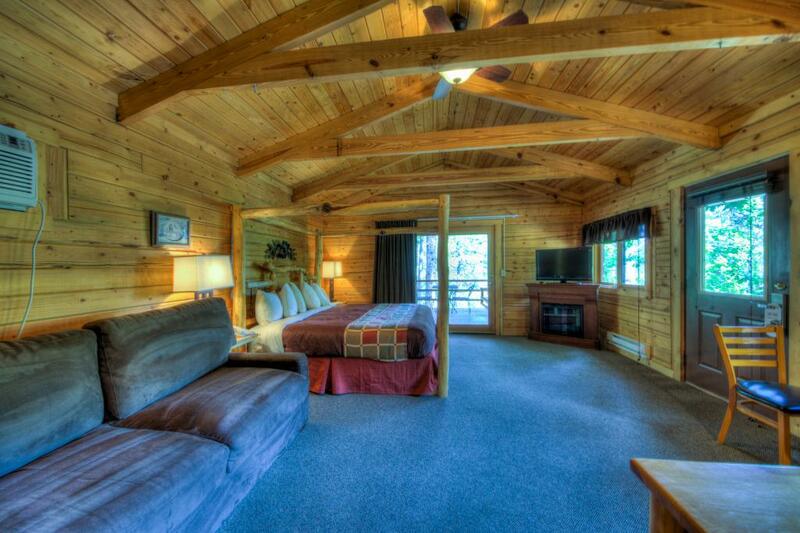 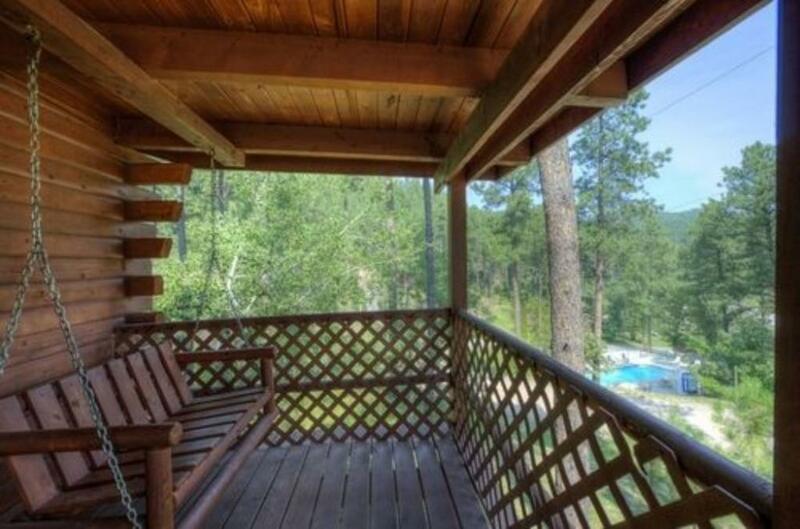 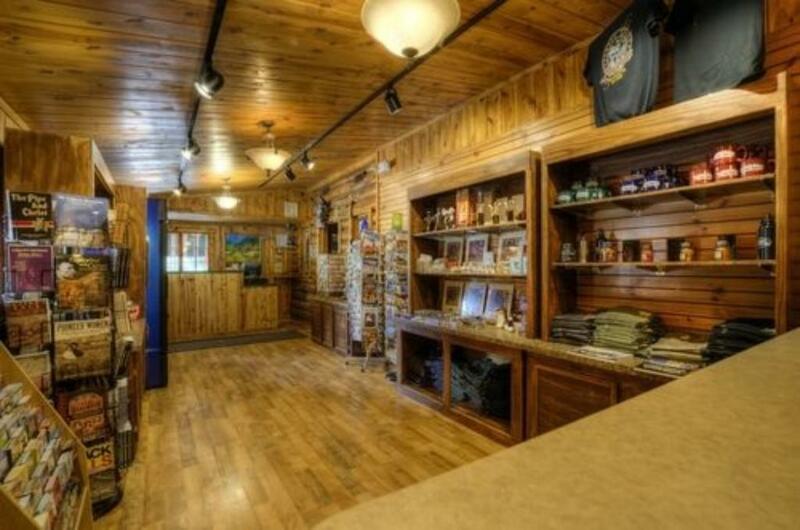 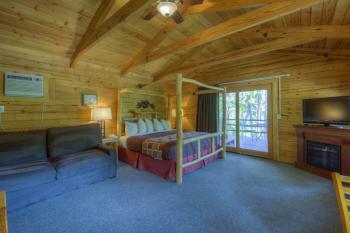 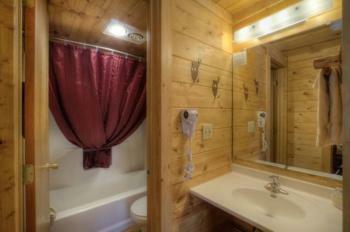 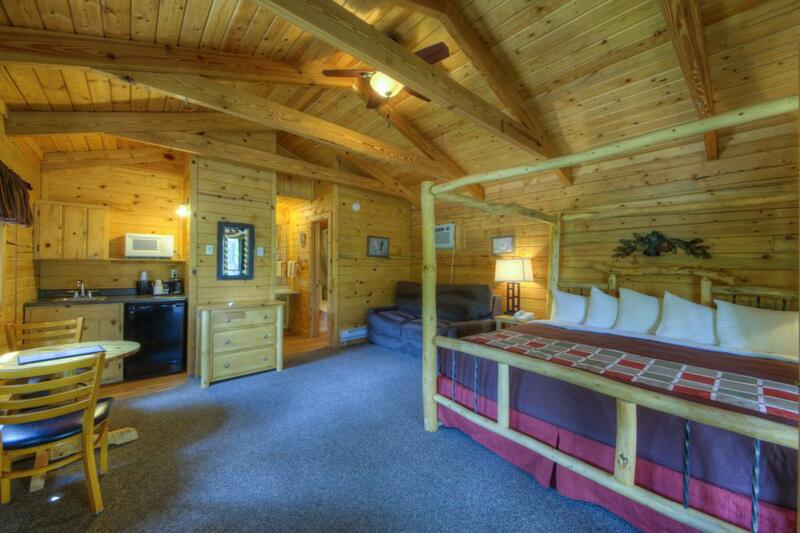 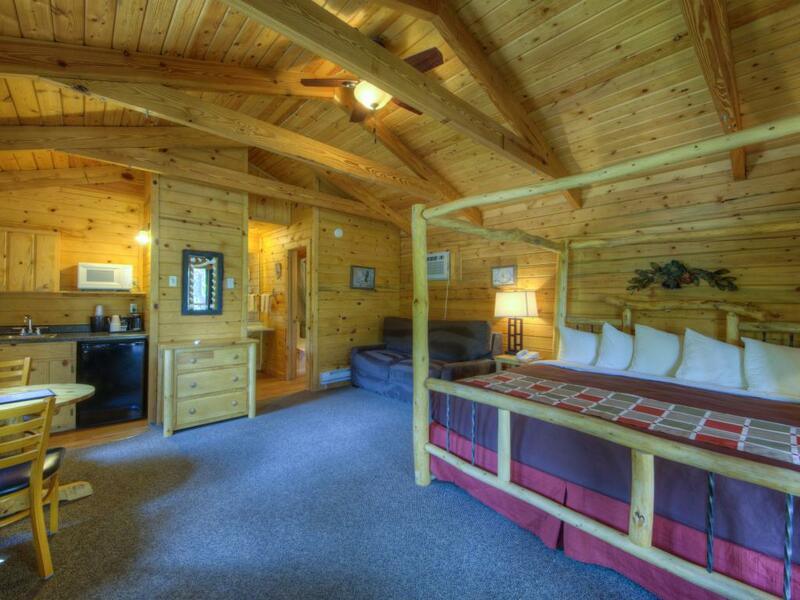 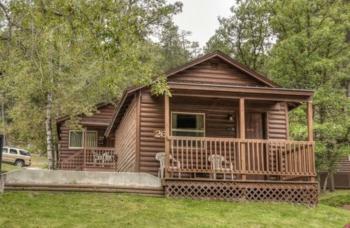 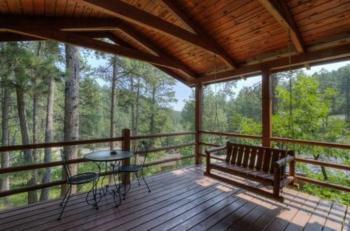 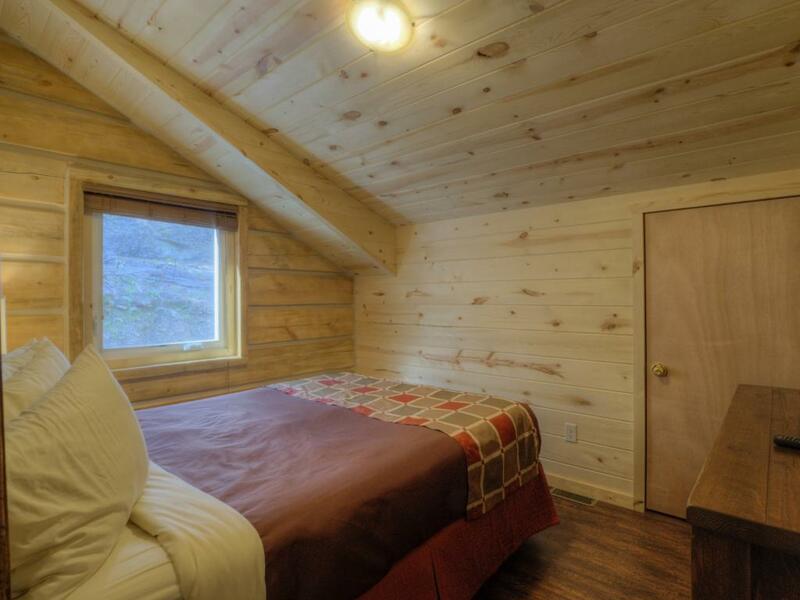 This cabin also features a nice big covered porch, as well as all of our standard amenities. Located at the base of the hill, next to the restaurant Cabin #26 features one King Bed and a private bathroom with a shower stall only. 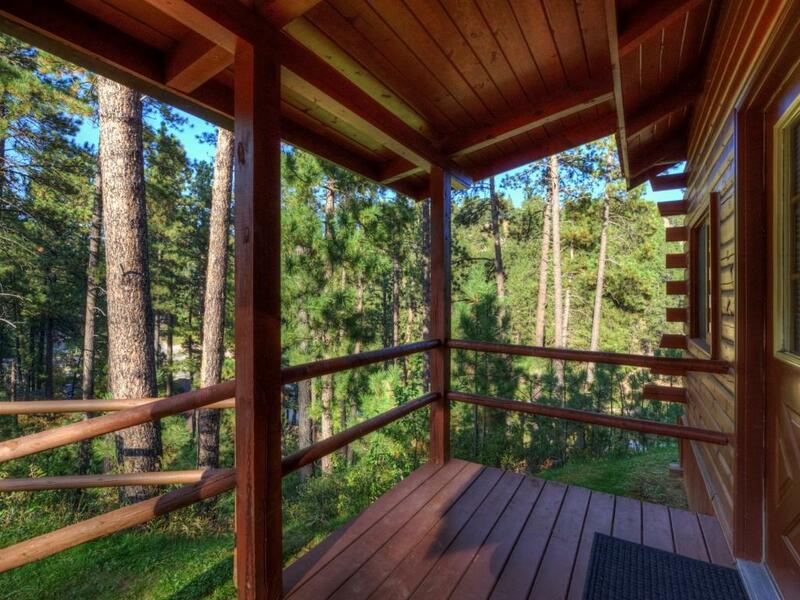 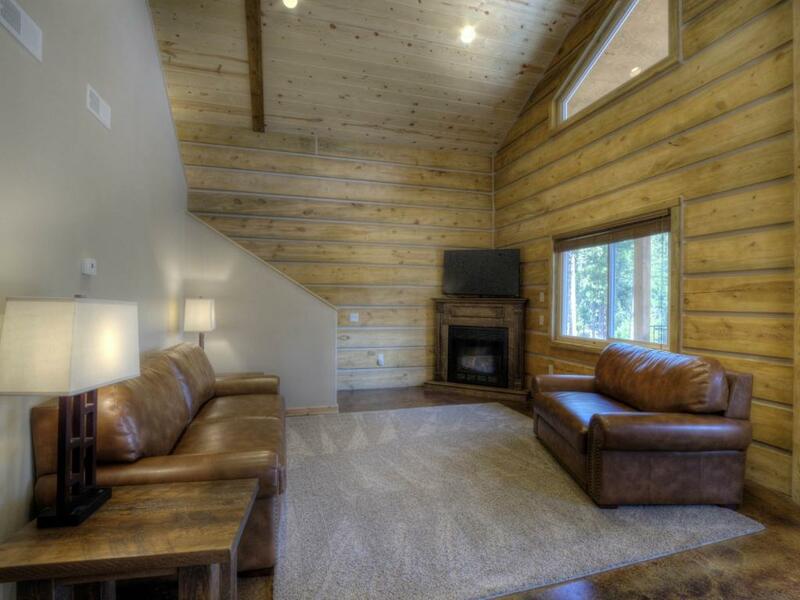 This cabin also features a nice covered porch, as well as all of our standard amenities. 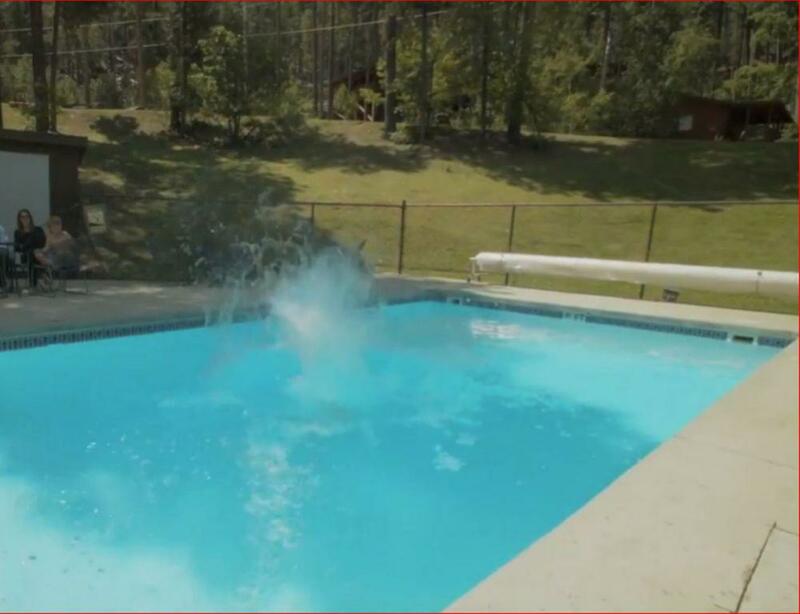 Located just below the pool cabins 27 & 28 each feature one king size bed and a full tub/shower in the private bathrooms, as well as all of our standard amenities. 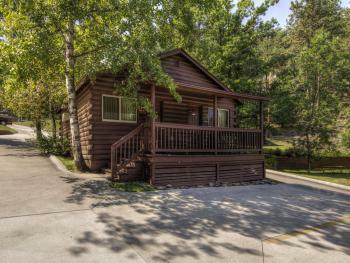 These units are perfect for couples travelling with each other as it has a nice covered porch that both units share, but allows each couple to return to their own room in the evening. 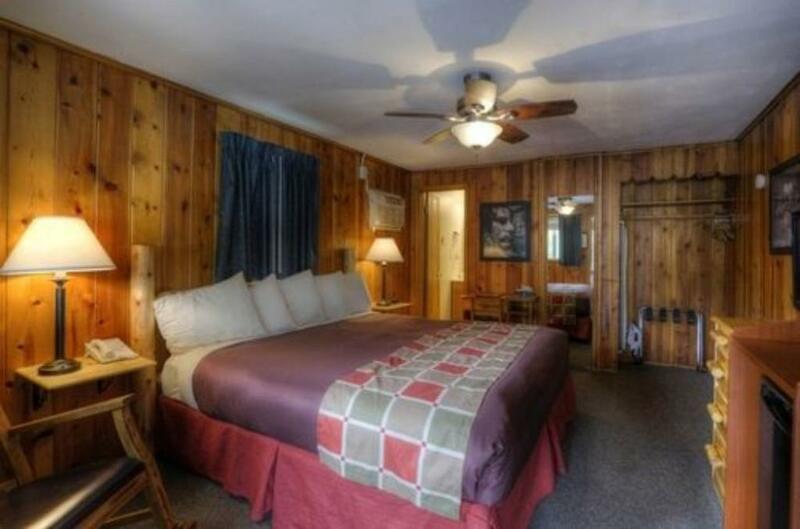 With an all-log exterior and knotty pine interior, our six-plex (six rooms in one building) isn’t your “typical” Black Hills motel room, that’s why we sometimes refer to it as a “Row Cabin.” Each room in our six-plex has vaulted ceilings with high pine walls and features two queen-sized beds and a queen size comfort sleeper to make your family lodging experience comfortable and enjoyable. 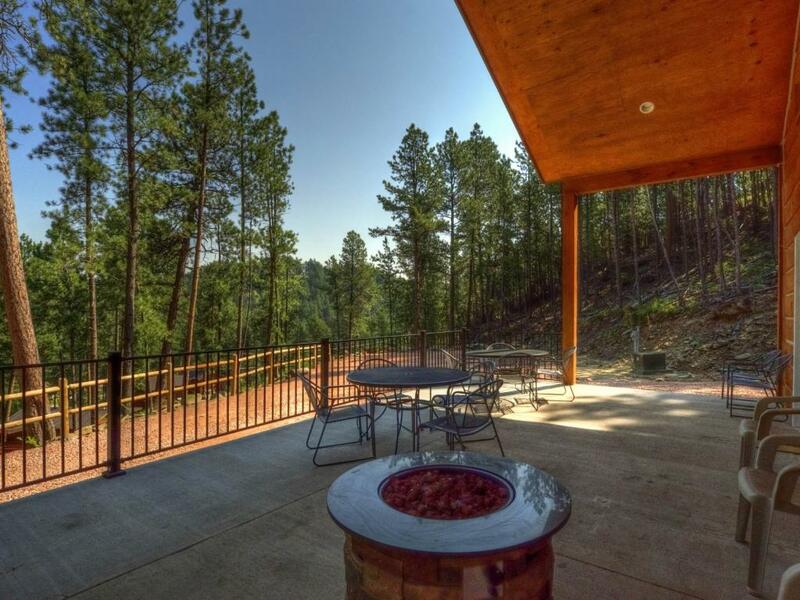 Outside on the patio you’ll find a welcoming gas fire pit to gather around and keep cozy once the sun sets. 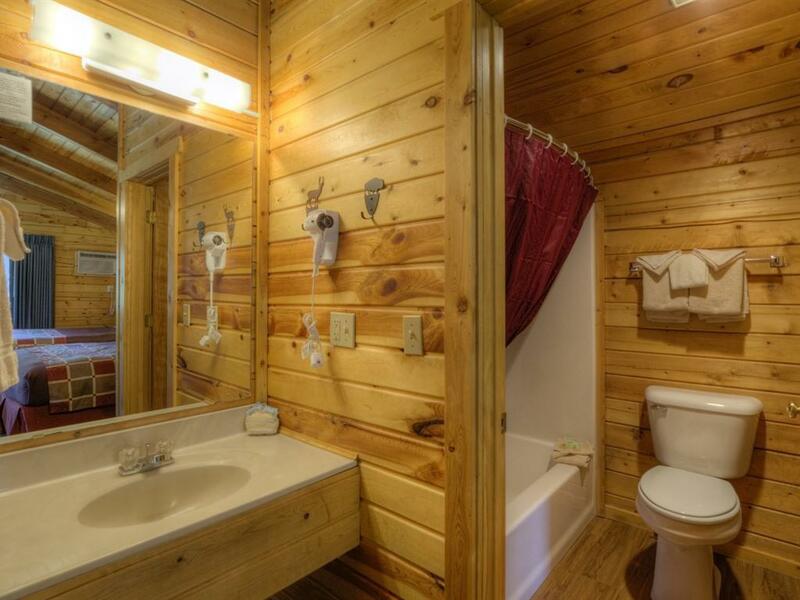 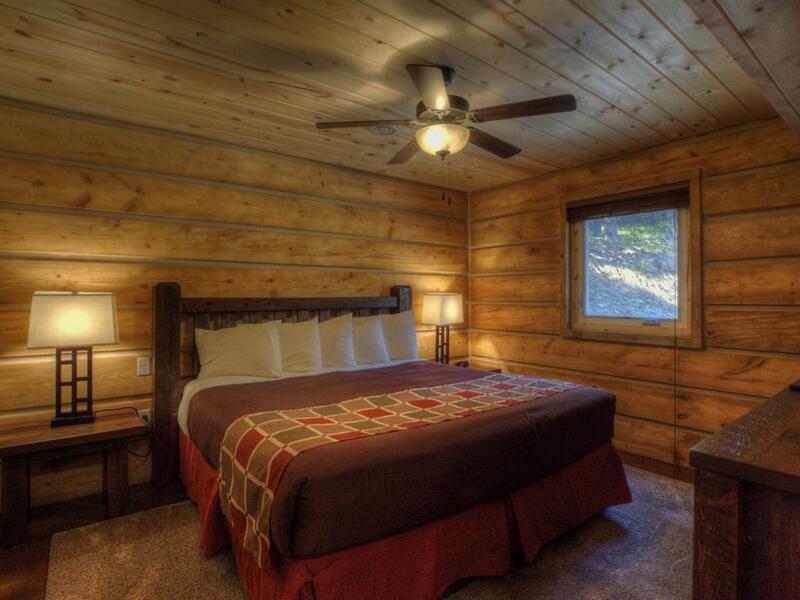 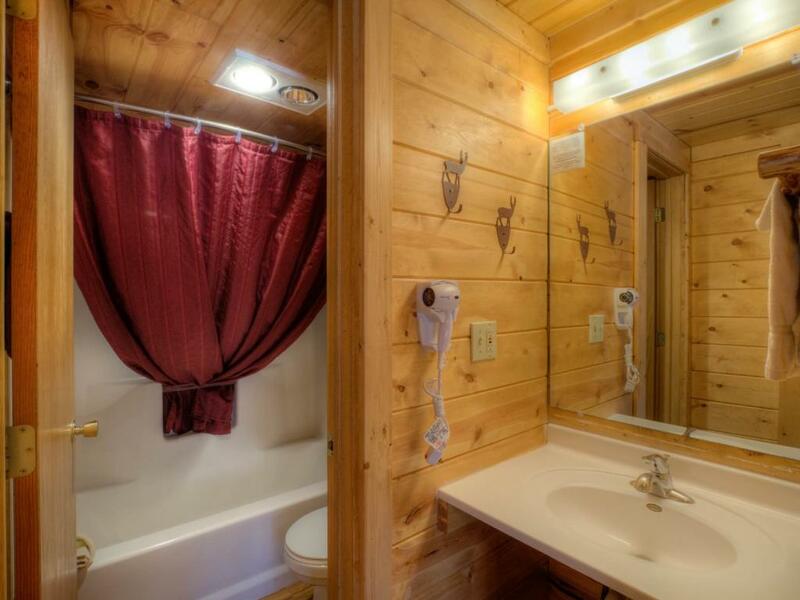 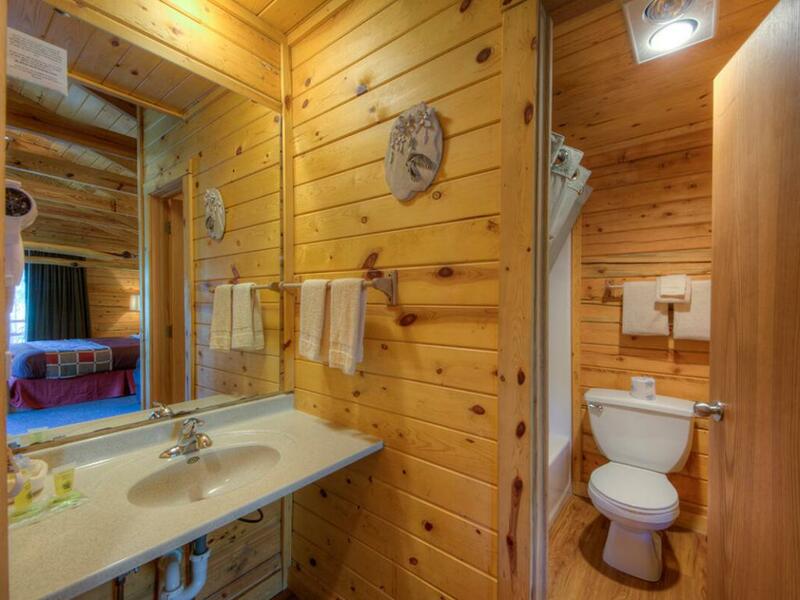 Located just above the pool at the middle of the hill cabin #43 features one king size bed, a private bathroom with a shower stall only, and our full line of standard amenities. 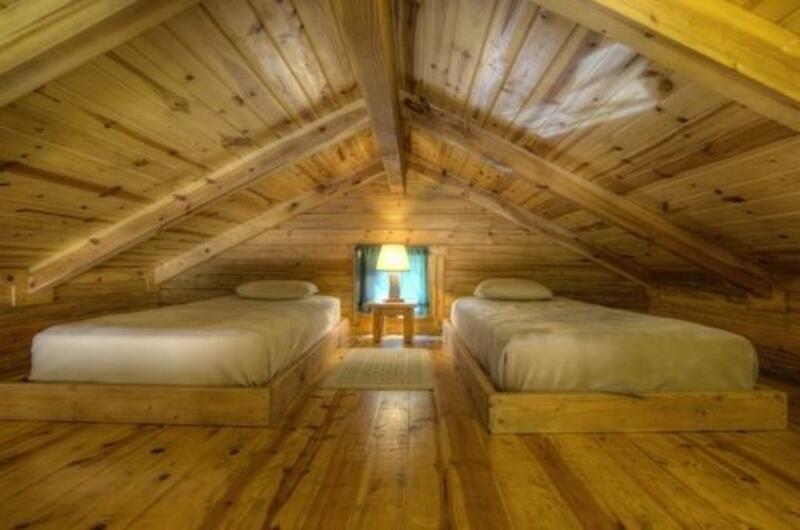 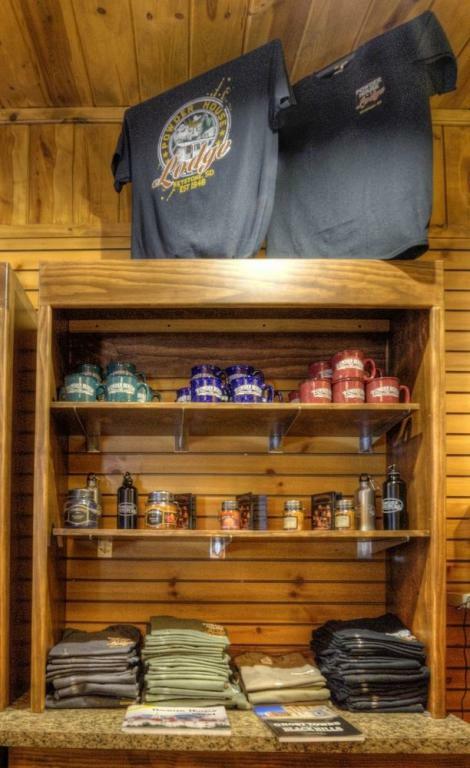 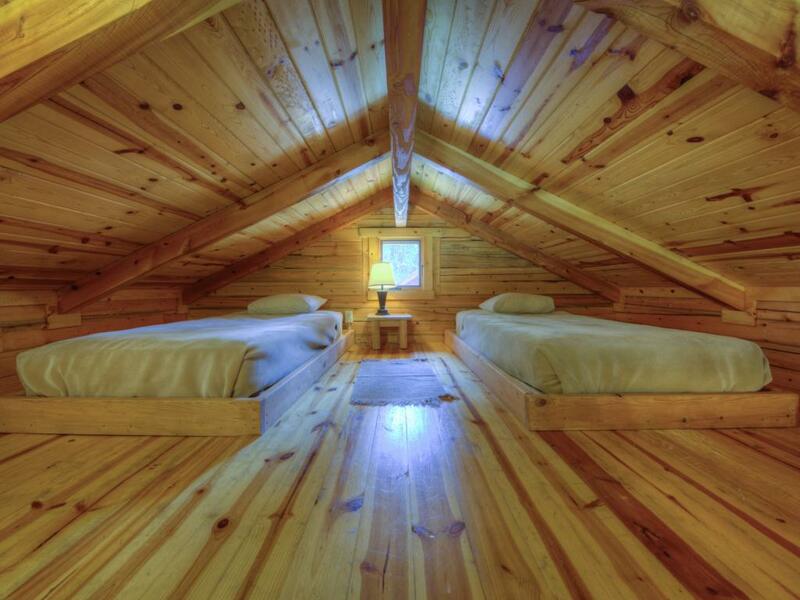 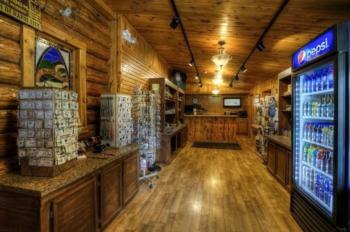 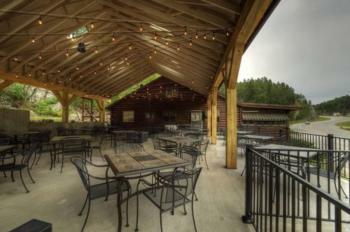 Located near the top of the hill, Cabins #55, #56 7 #57 are 3 of our All-American Cabins. These stand-alone cabin feature a covered Porch with a Porch Swing, inside you will find an open floor space with 2 queen size beds and a separate private bathroom. 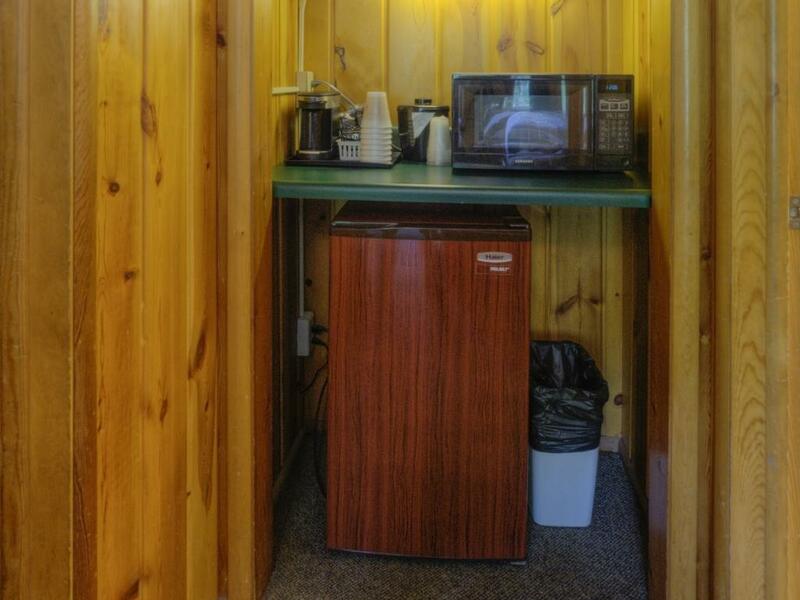 These room features our full line of standard amenities, including a microwave, mini-fridge,small sink, and a table and chairs.